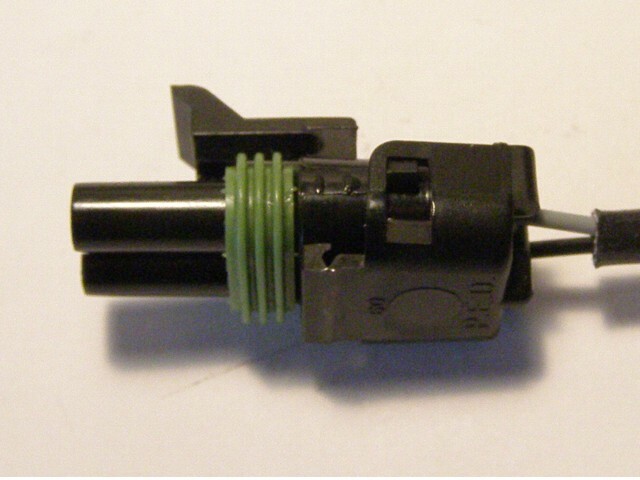 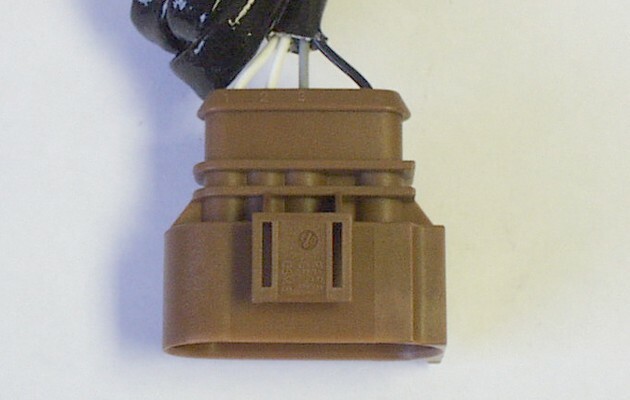 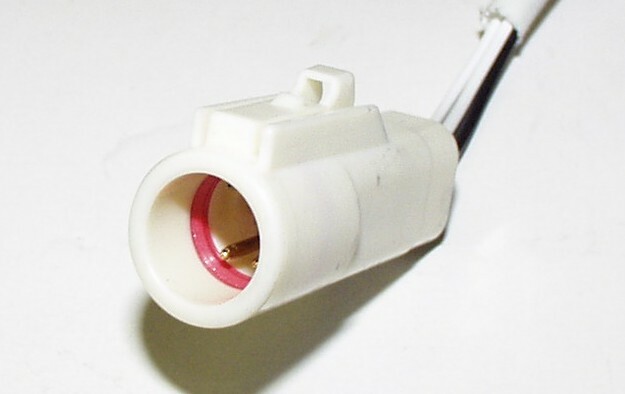 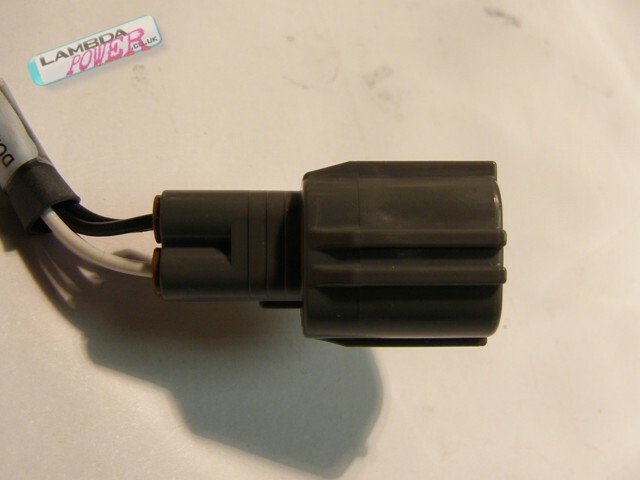 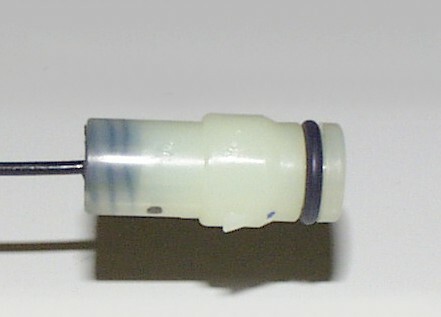 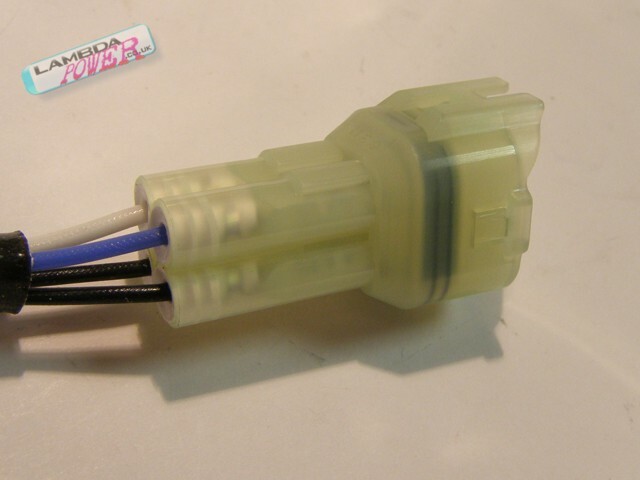 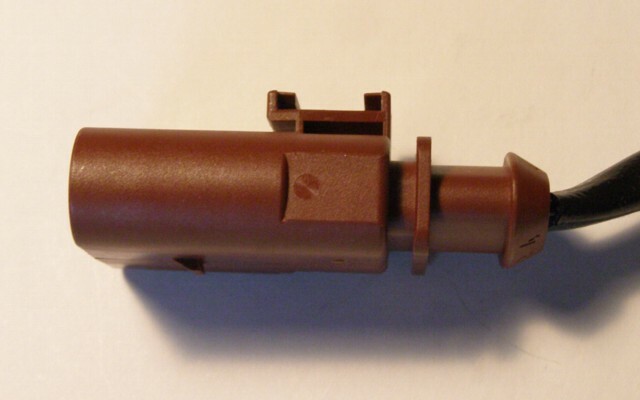 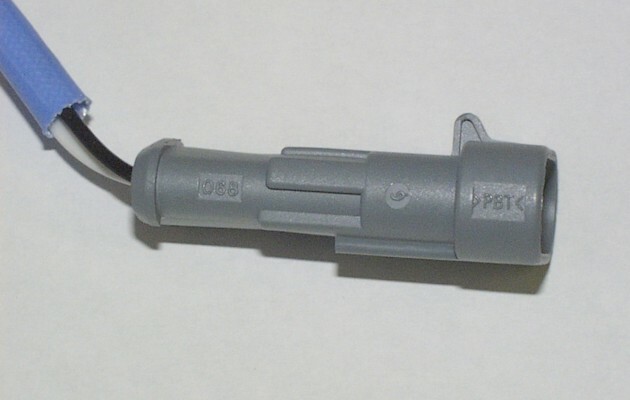 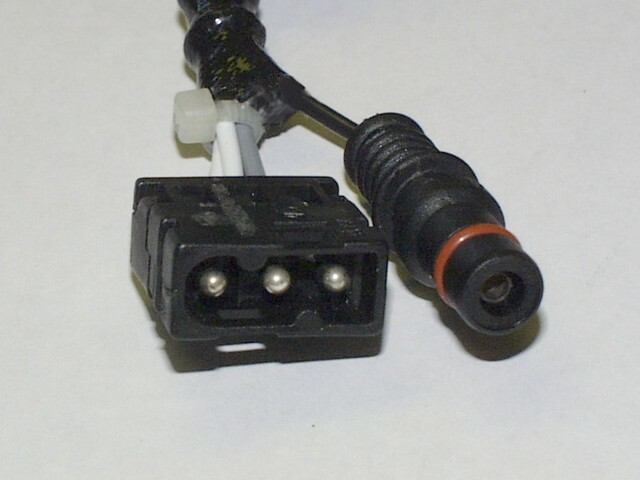 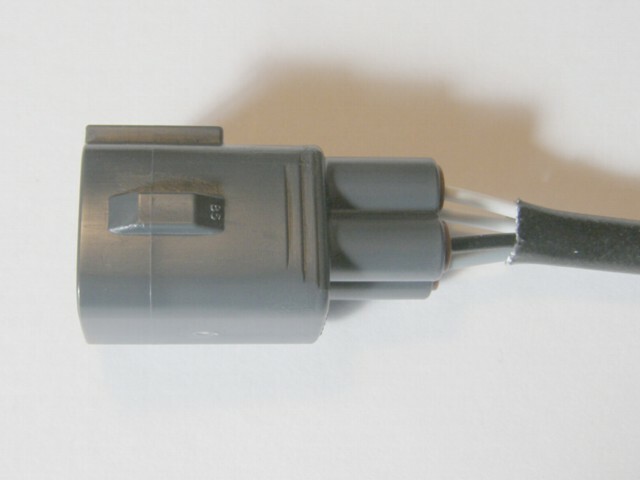 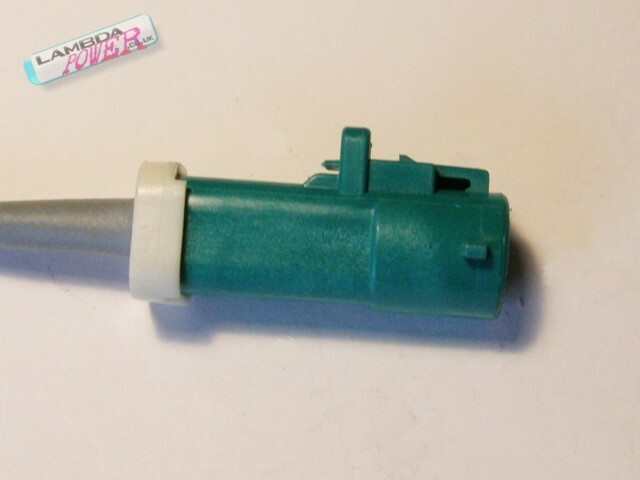 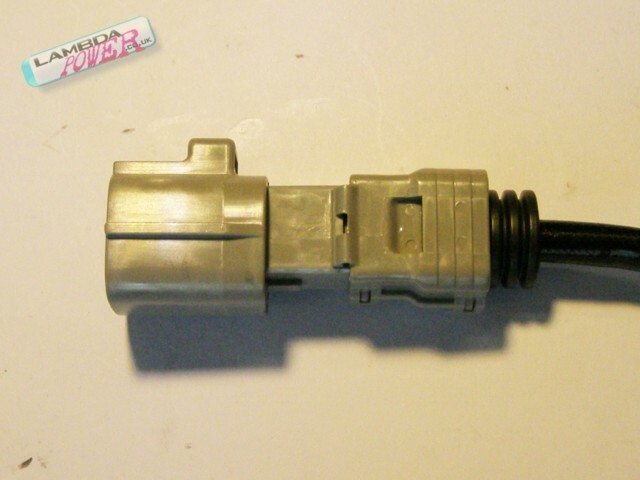 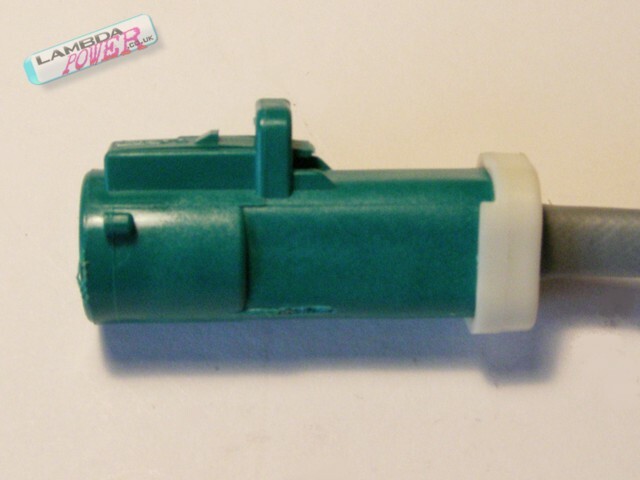 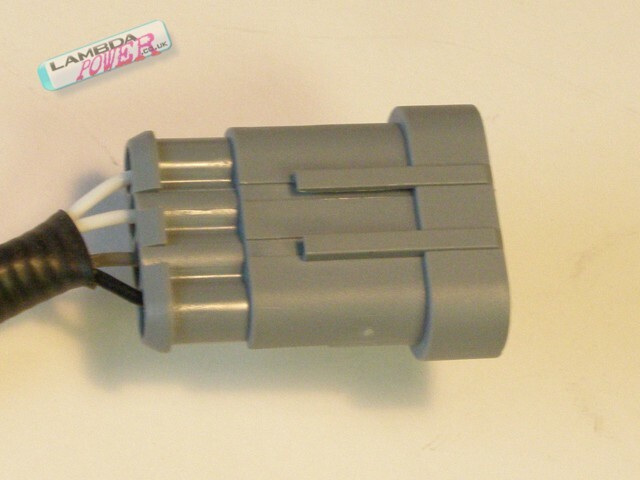 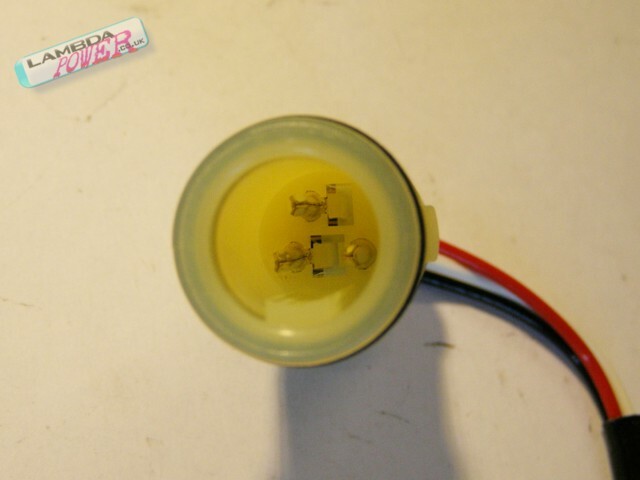 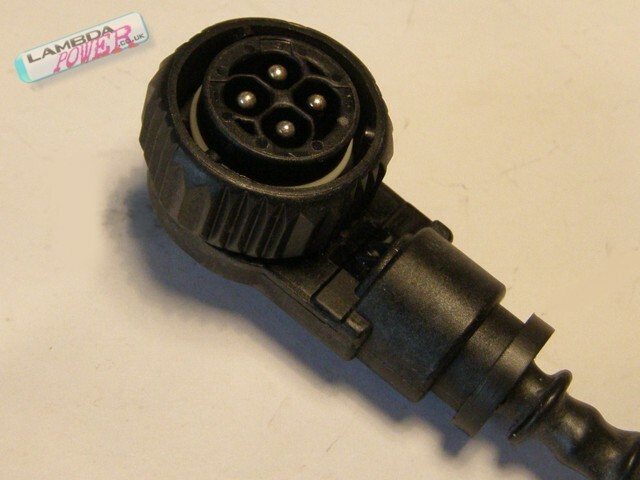 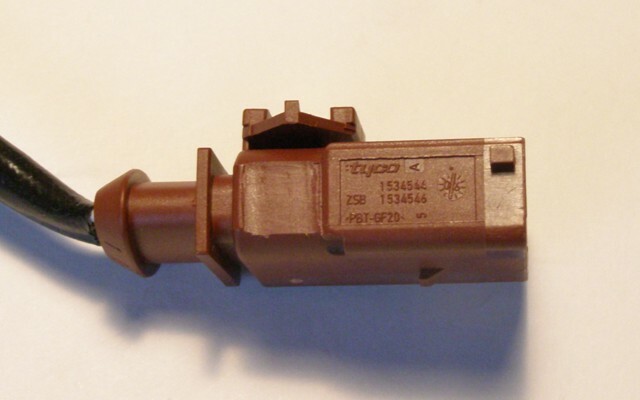 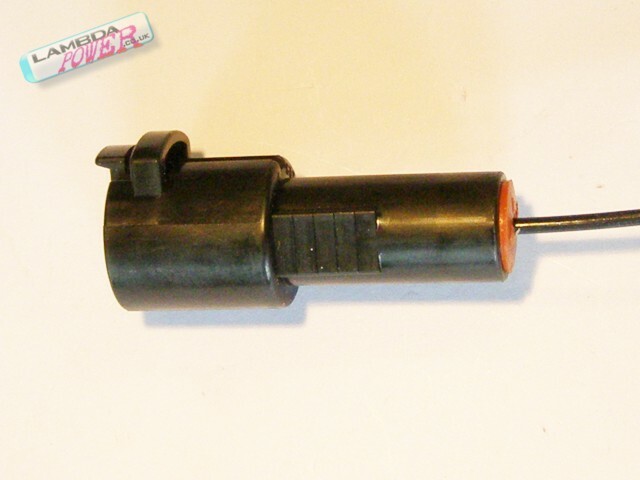 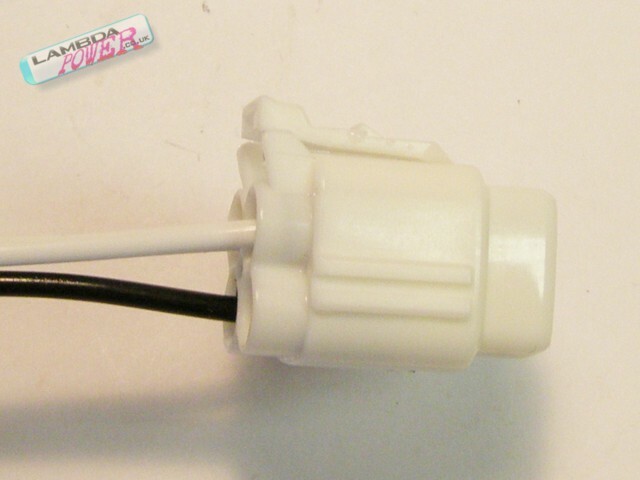 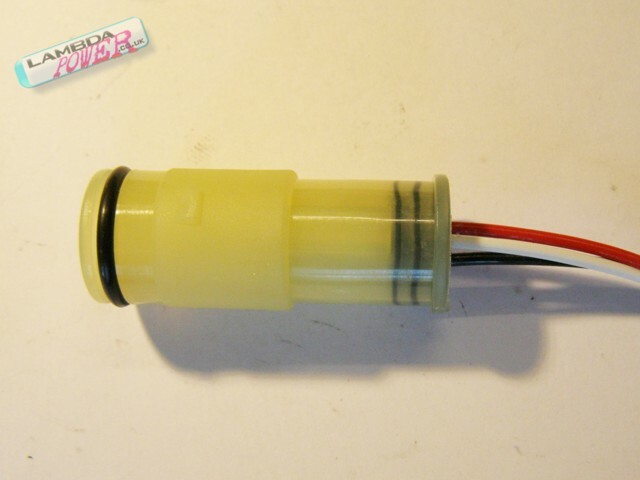 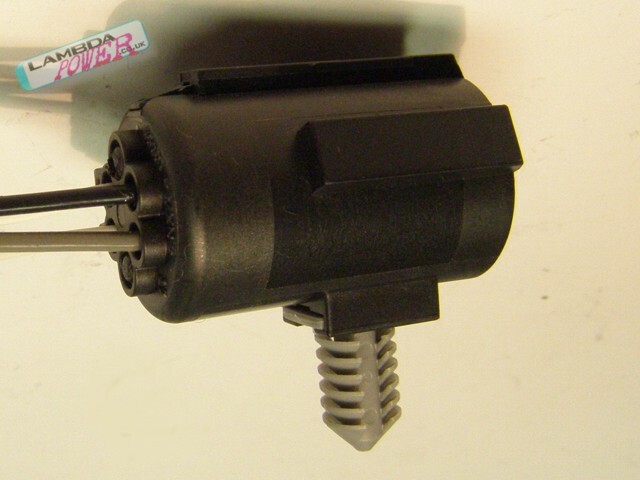 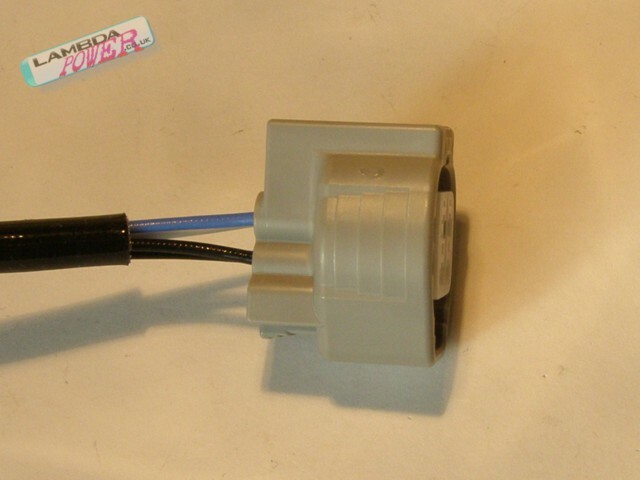 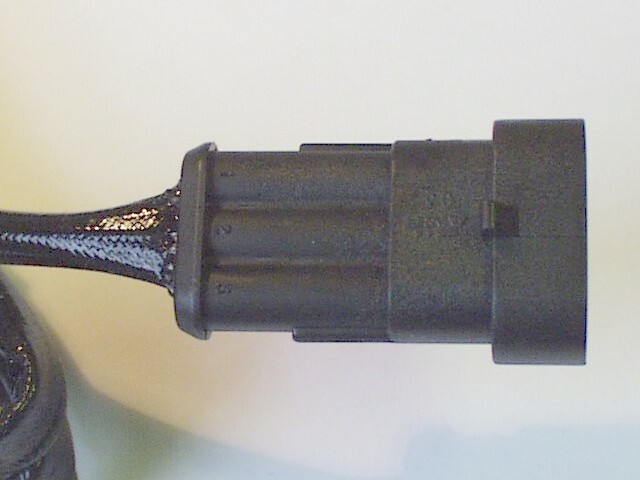 This sensor has the /'albino/' White Ford plug, which will happily replace the original Green plugs, Blue plugs, or White plugs. 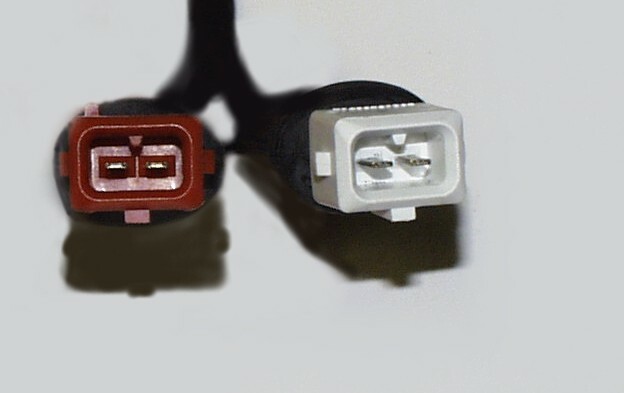 If you specifically need the same colour plug as the original, please contact us for details, but there is no practical difference. 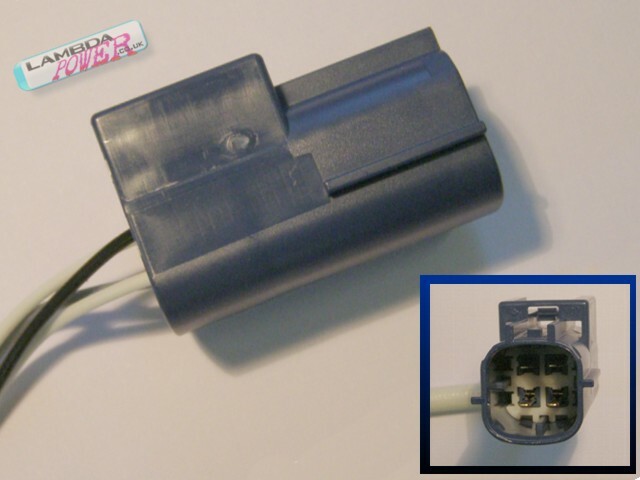 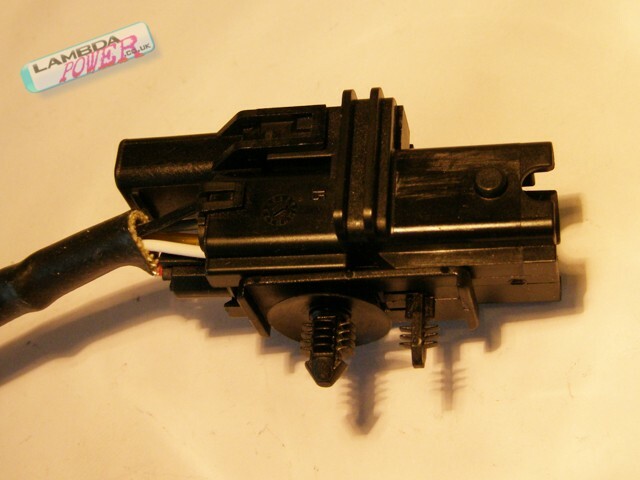 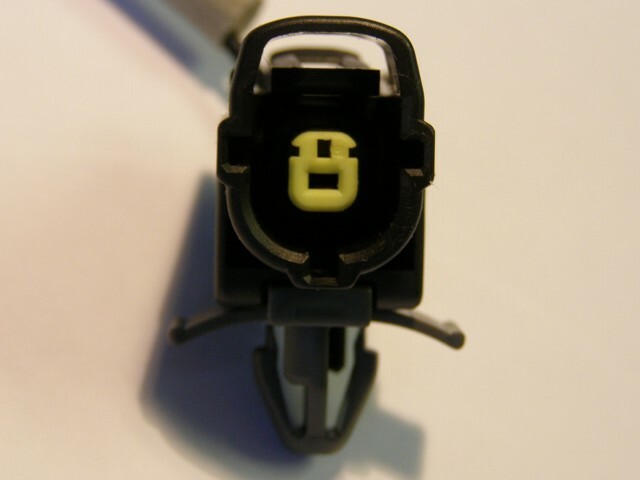 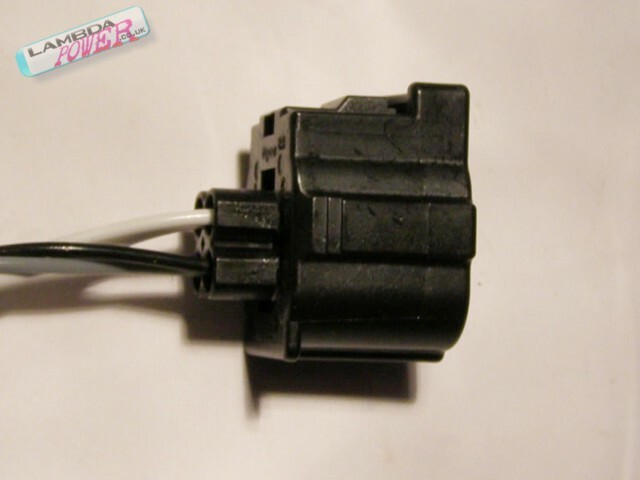 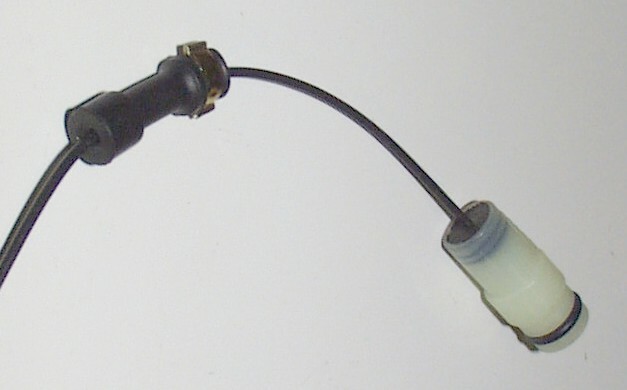 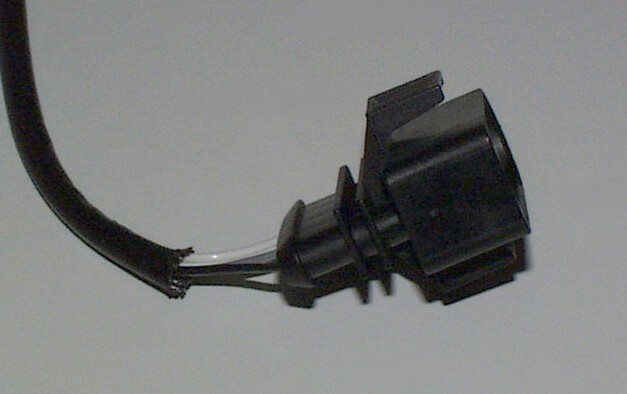 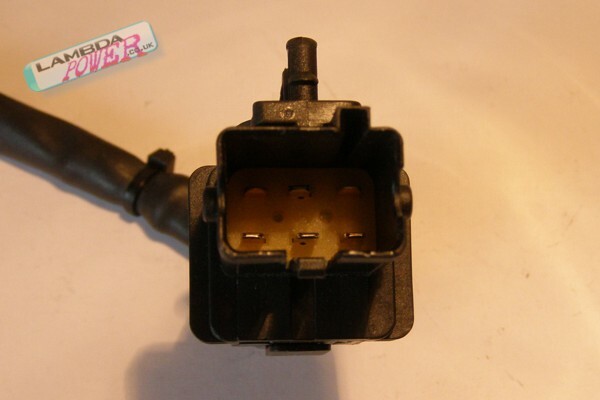 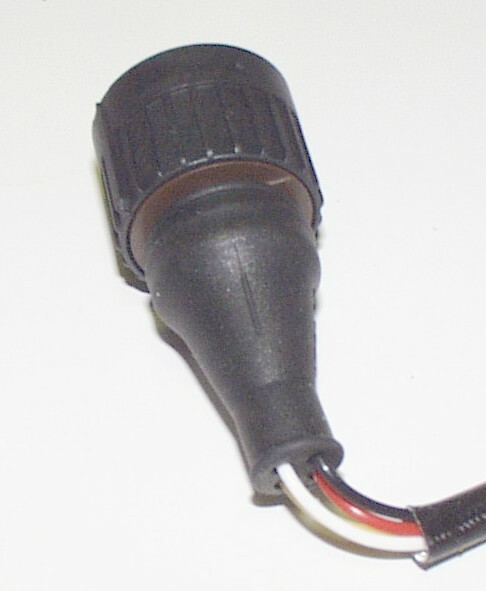 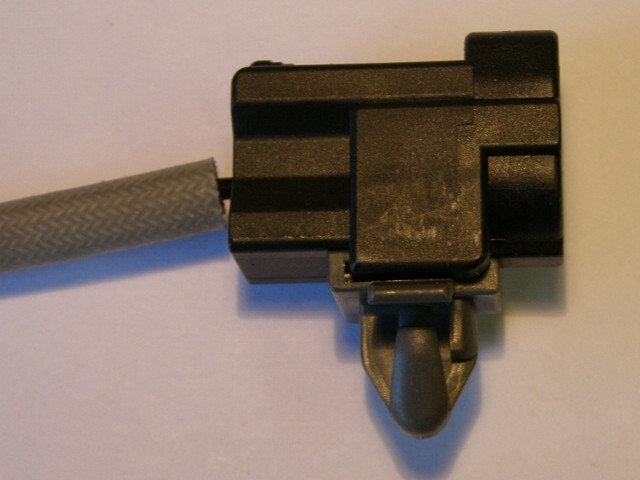 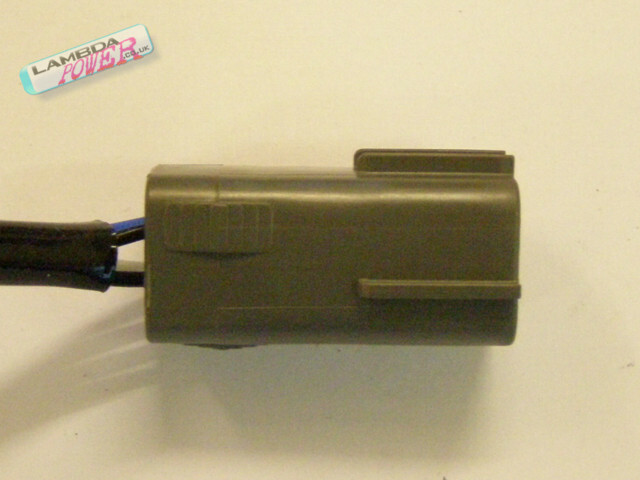 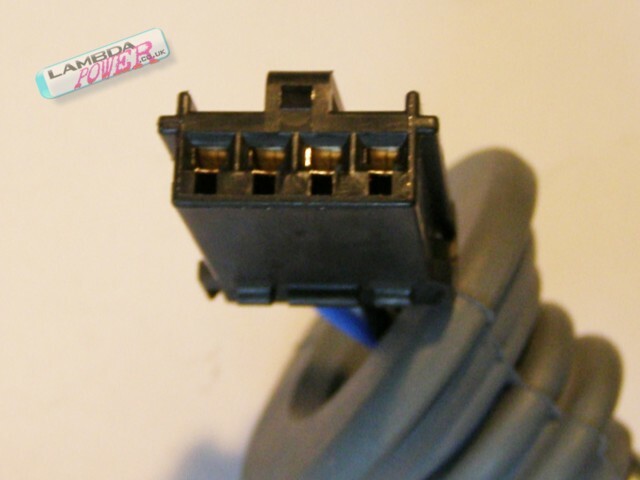 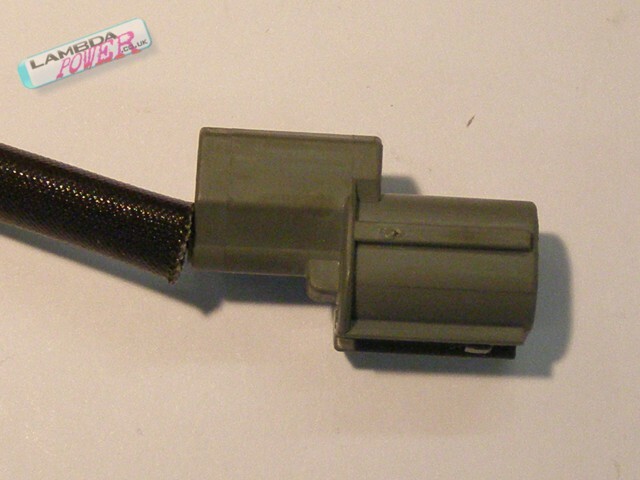 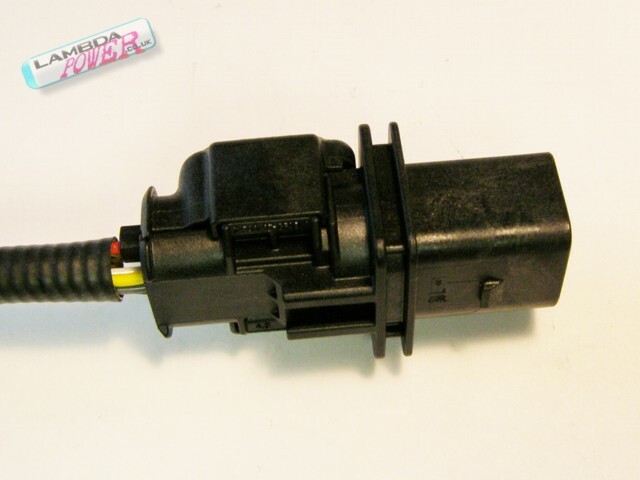 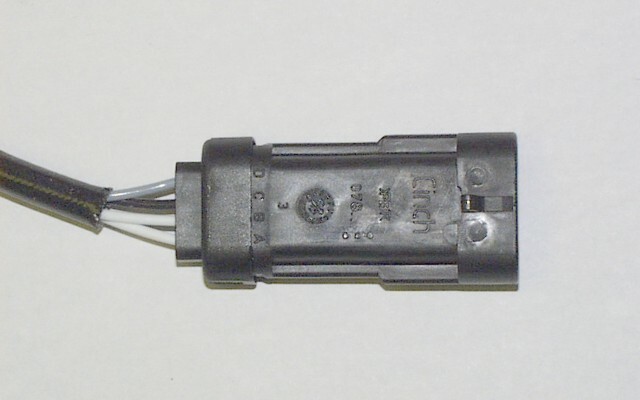 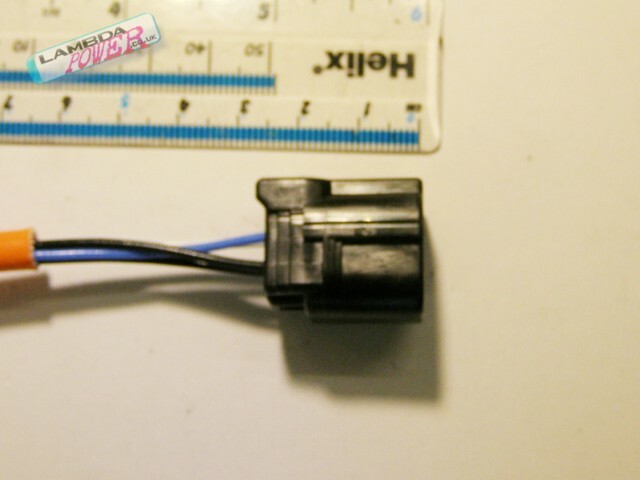 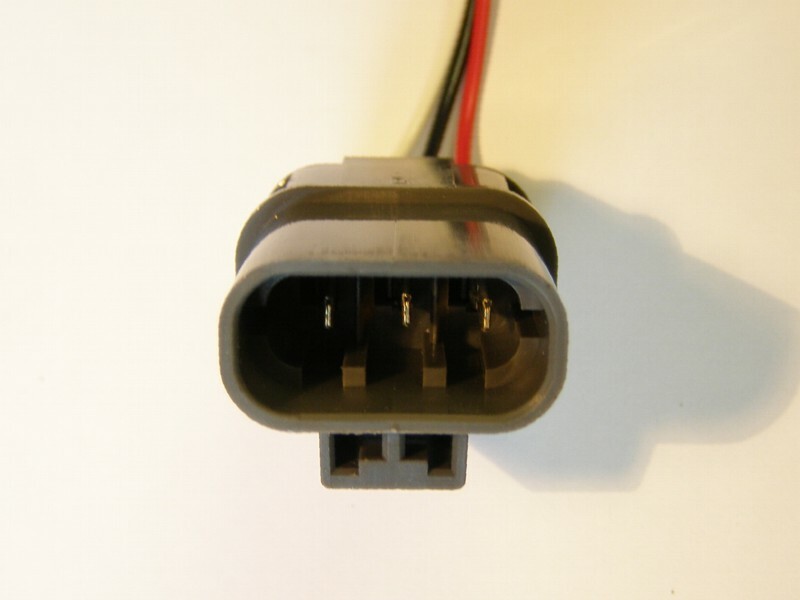 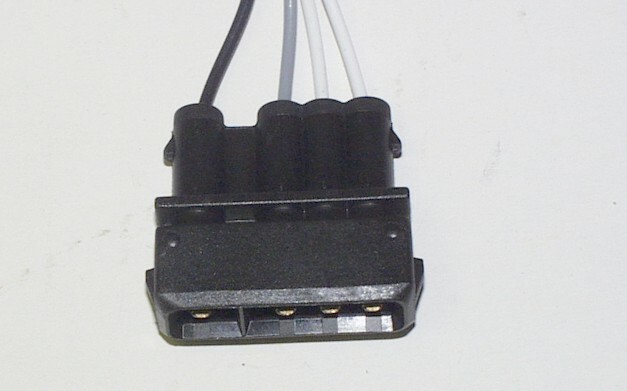 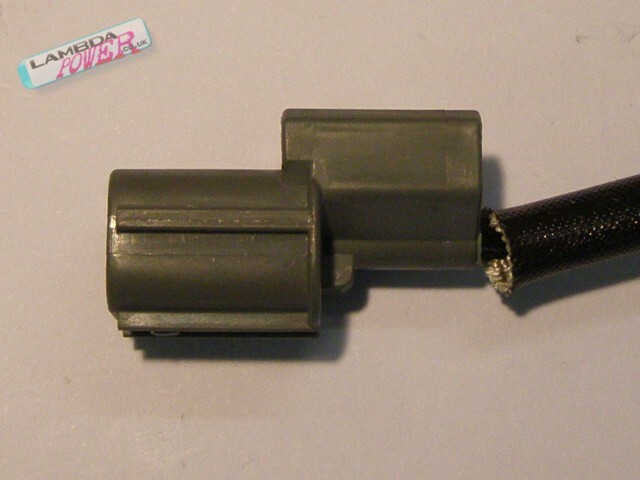 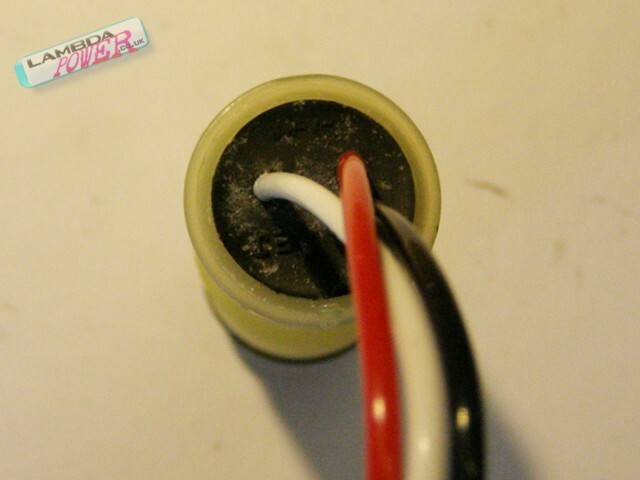 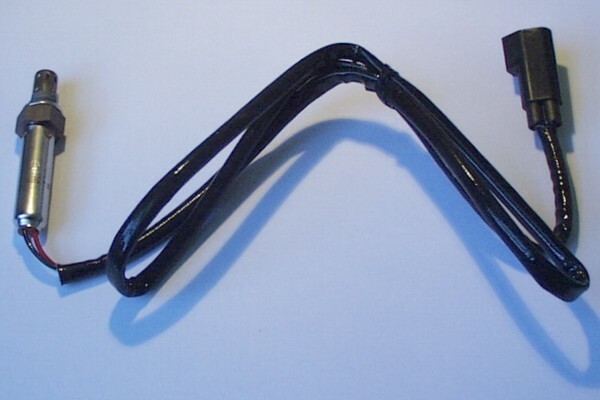 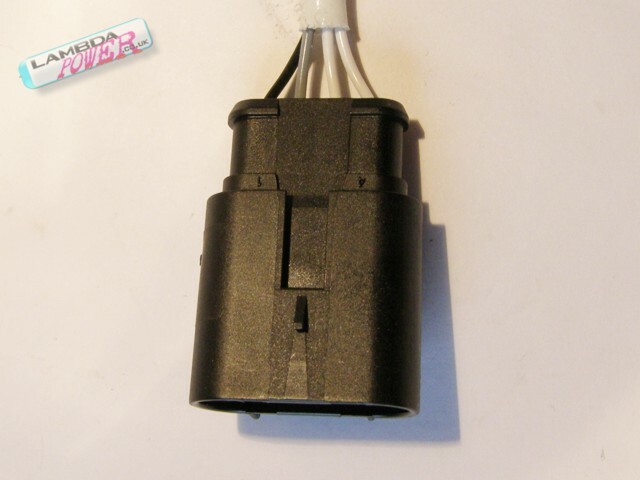 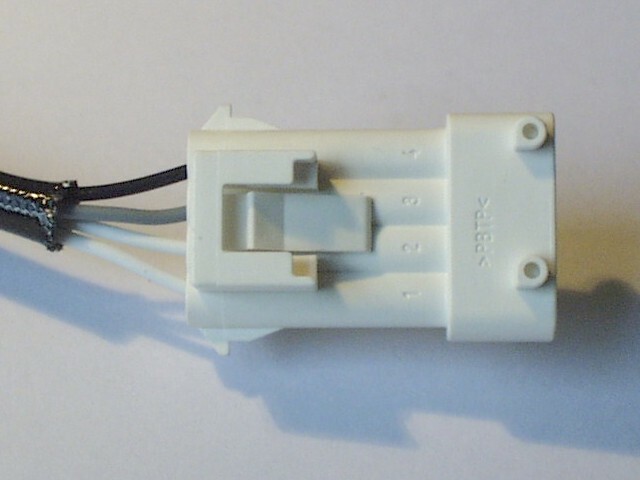 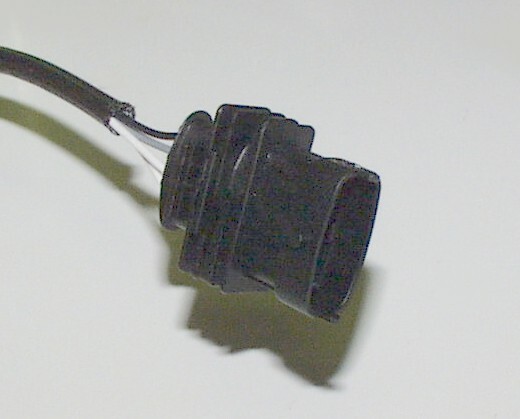 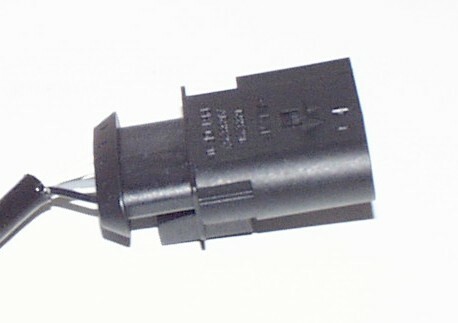 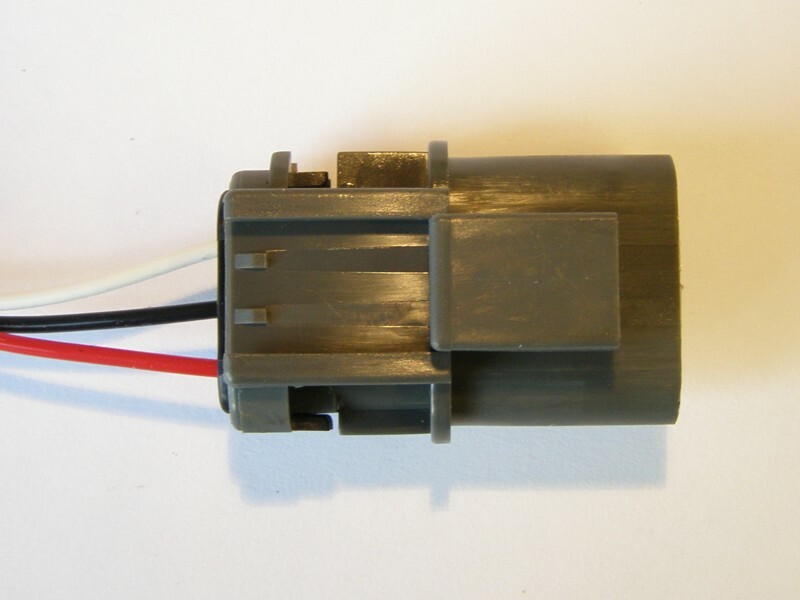 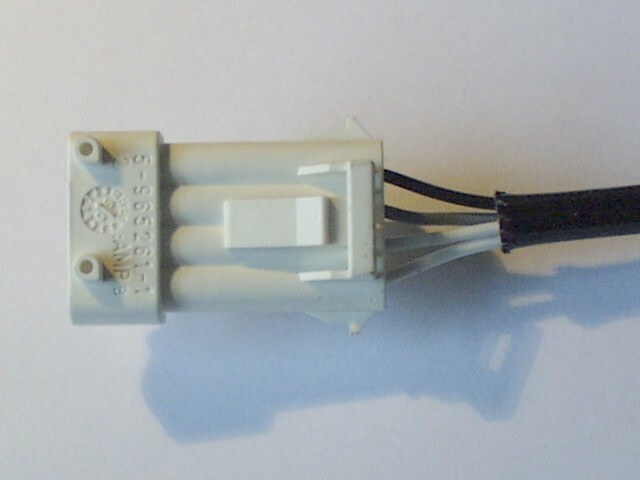 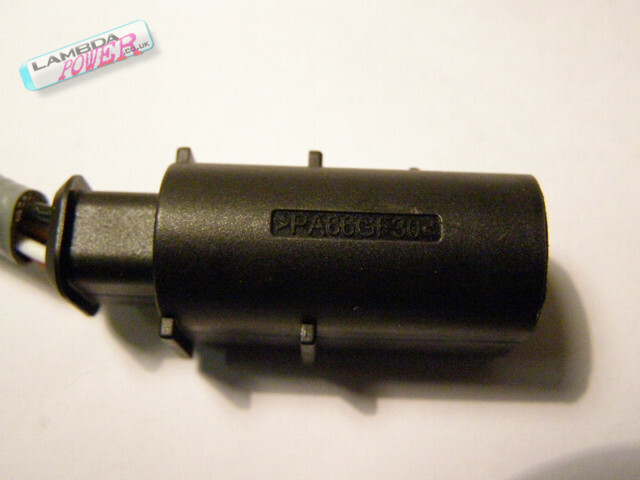 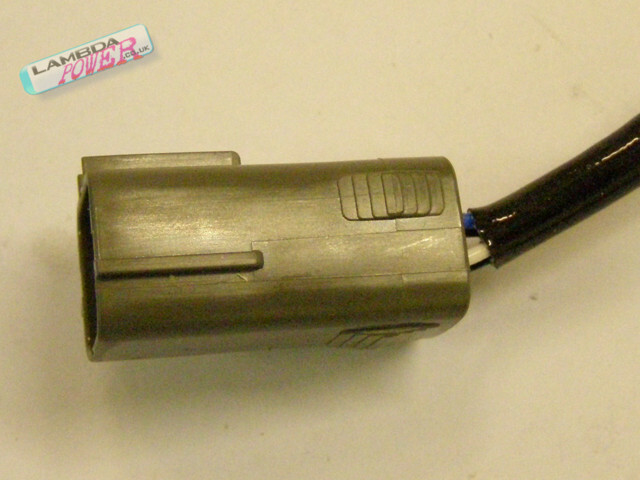 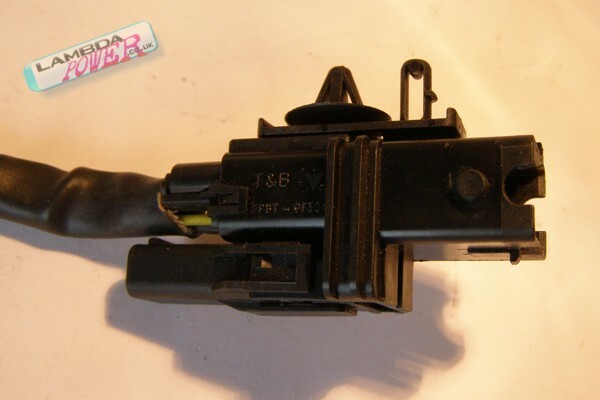 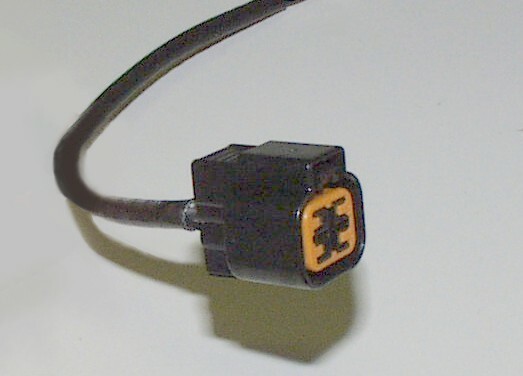 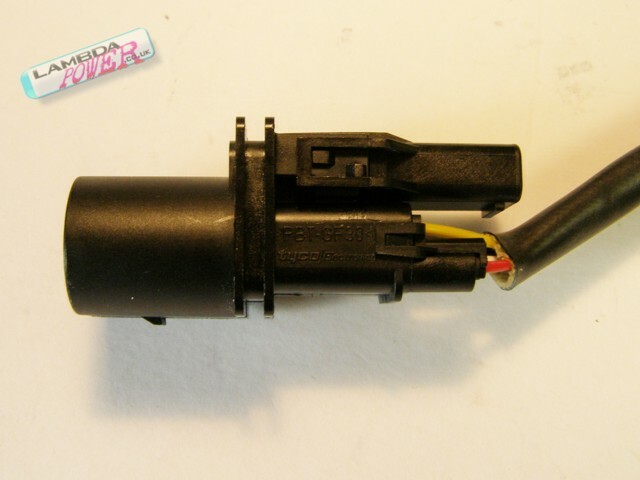 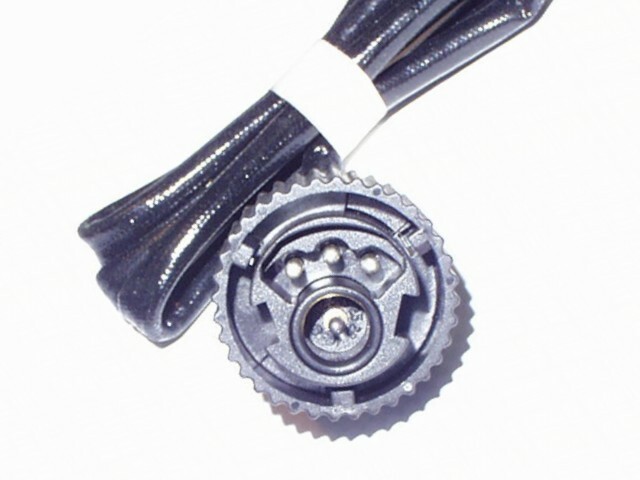 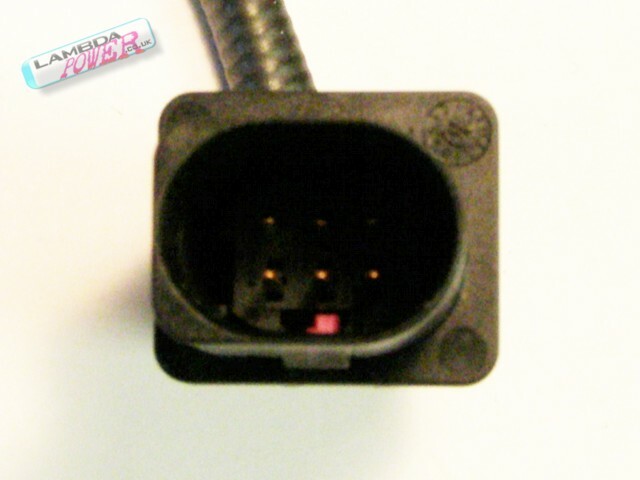 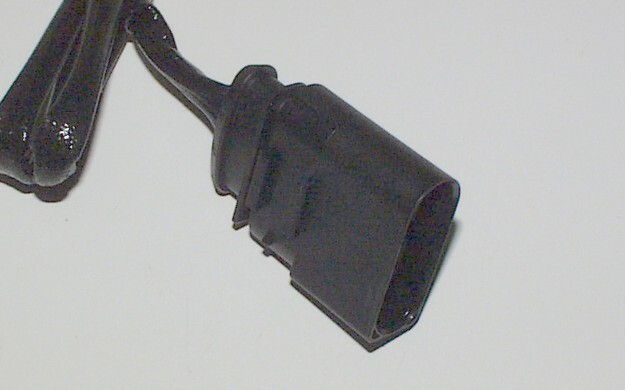 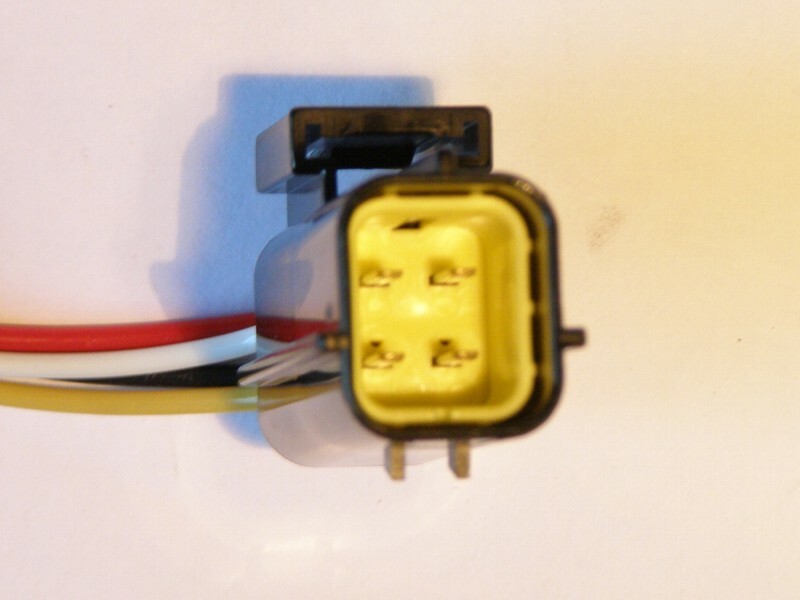 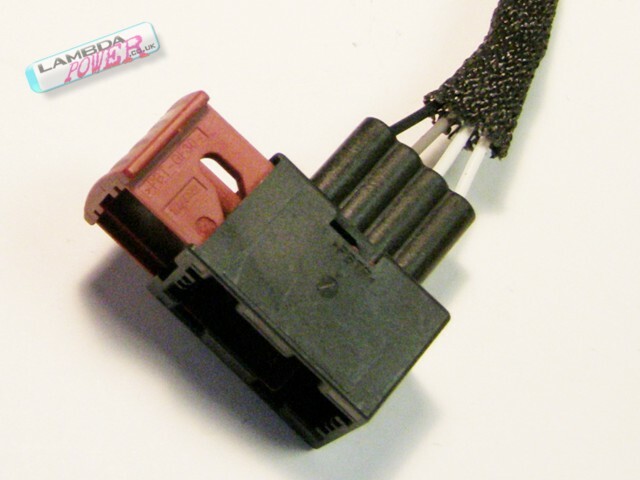 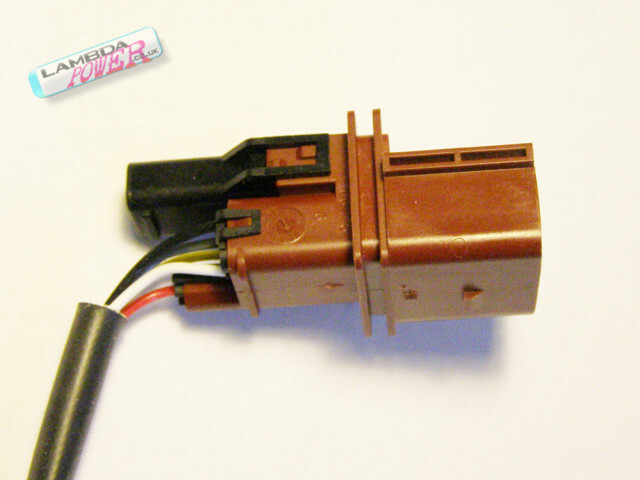 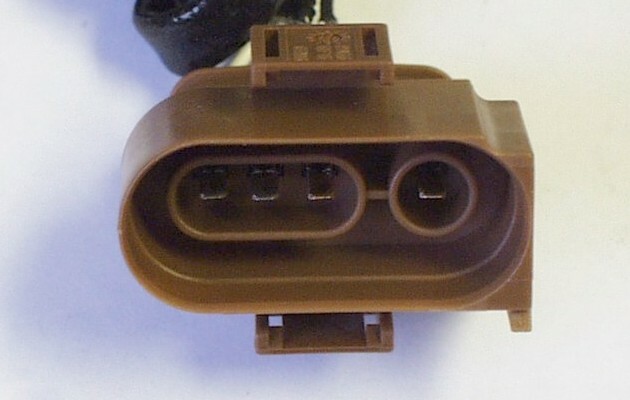 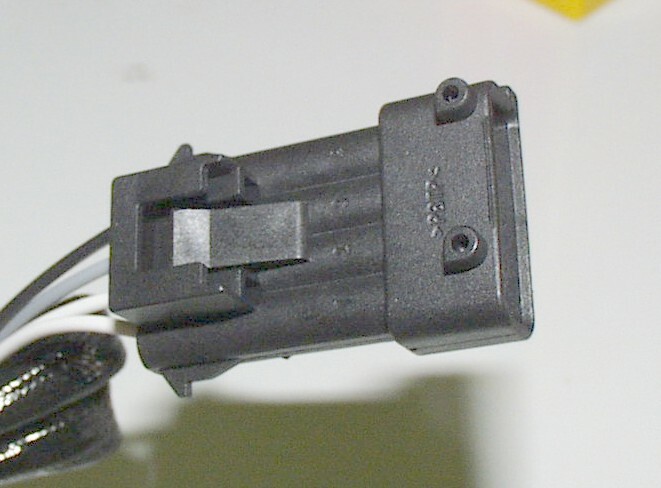 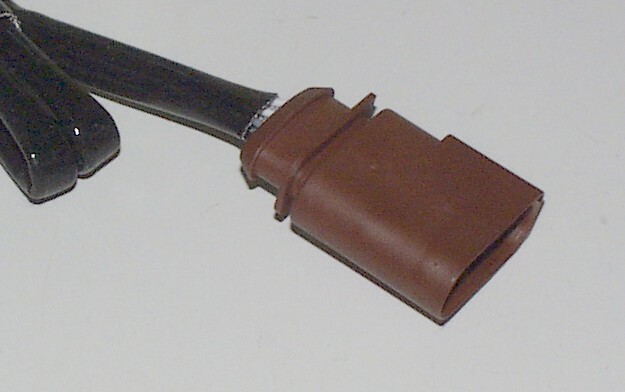 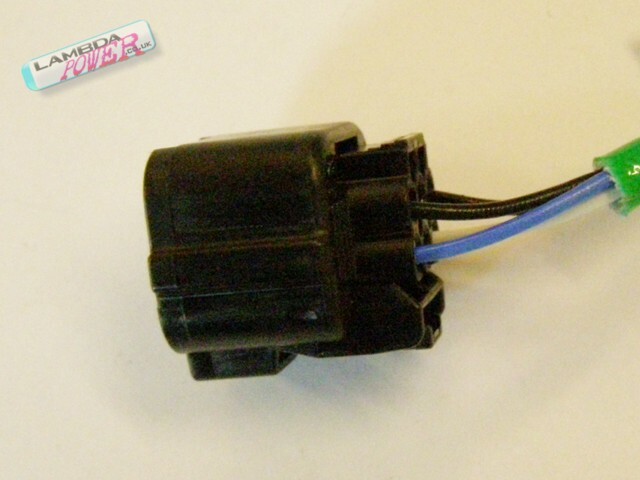 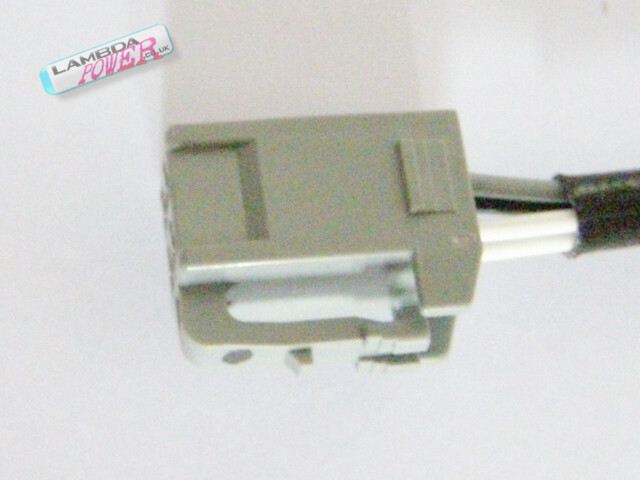 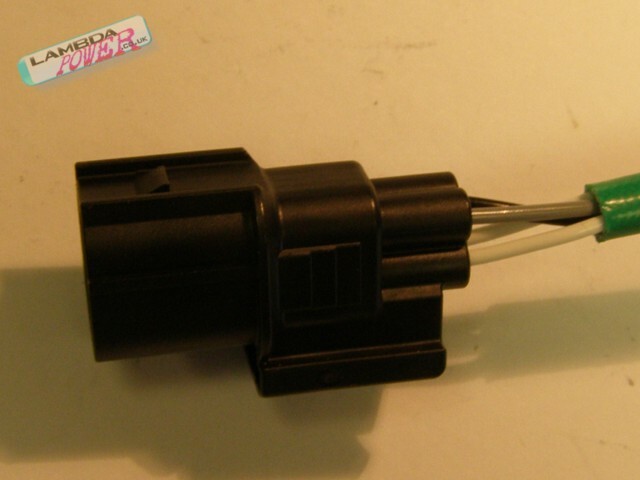 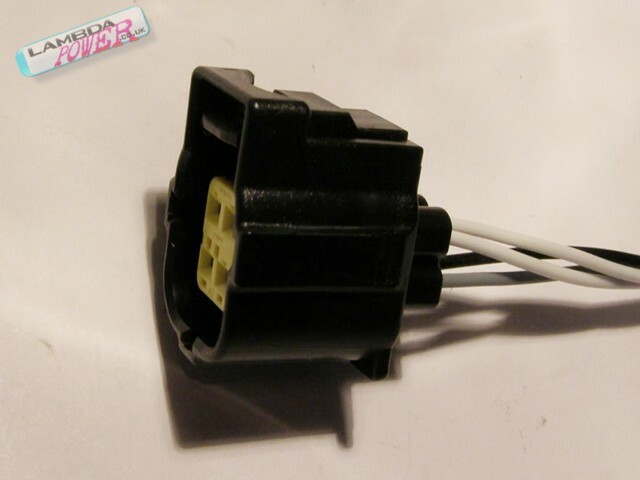 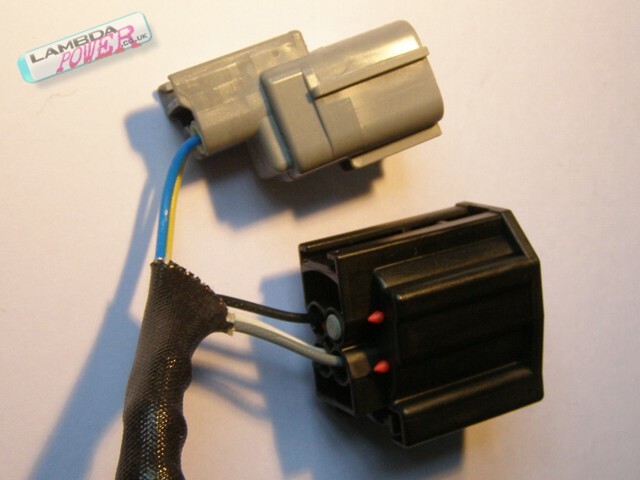 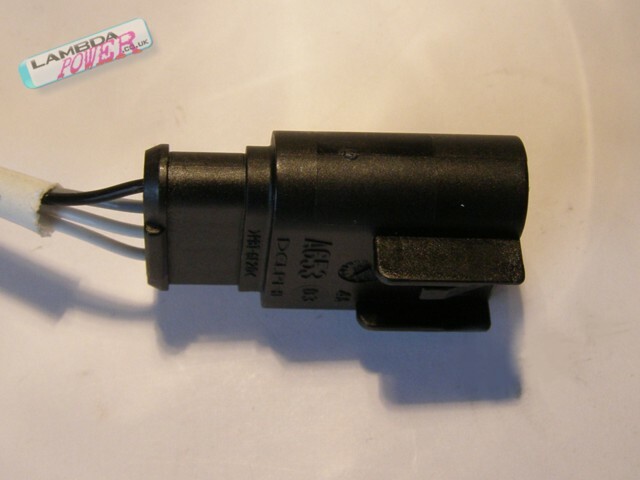 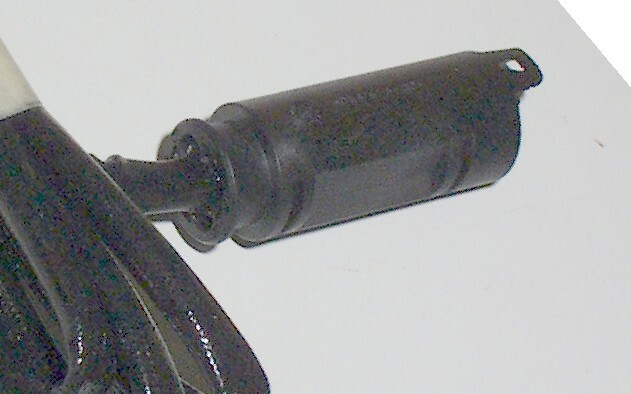 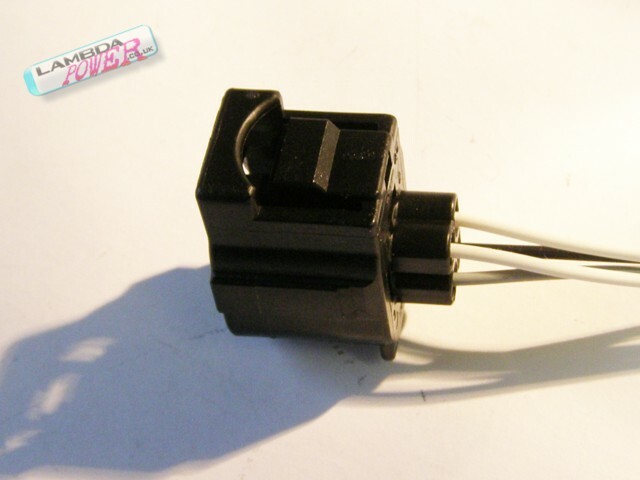 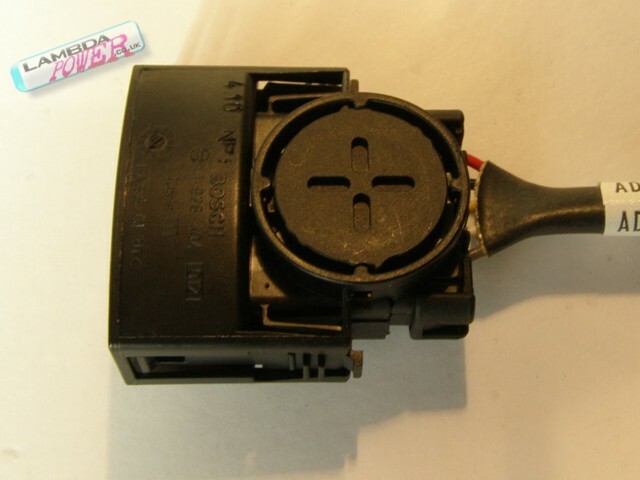 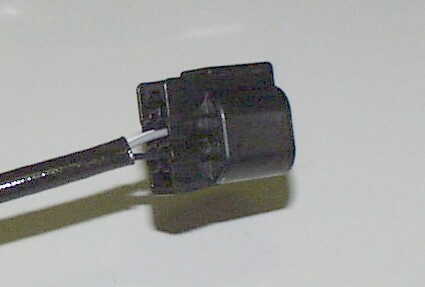 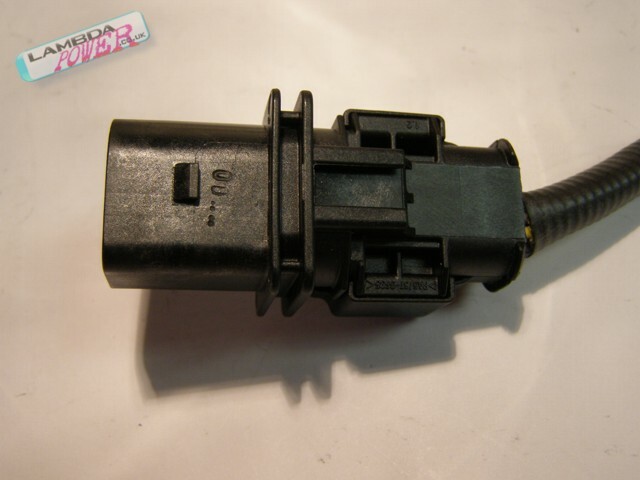 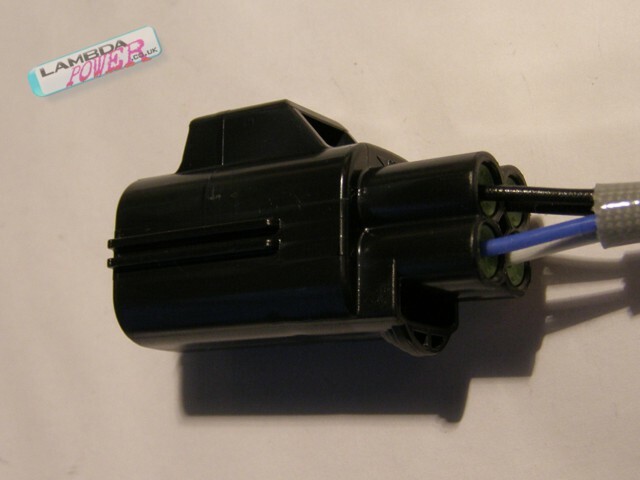 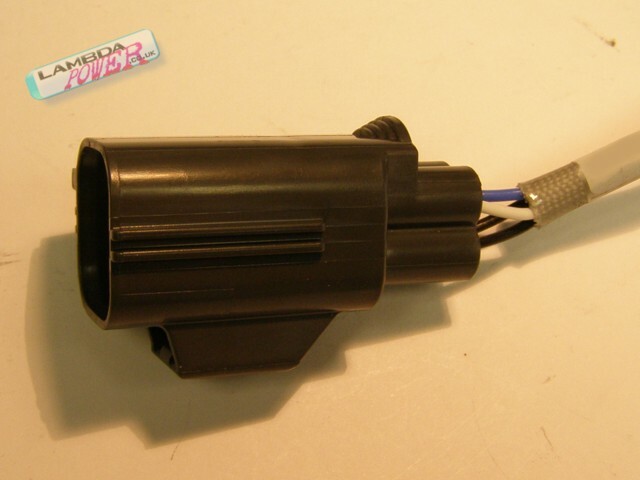 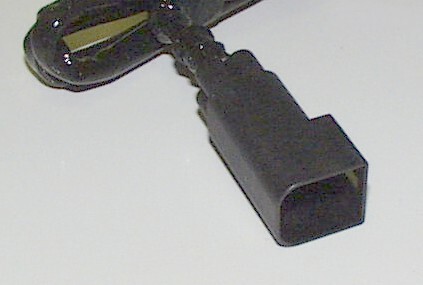 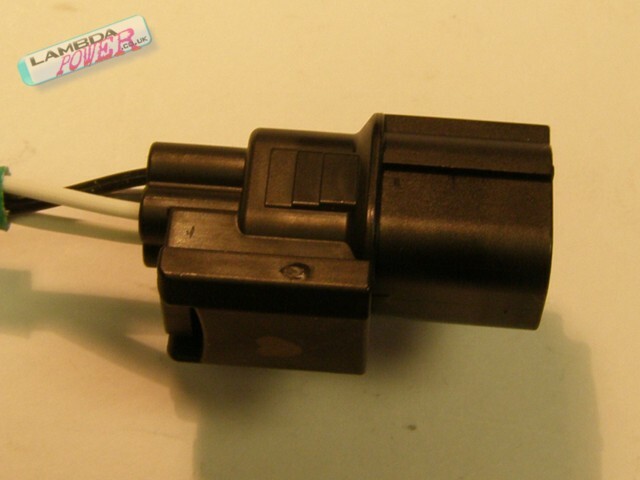 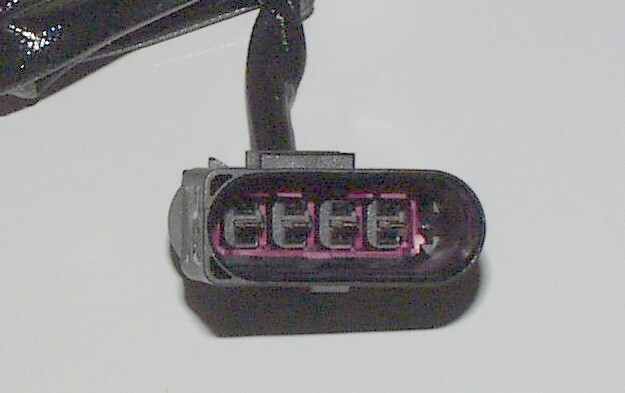 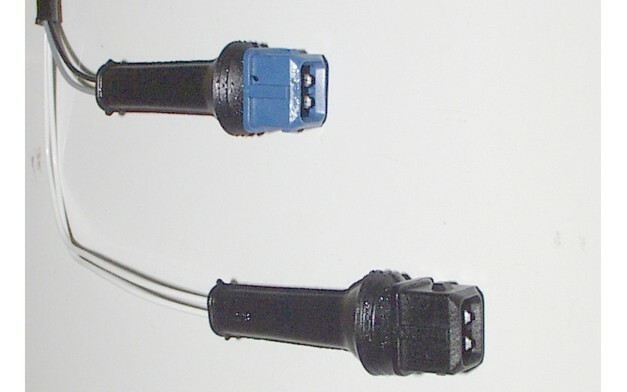 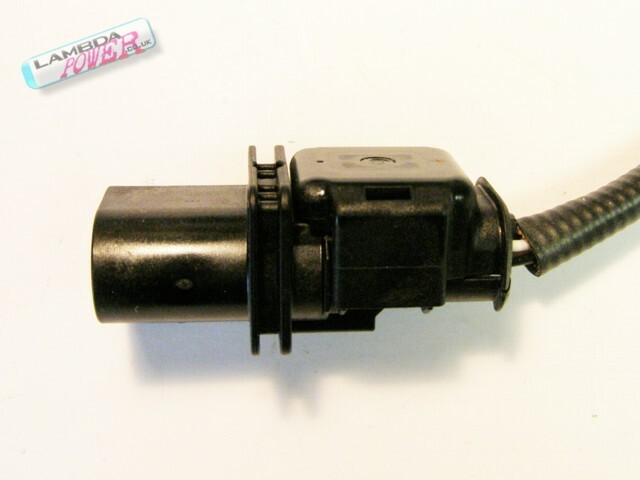 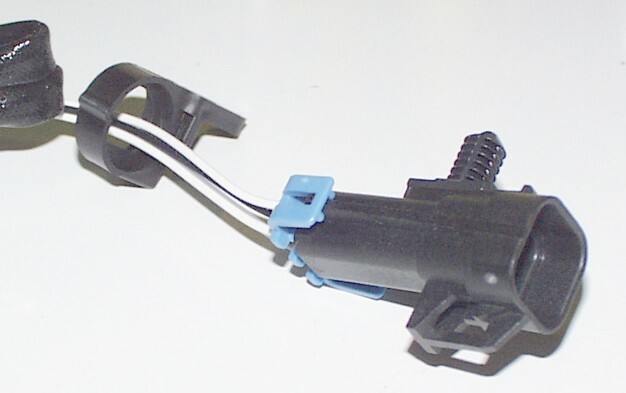 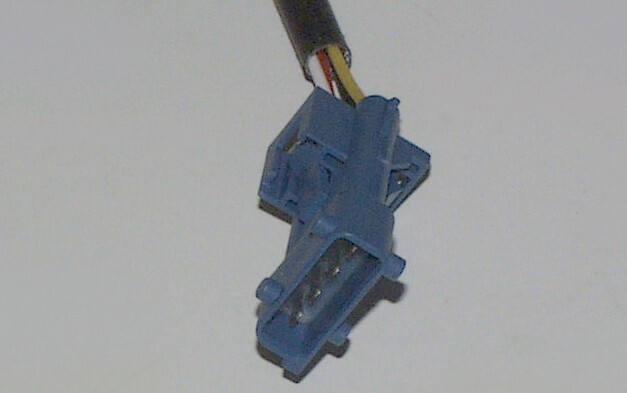 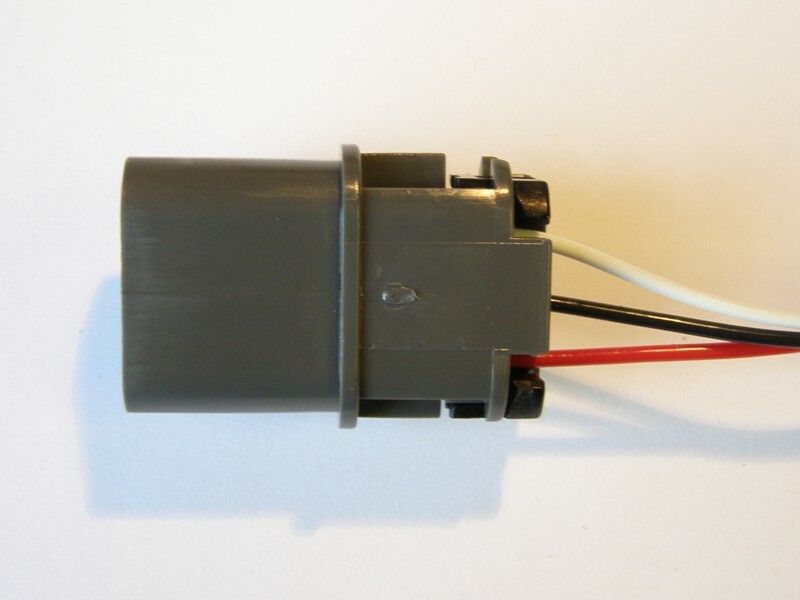 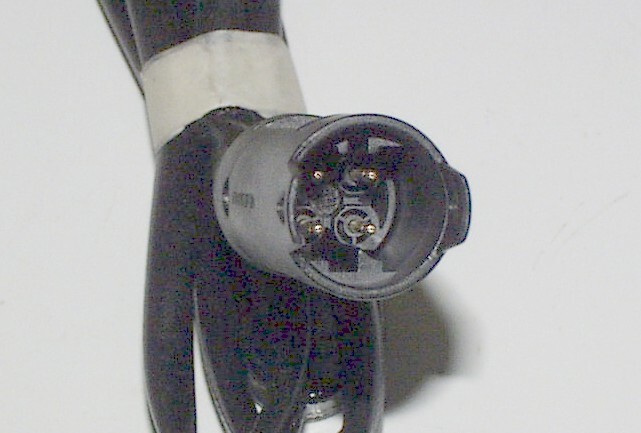 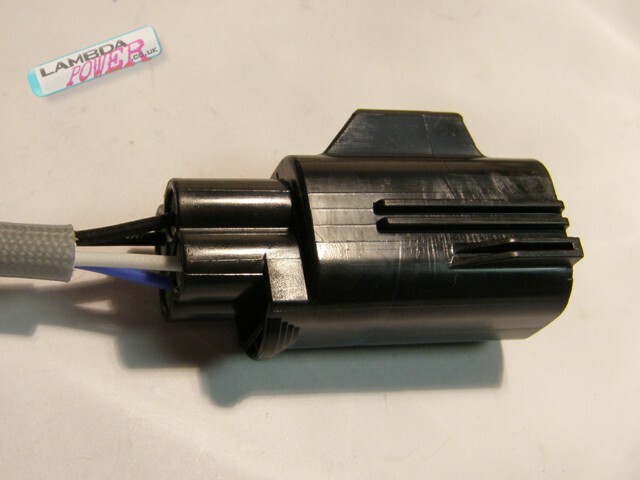 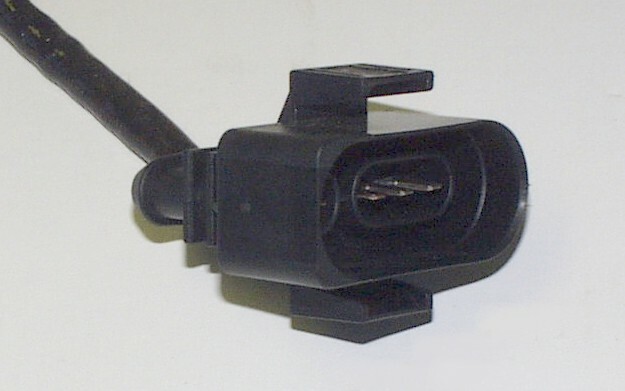 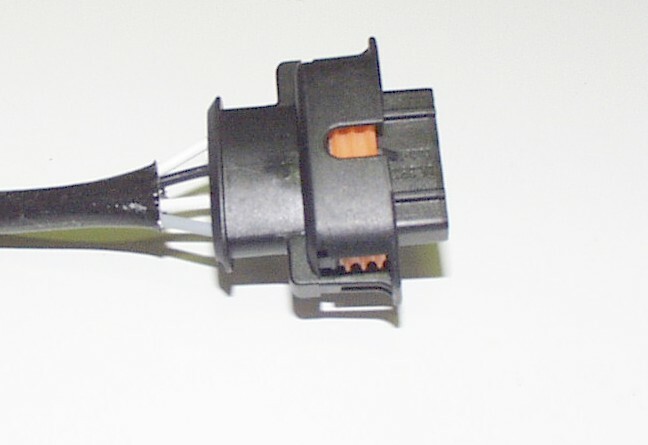 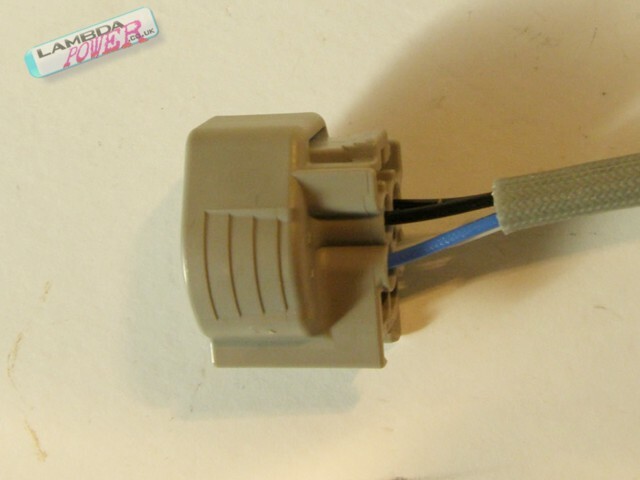 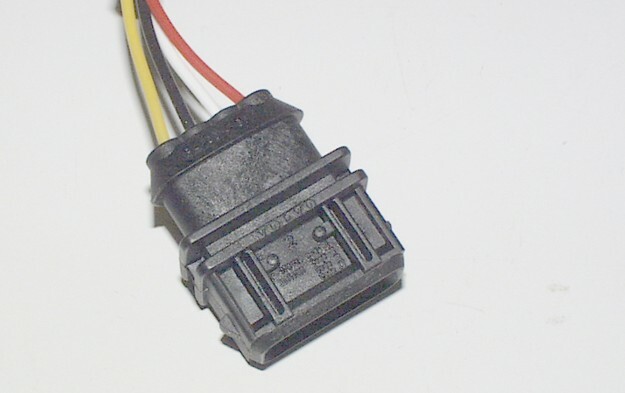 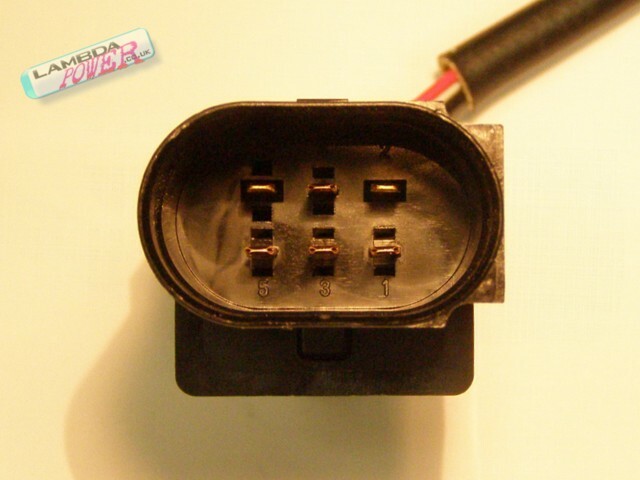 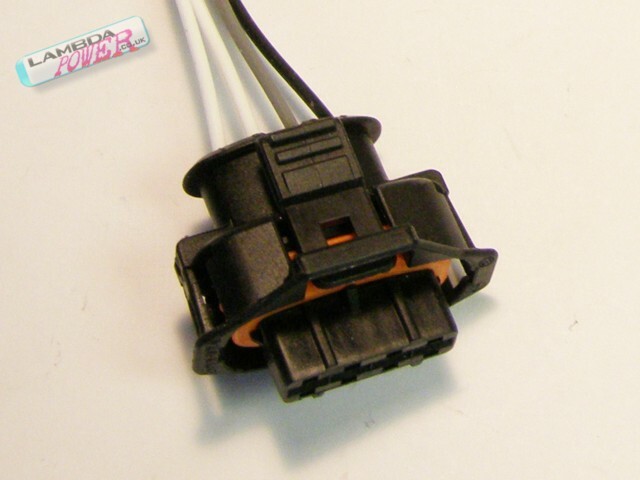 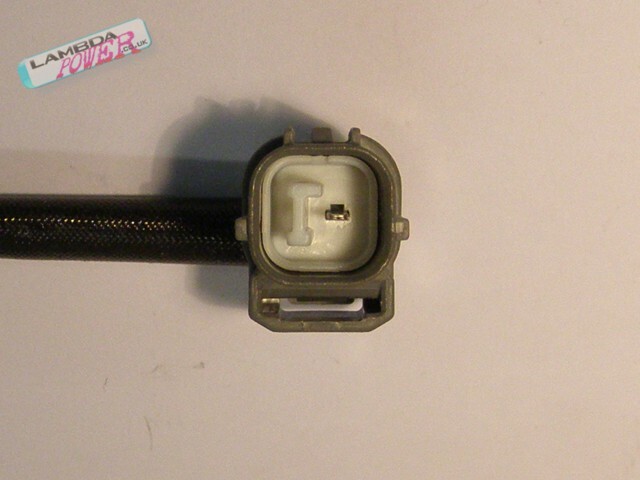 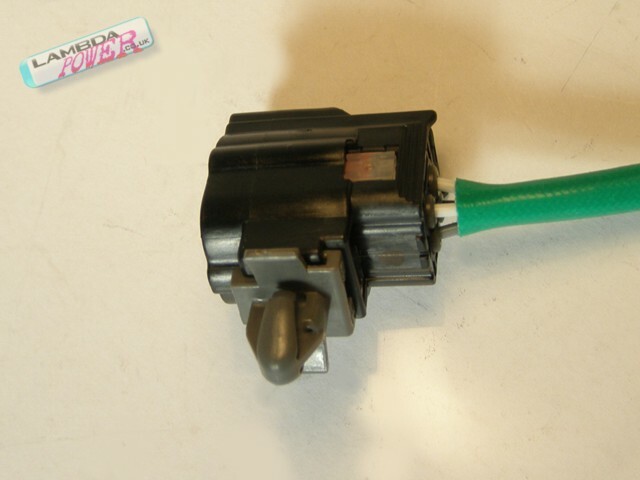 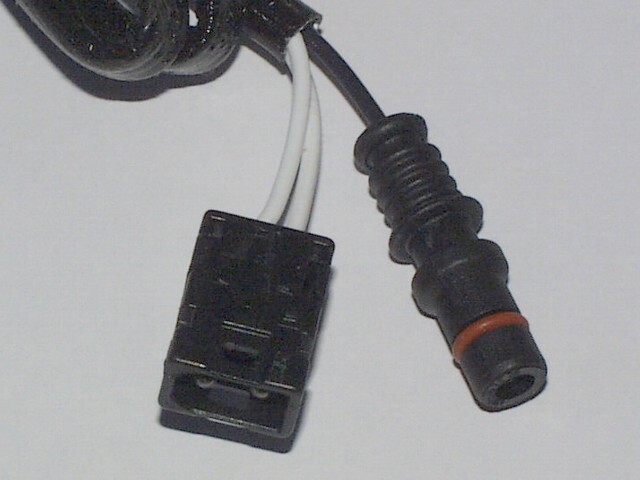 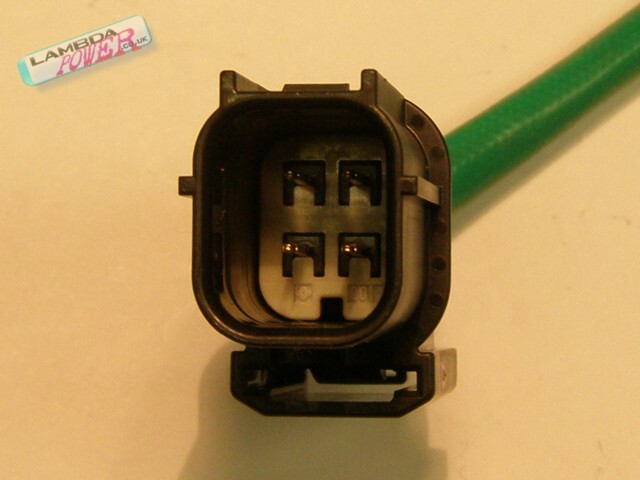 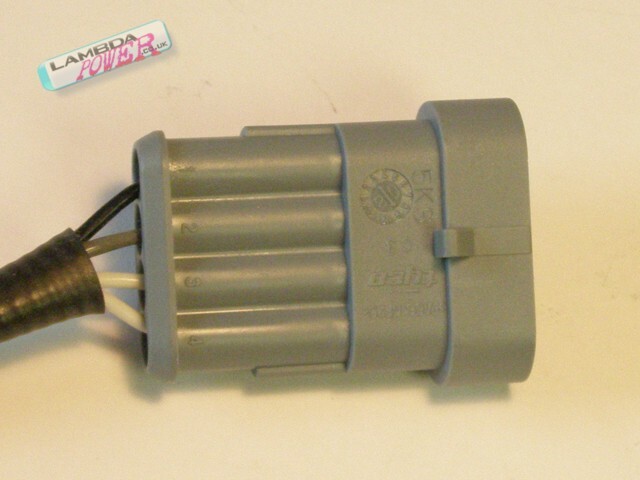 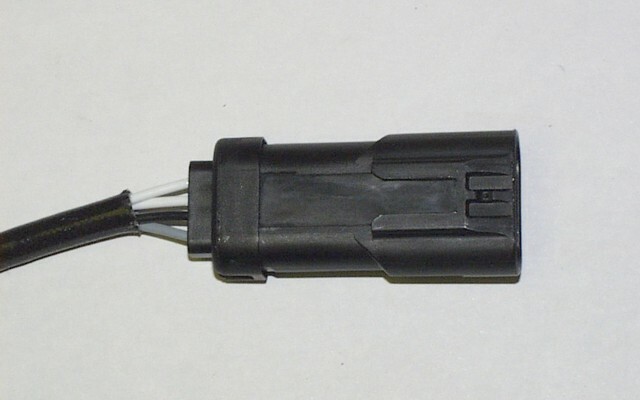 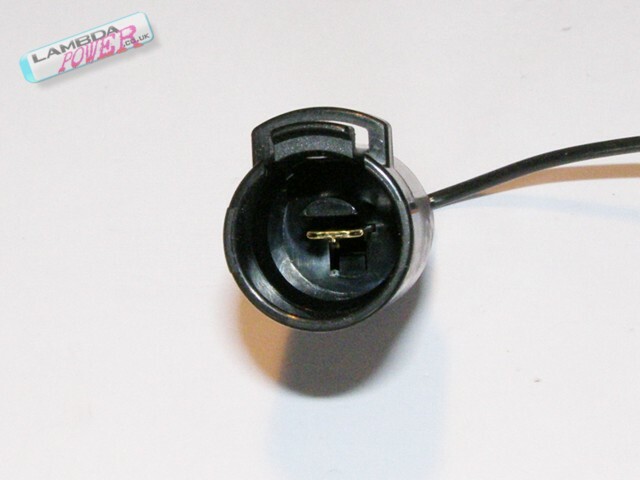 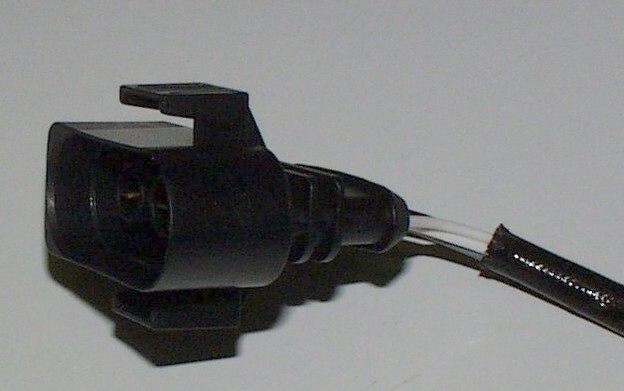 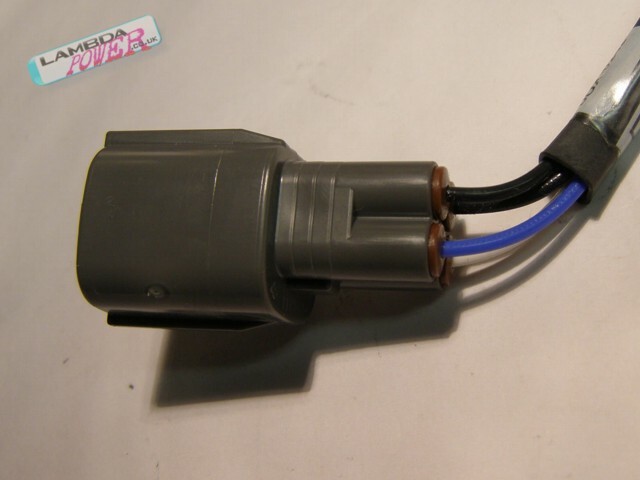 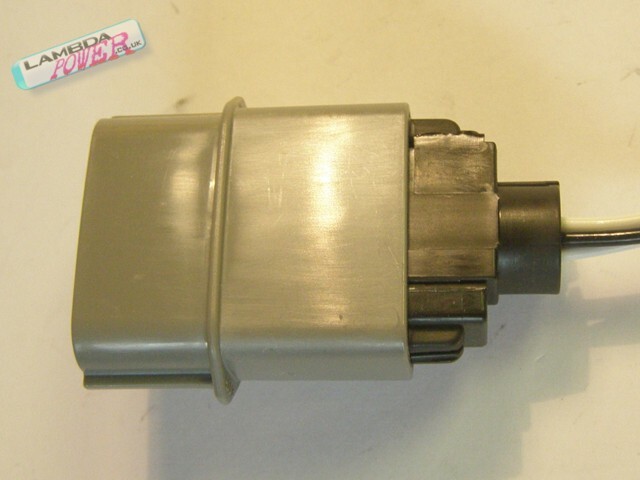 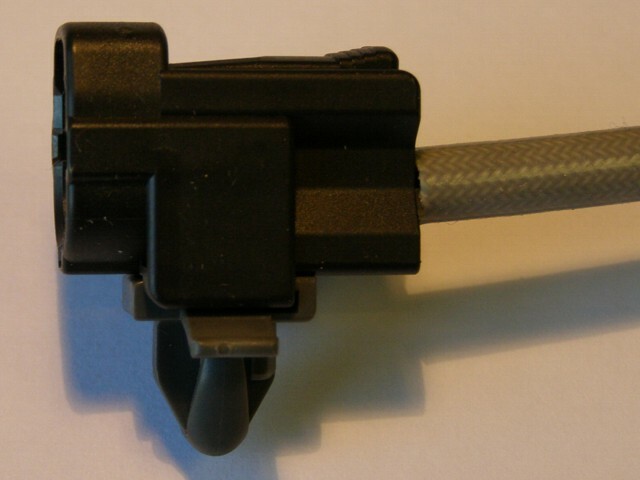 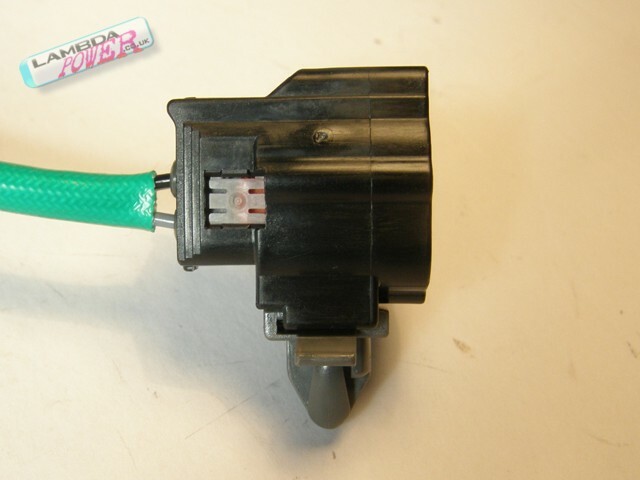 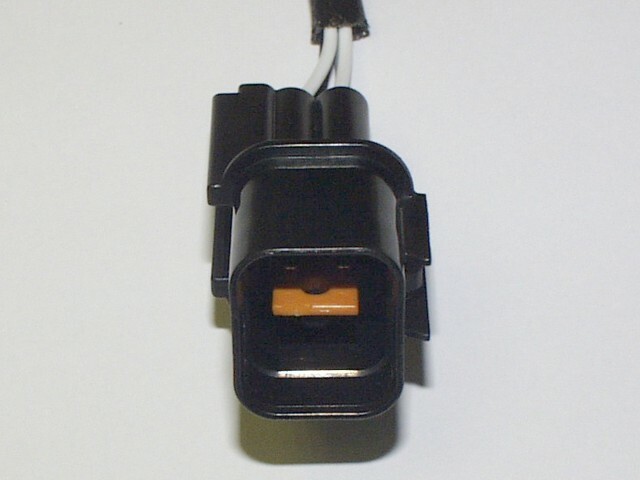 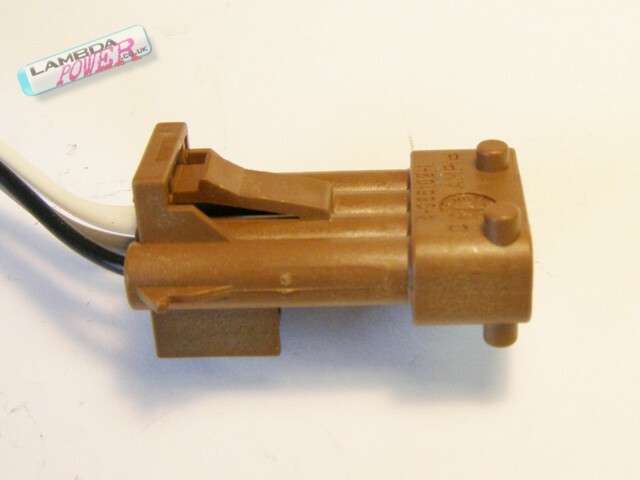 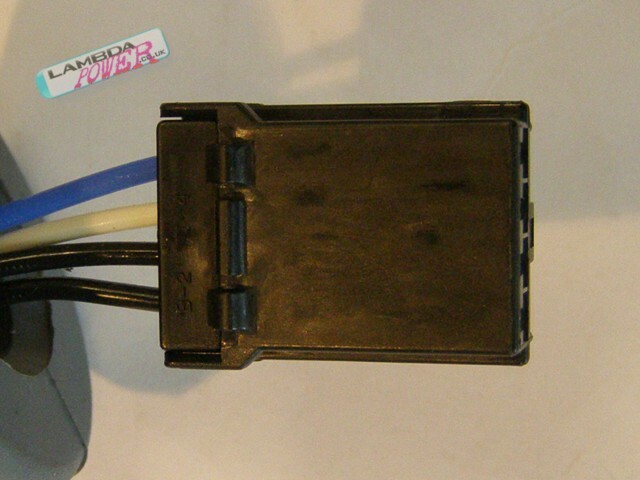 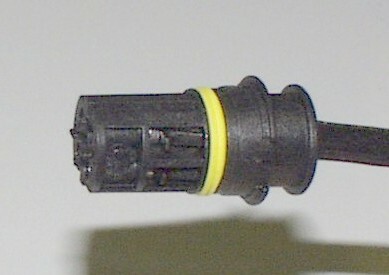 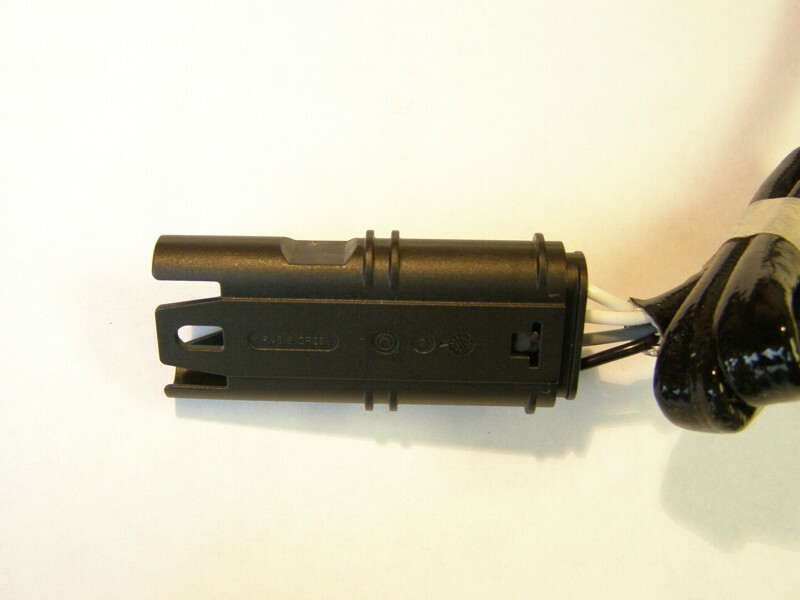 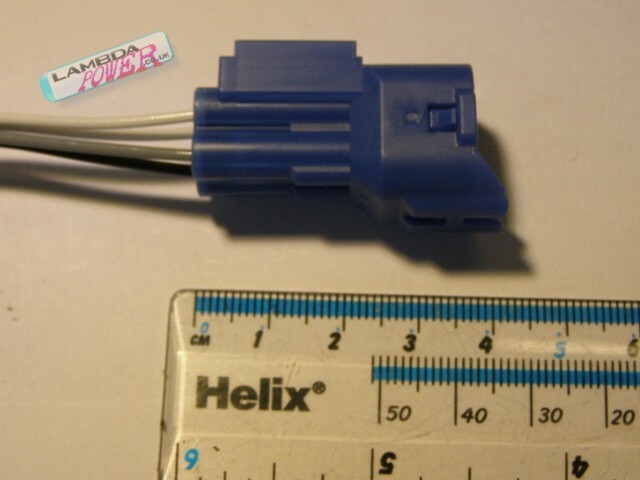 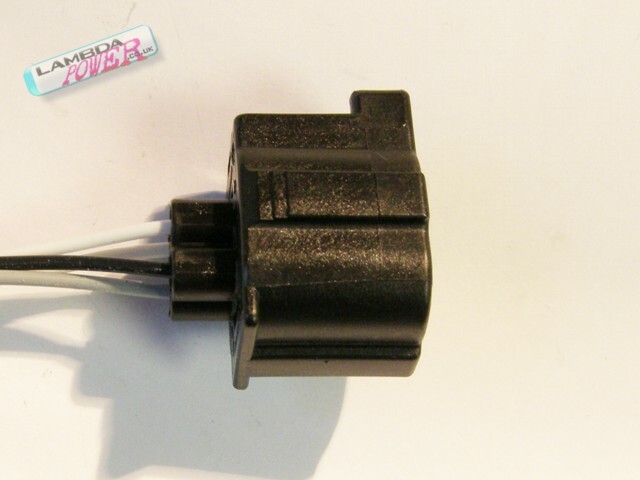 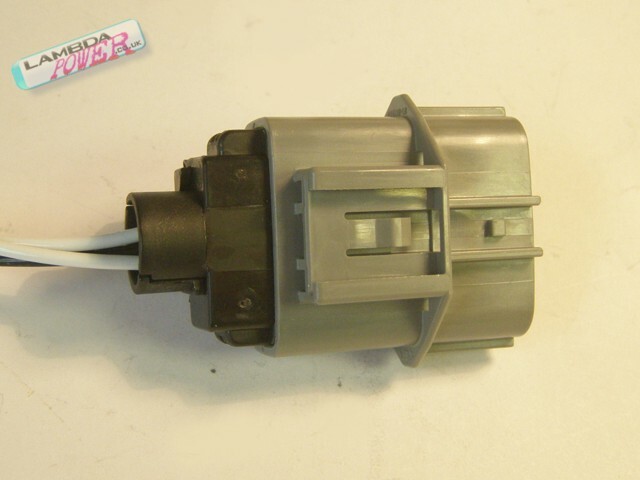 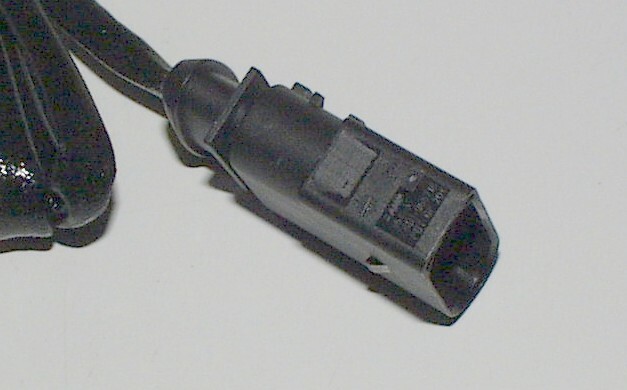 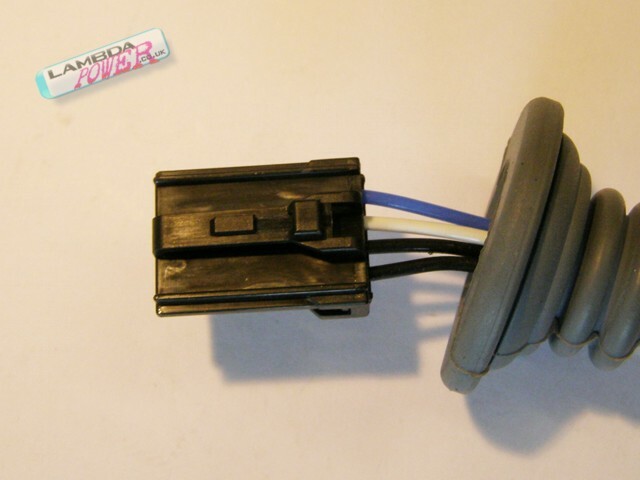 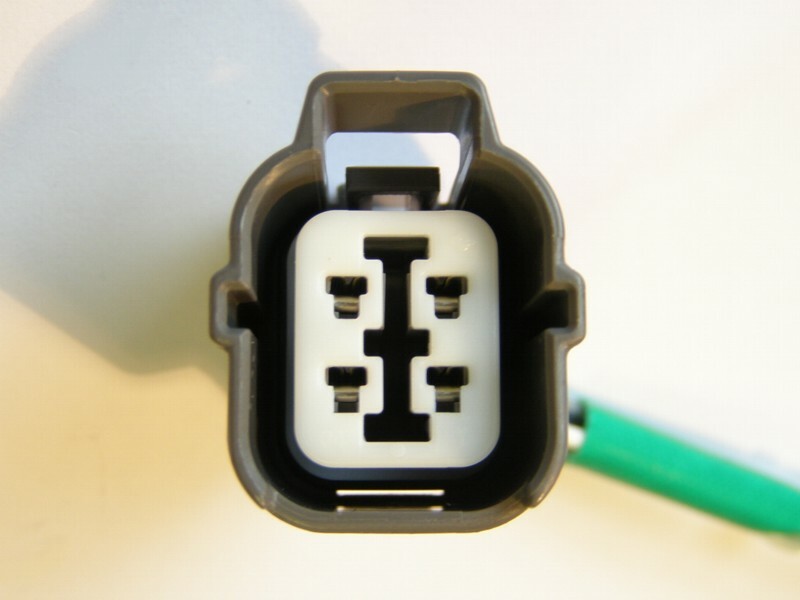 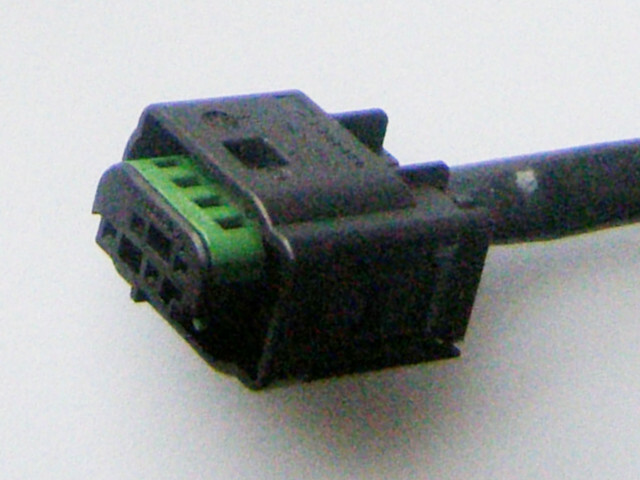 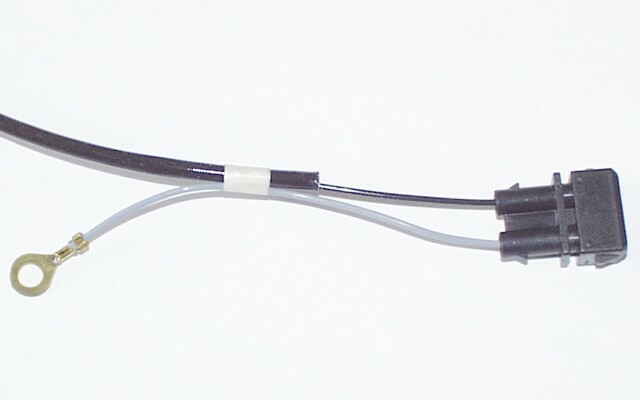 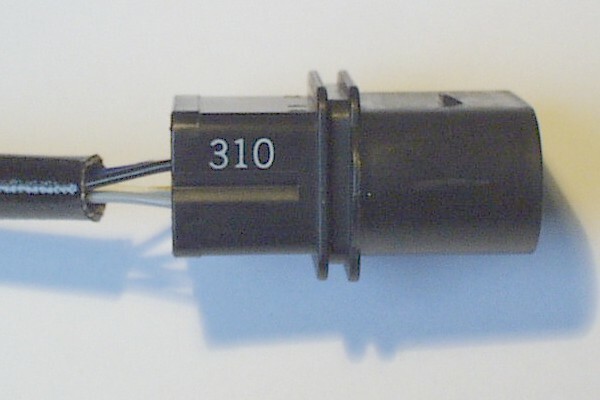 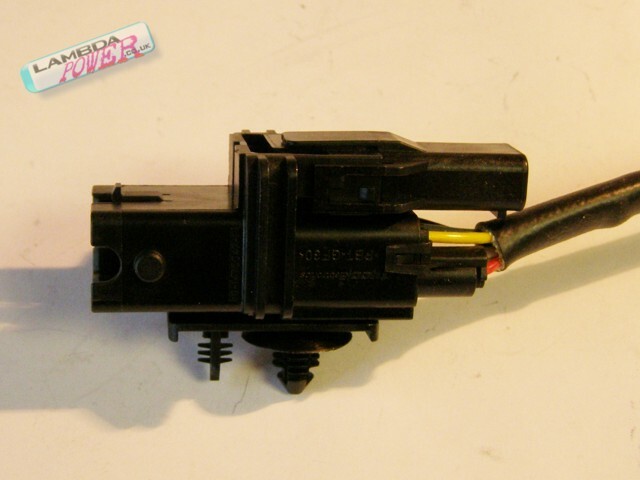 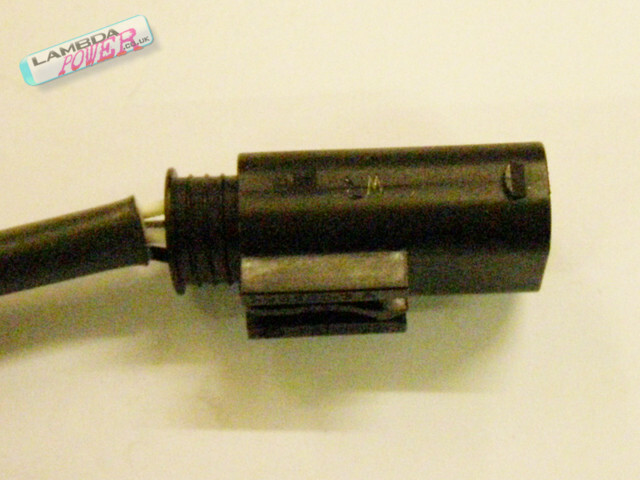 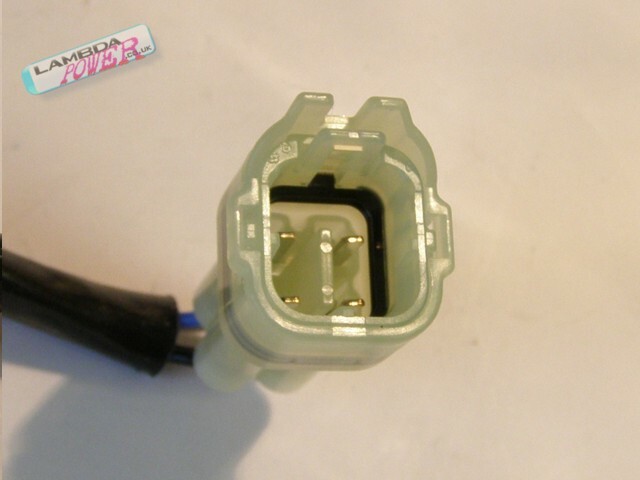 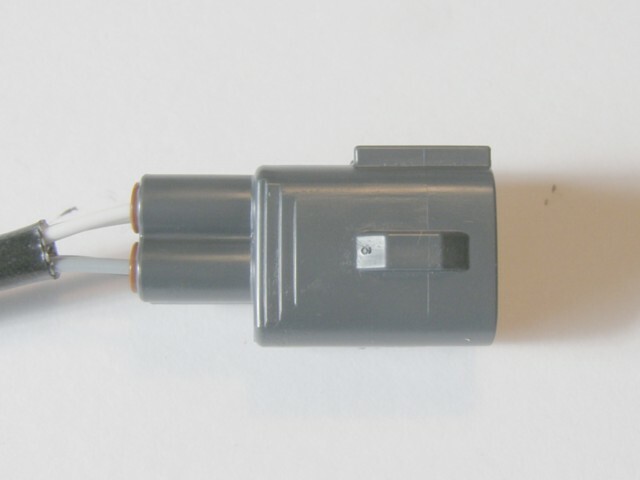 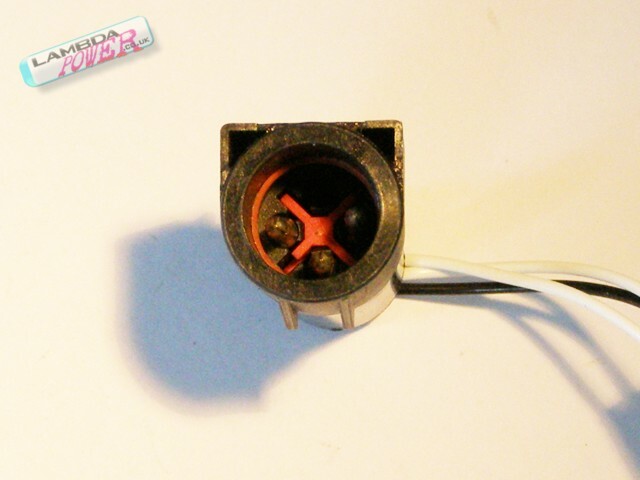 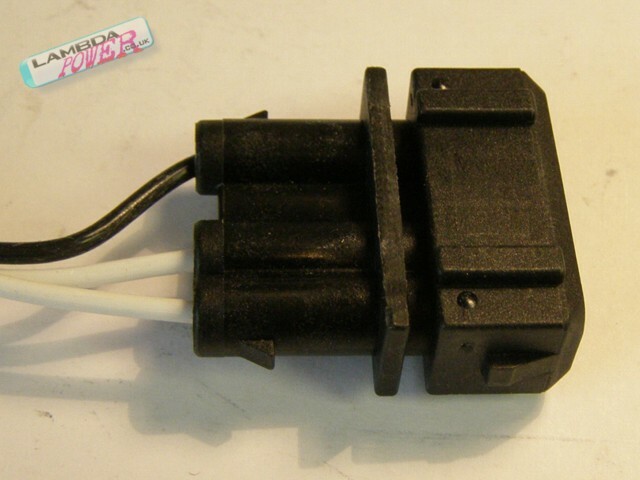 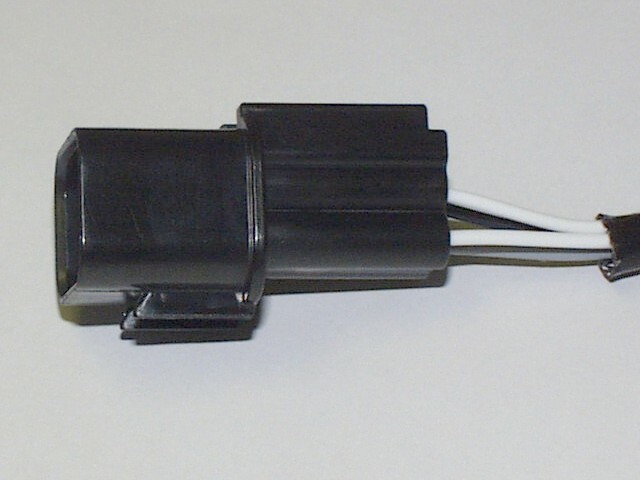 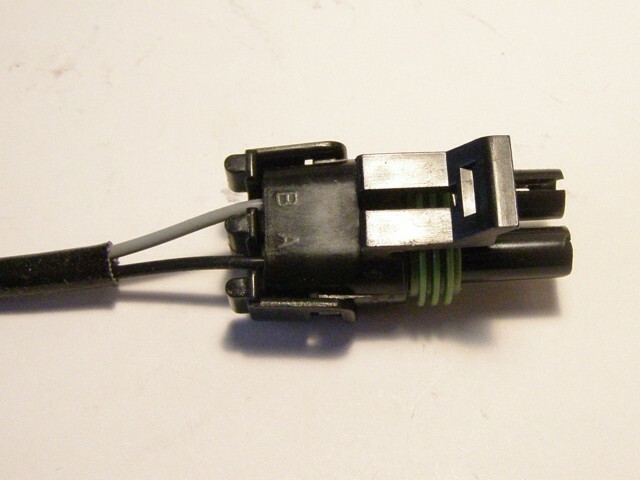 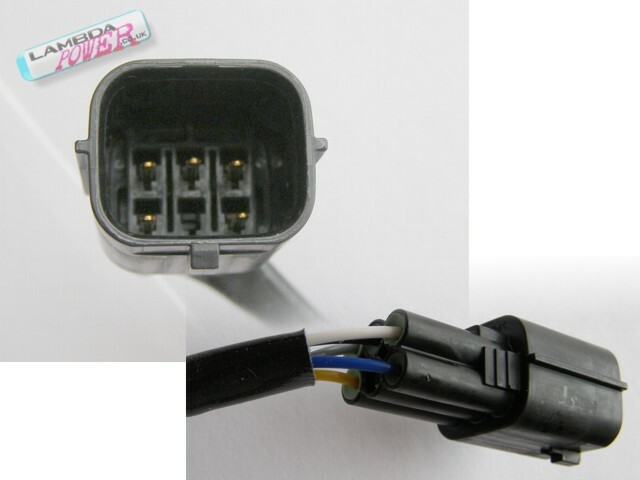 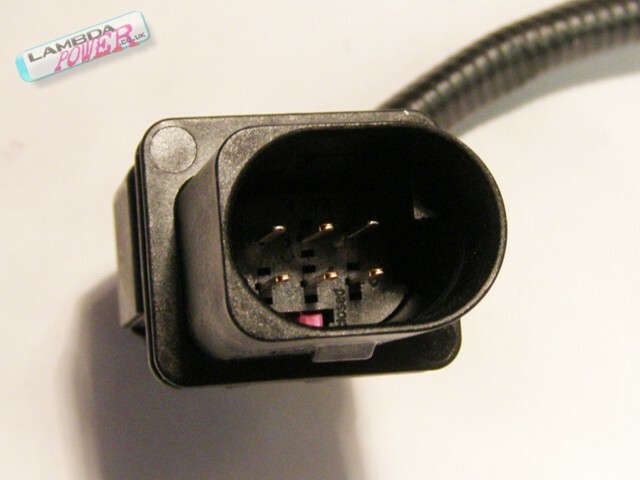 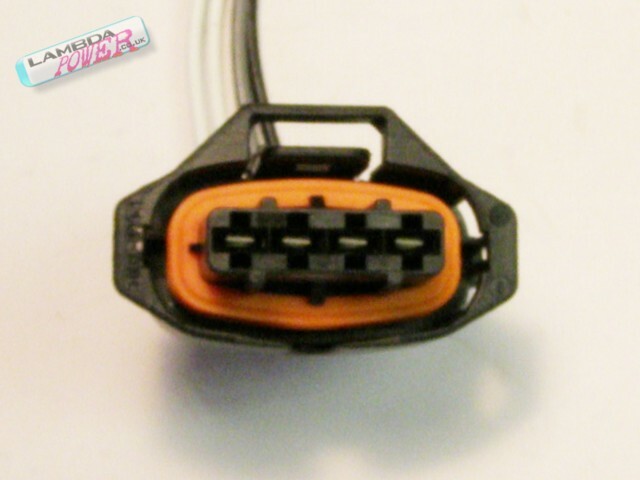 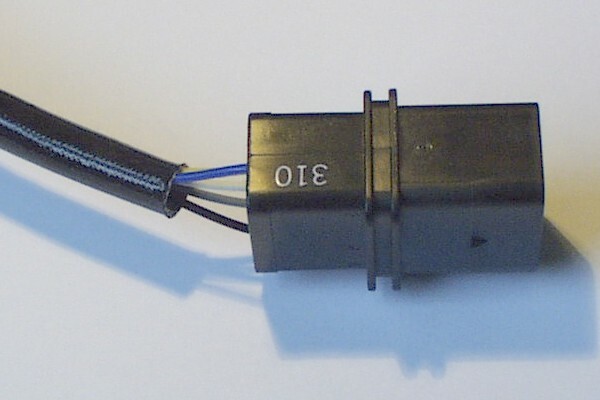 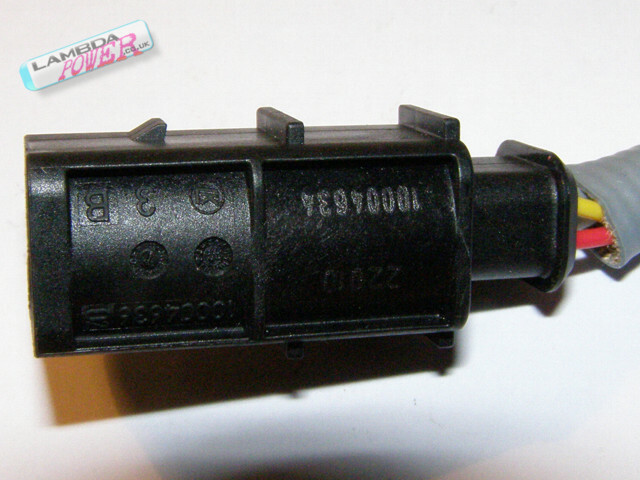 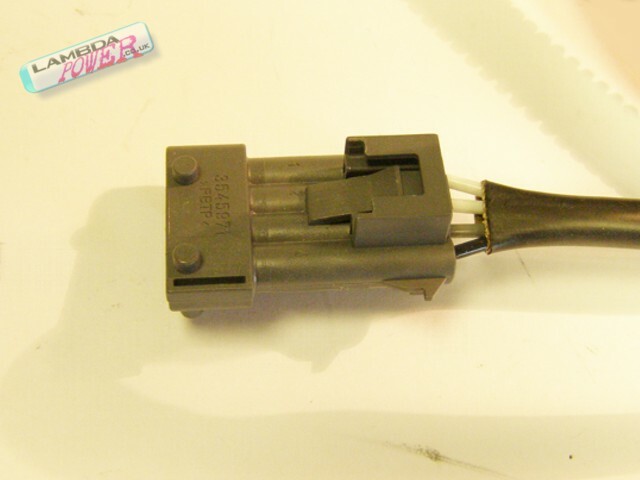 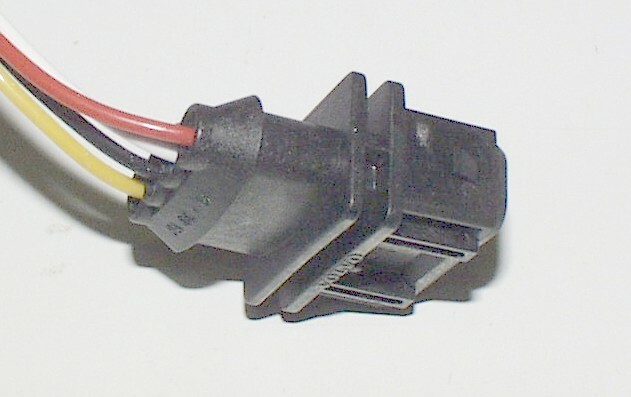 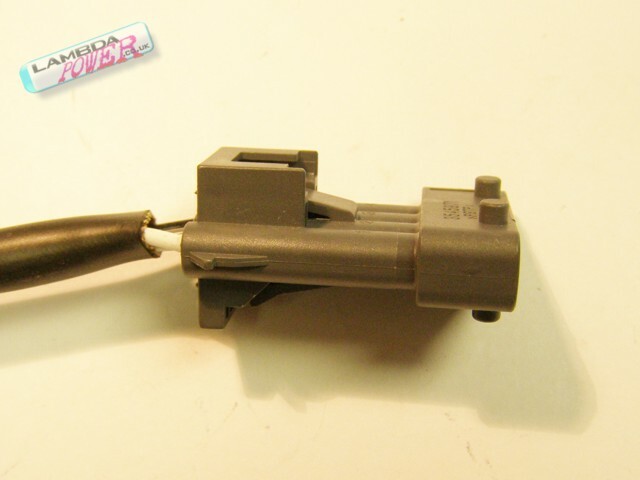 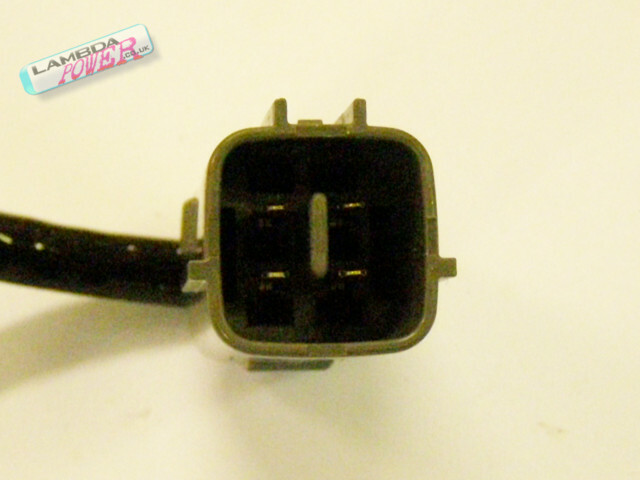 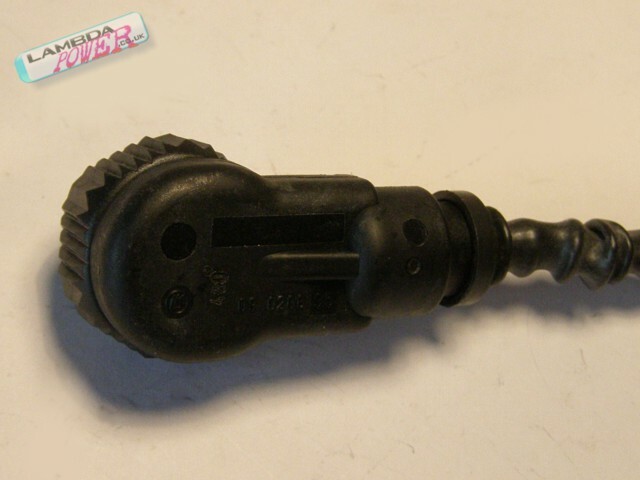 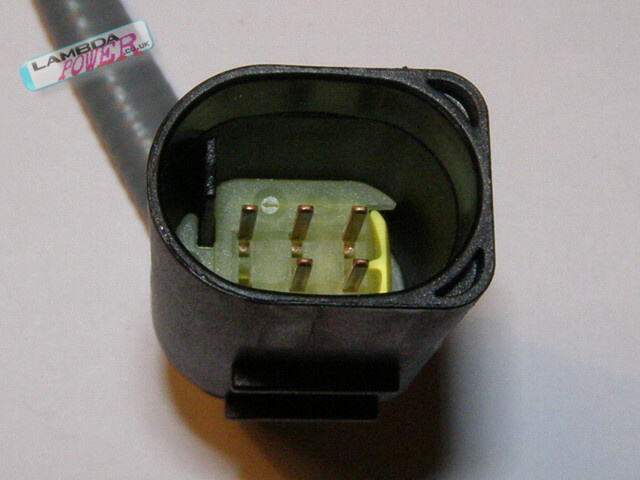 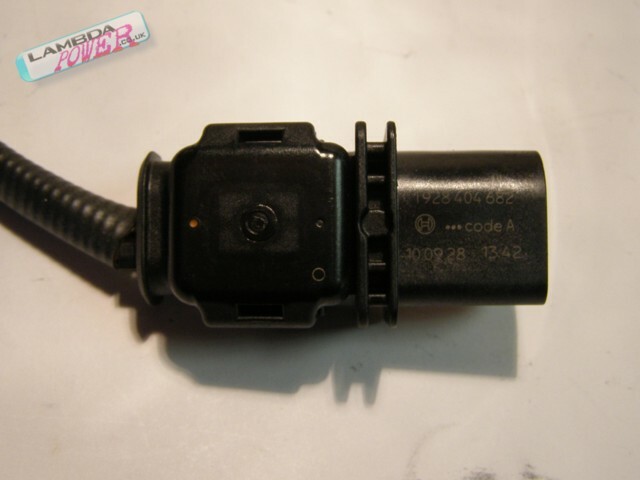 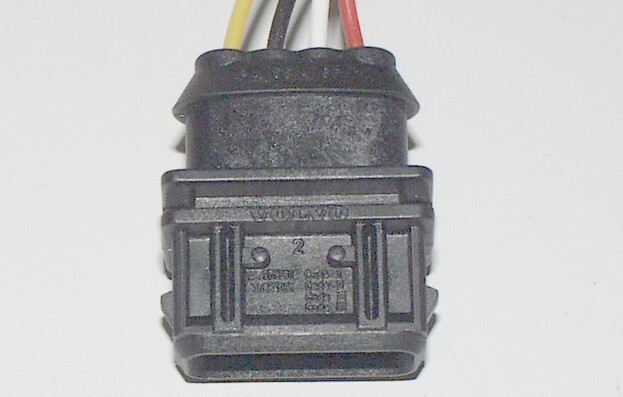 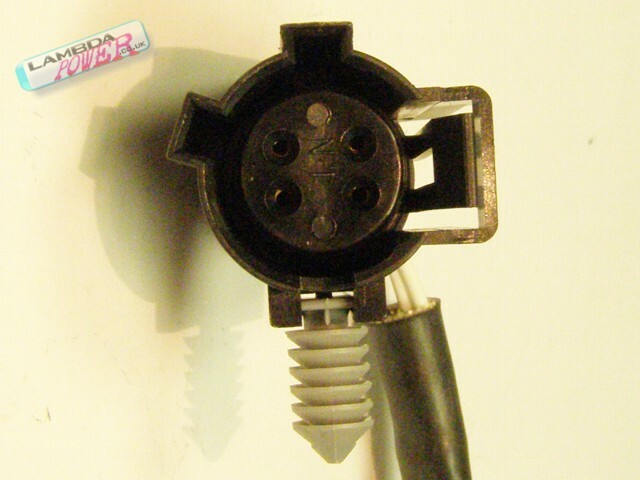 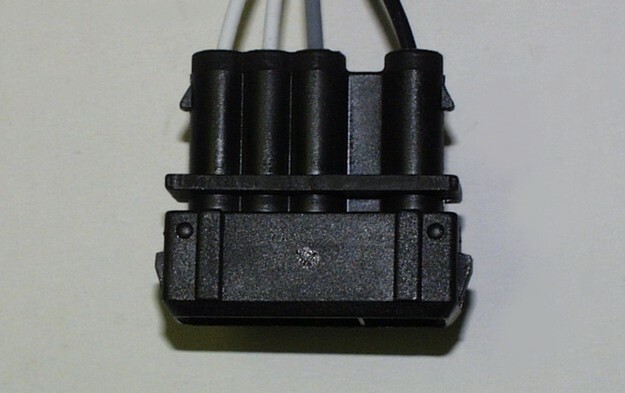 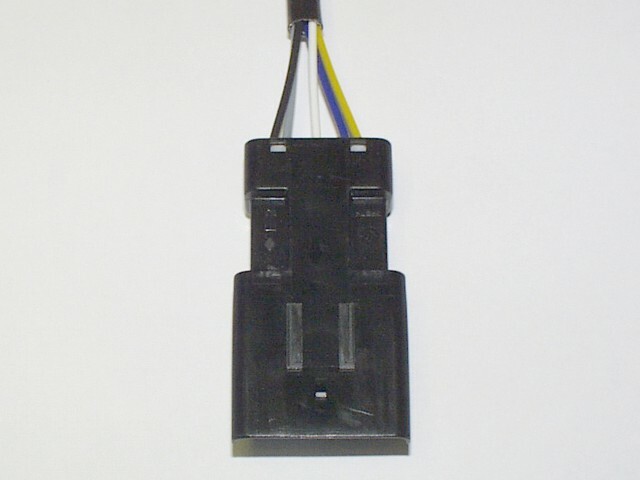 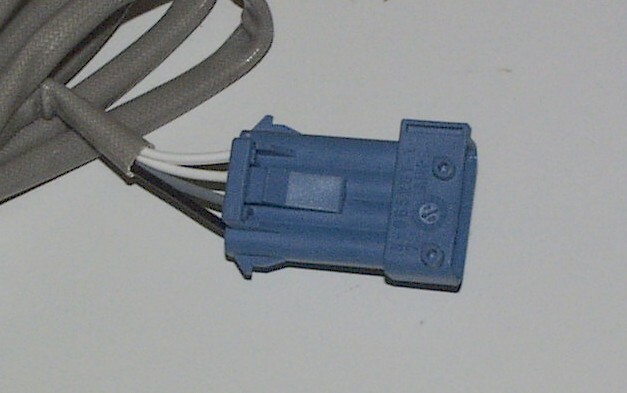 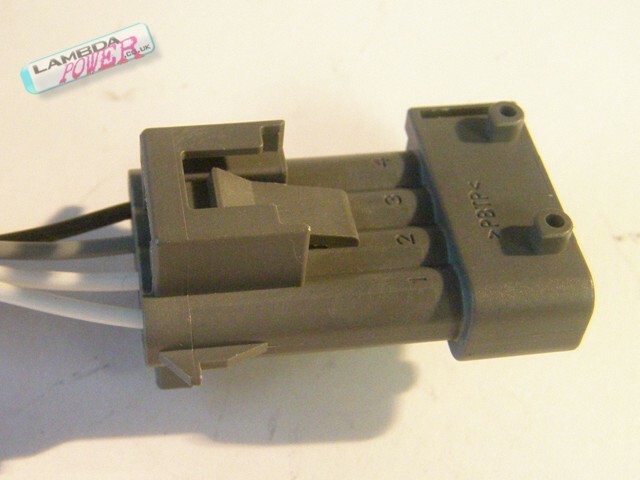 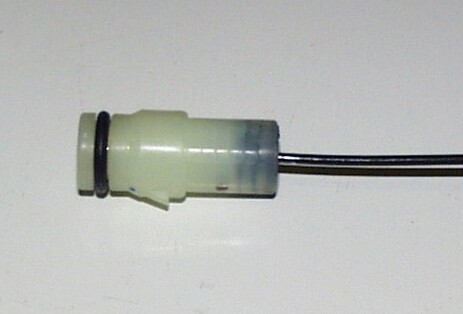 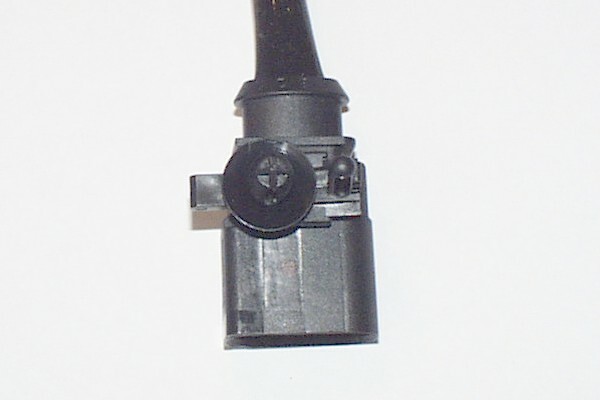 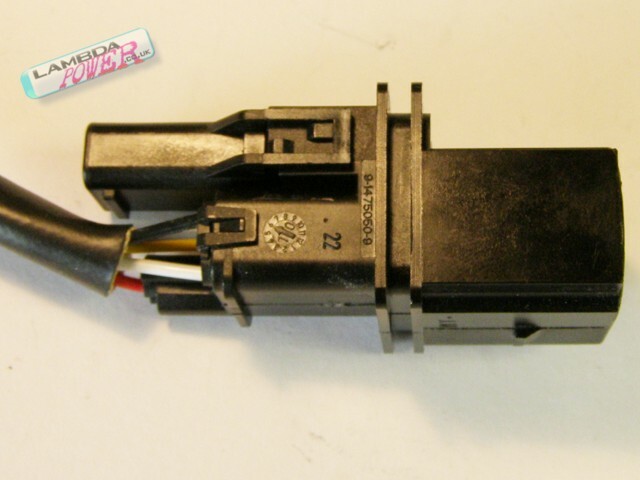 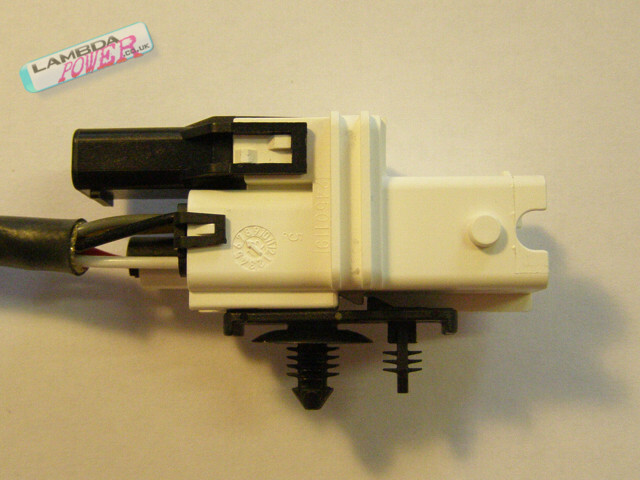 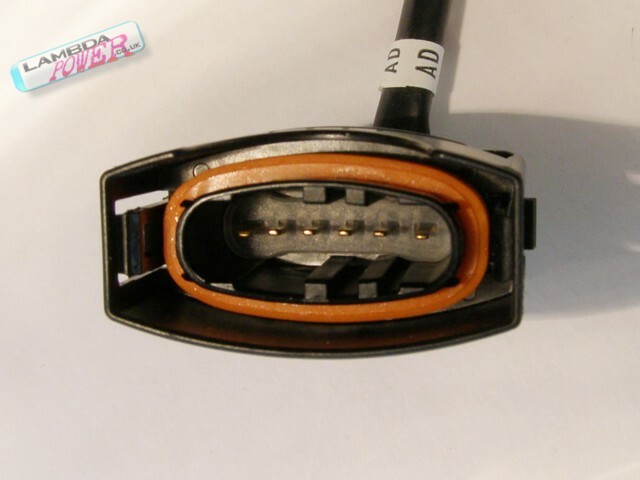 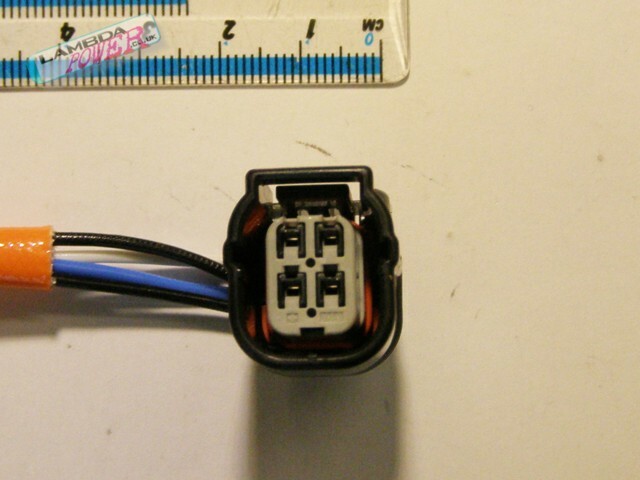 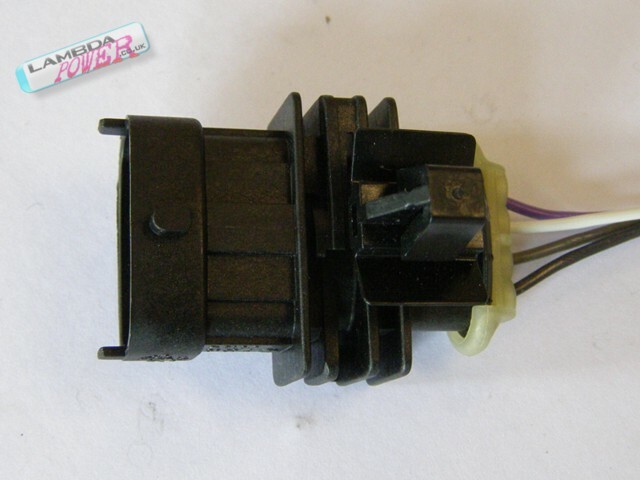 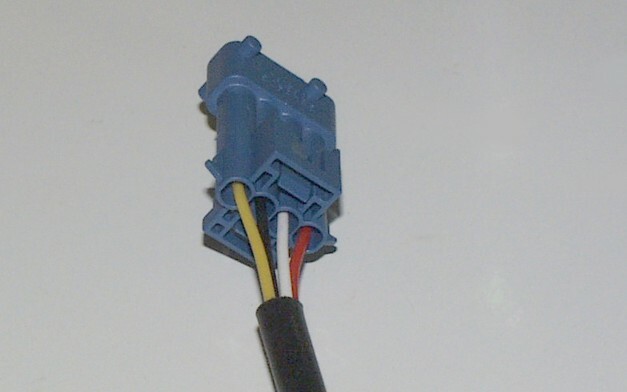 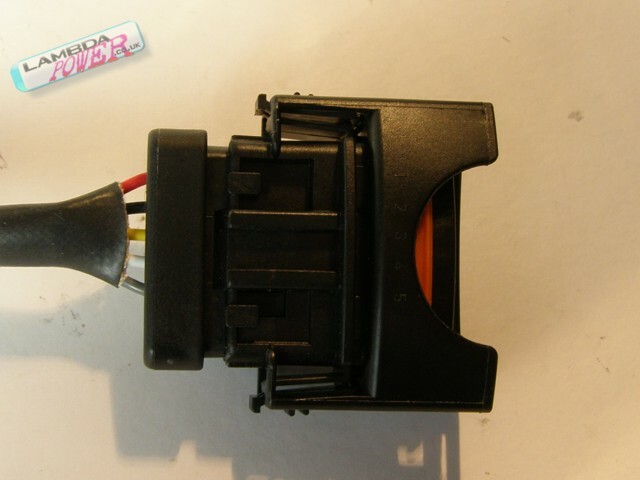 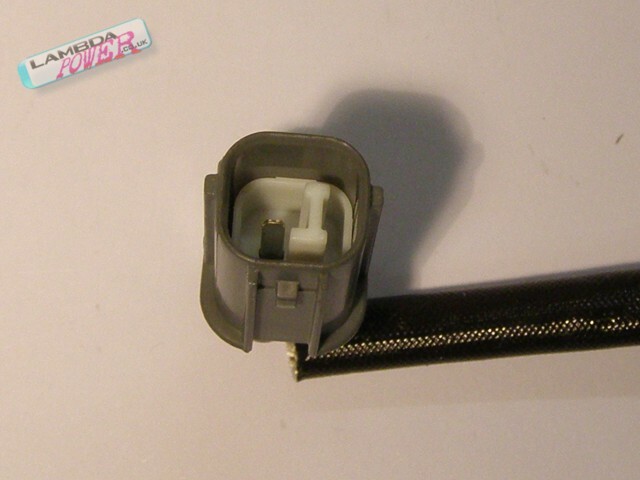 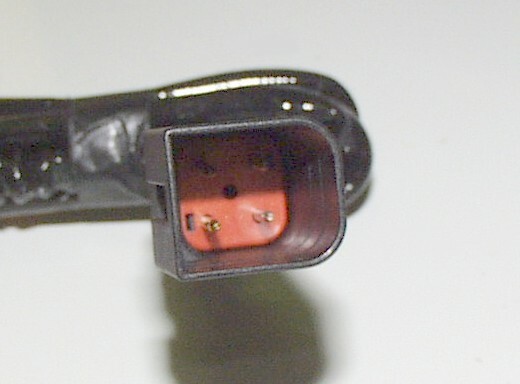 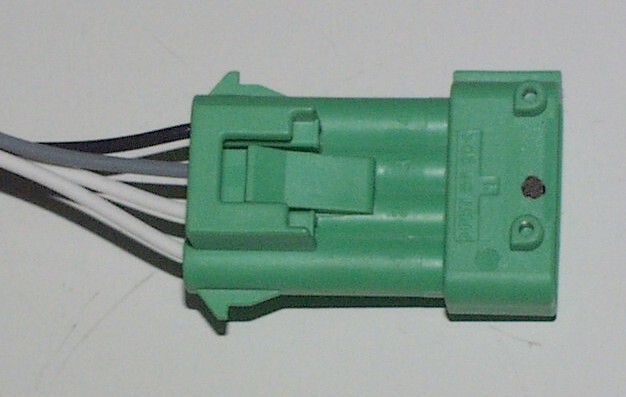 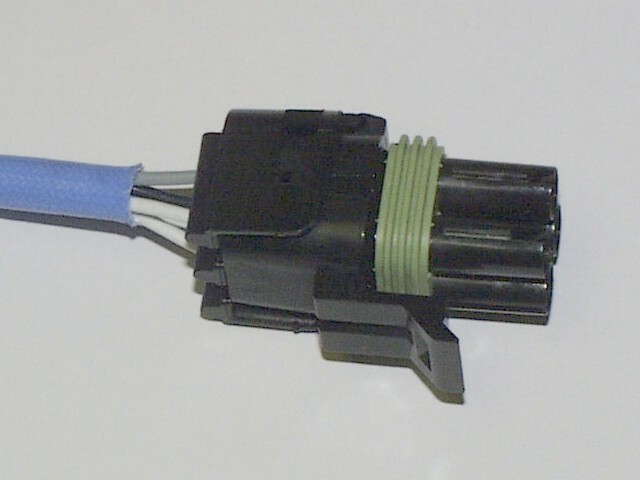 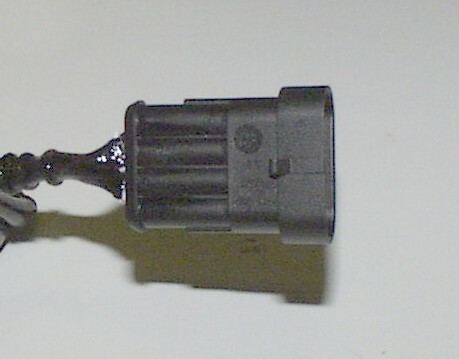 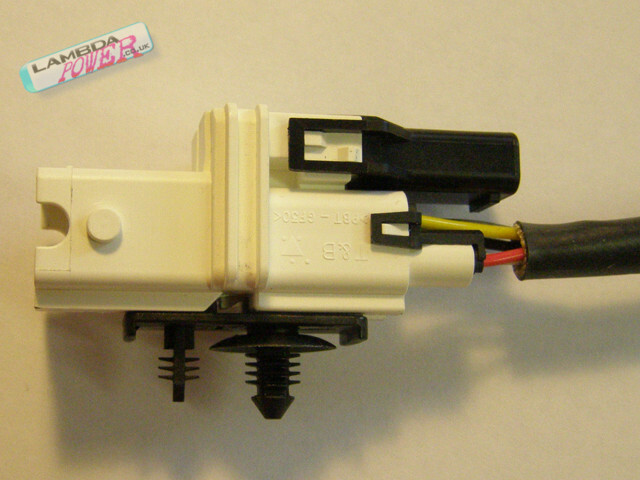 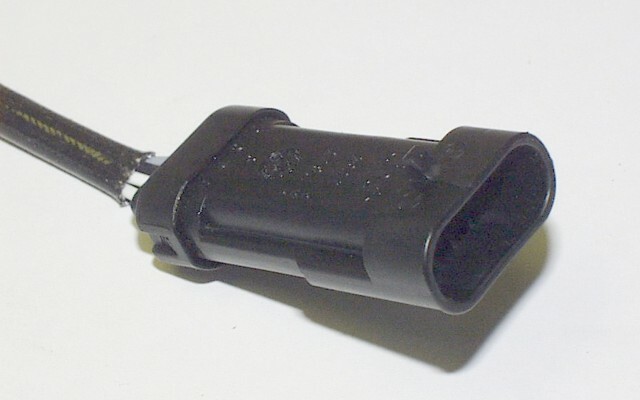 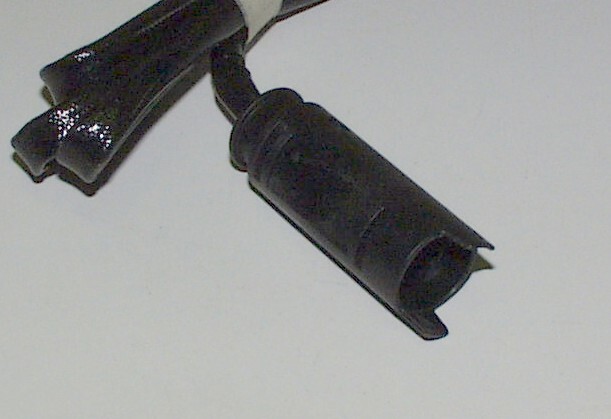 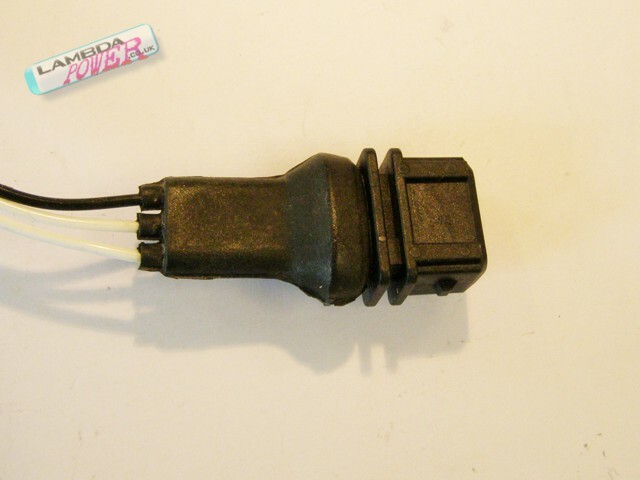 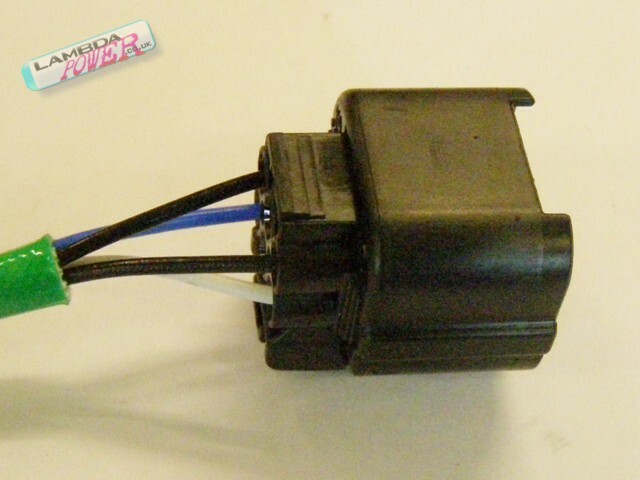 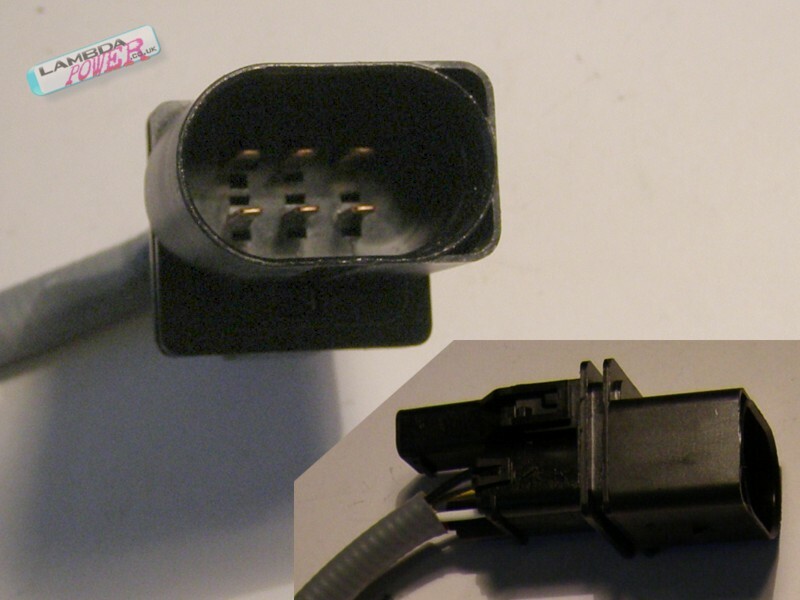 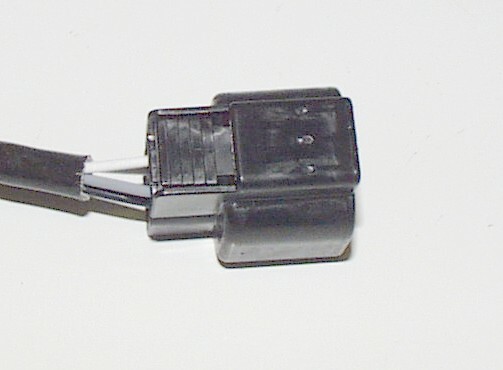 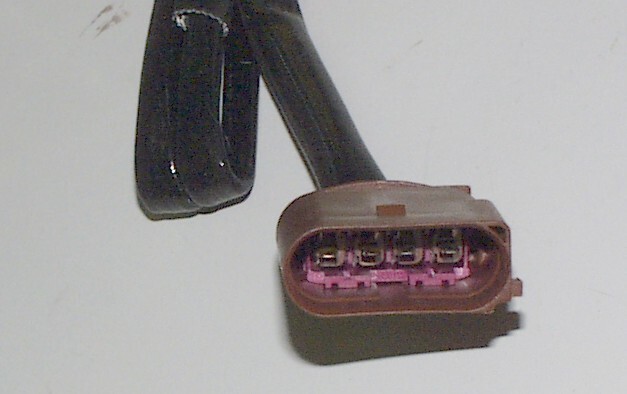 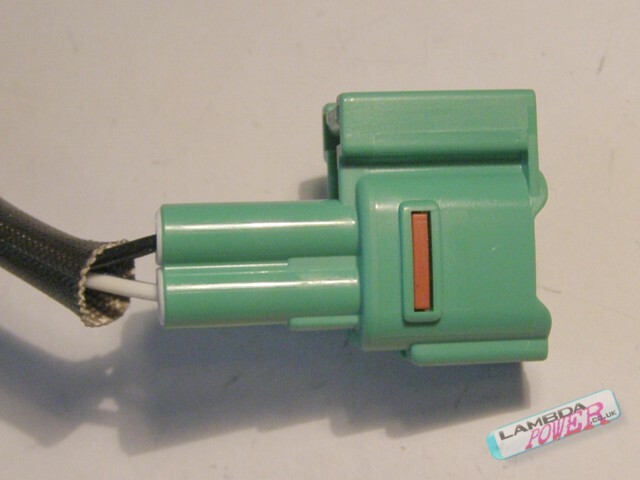 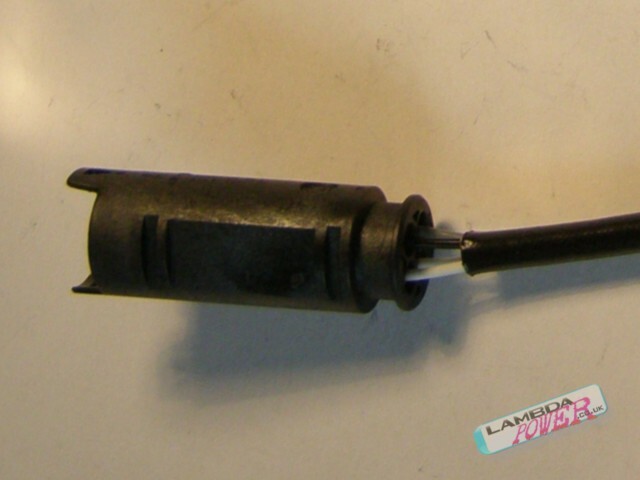 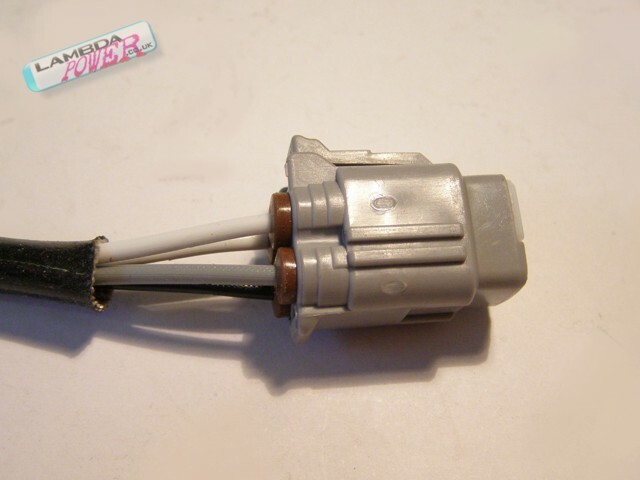 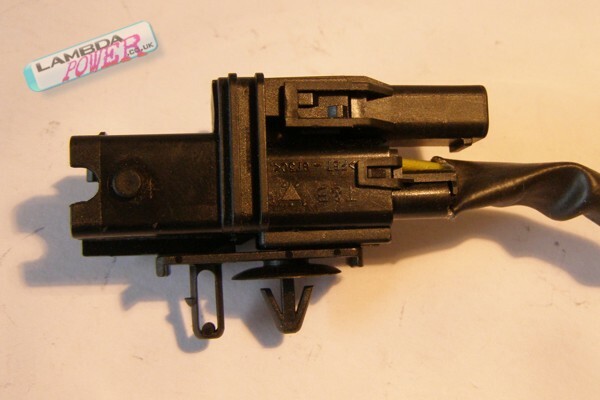 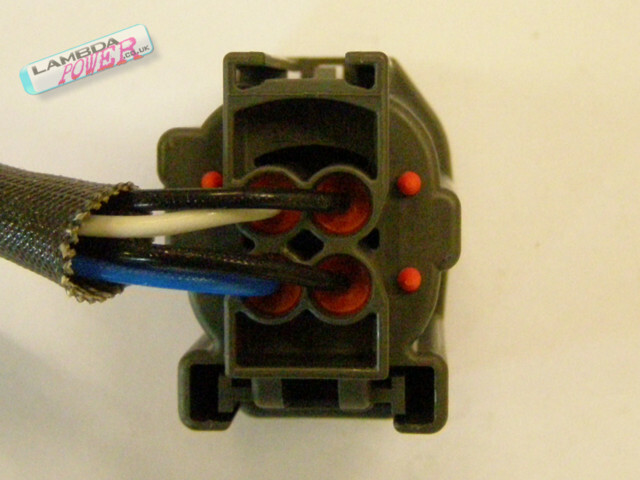 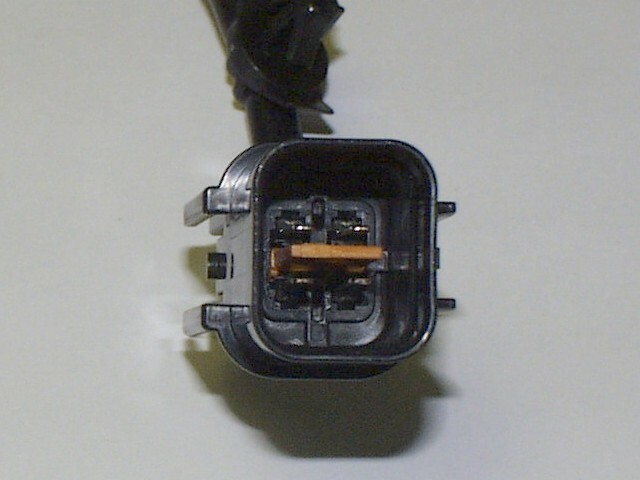 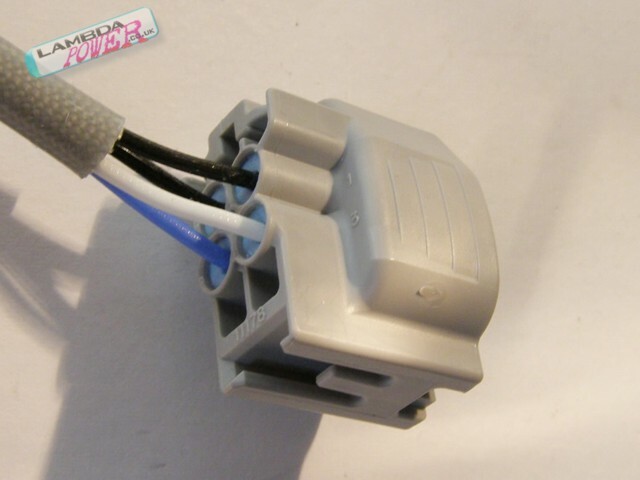 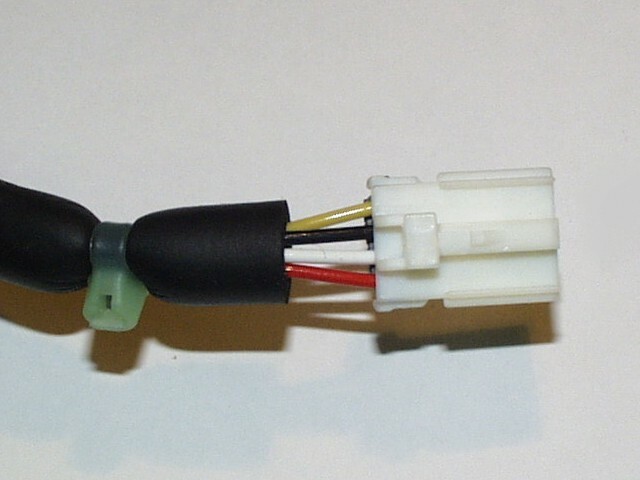 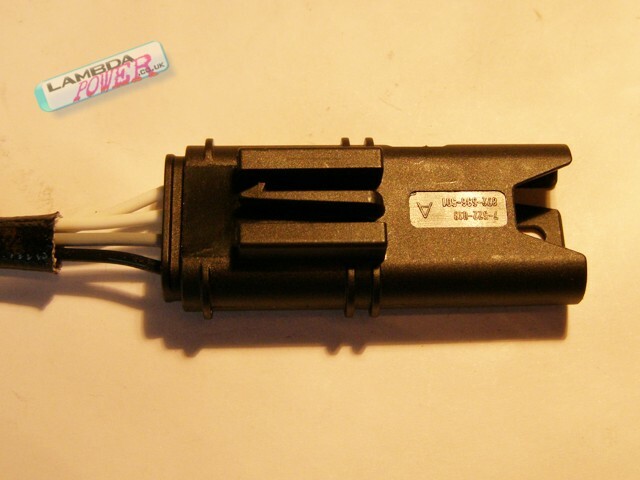 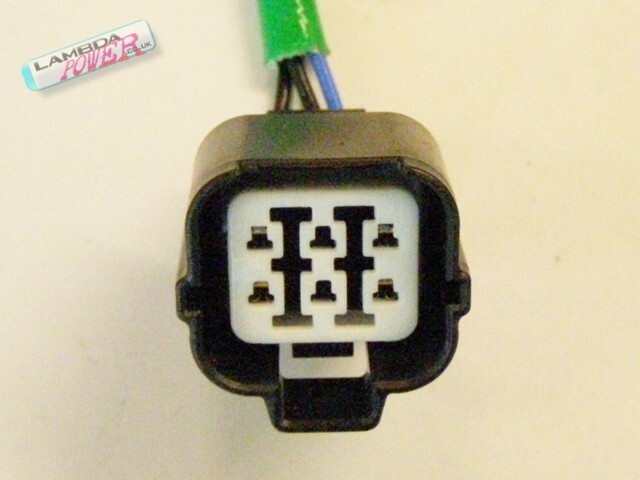 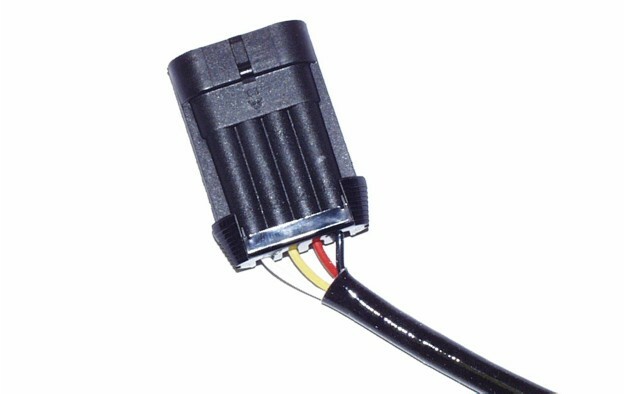 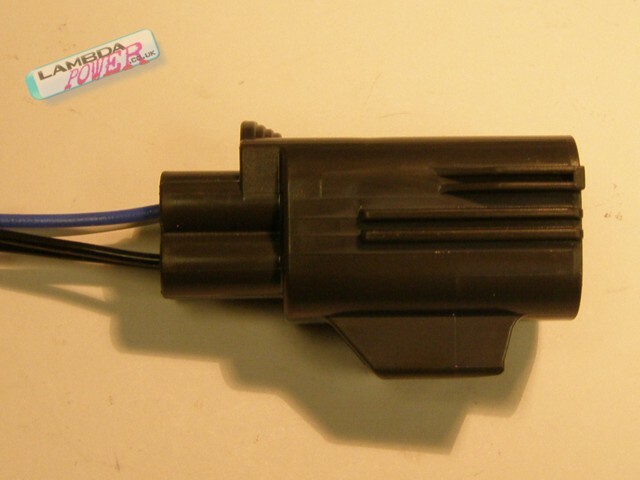 The original sensor on the car may have BLACK BLACK BLUE WHITE wiring colours. 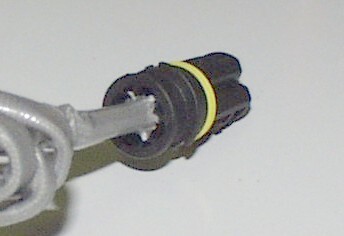 This corresponds to WHITE WHITE BLACK GREY on the replacement. 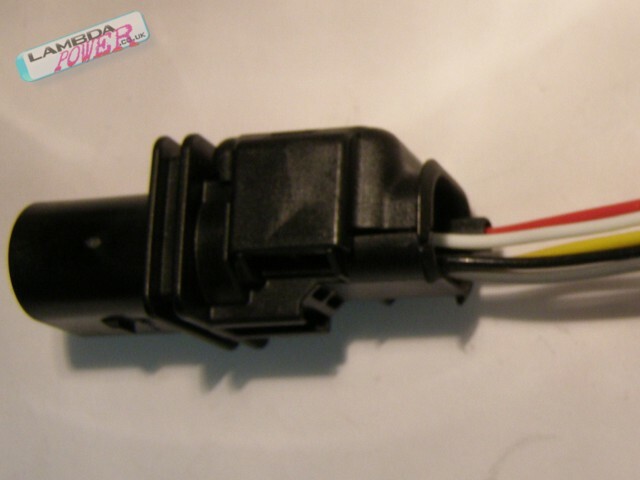 This is just a matter of different wiring colour conventions and the sensors are still pin compatible. 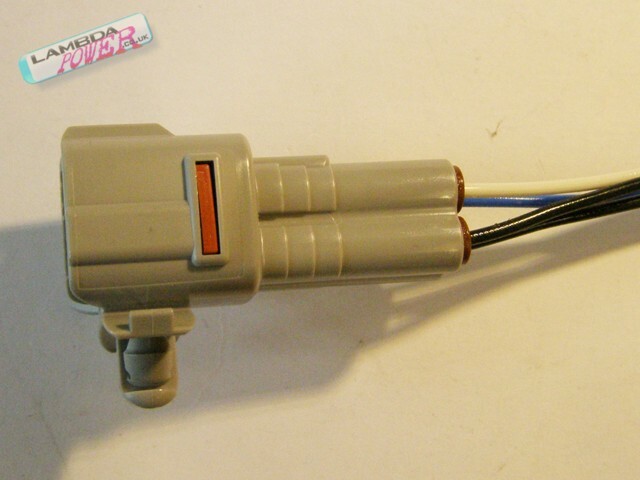 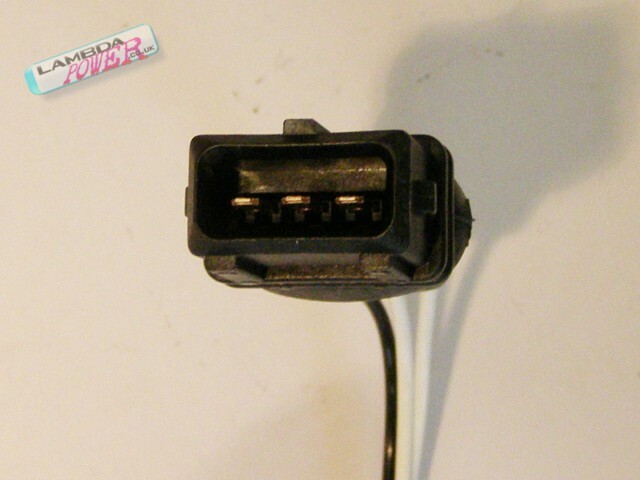 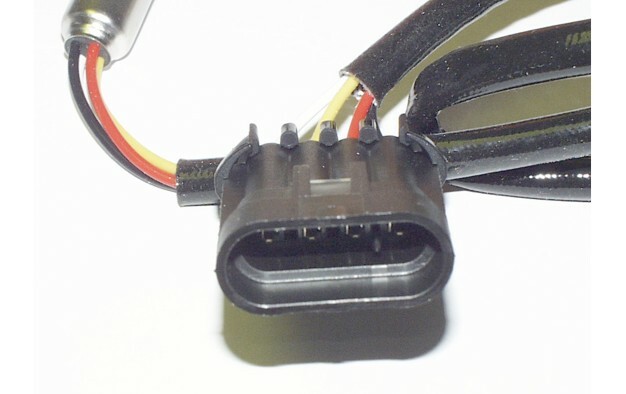 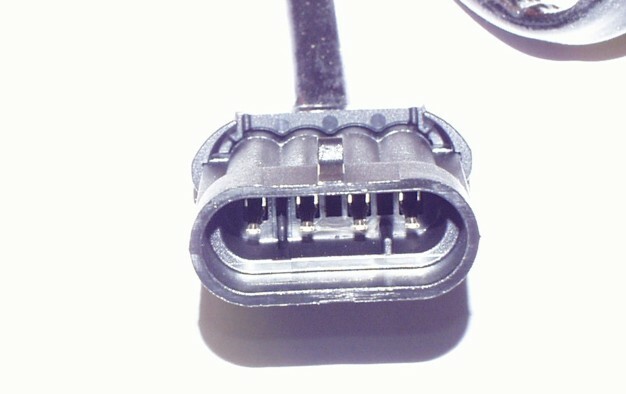 Please note this connector has only Three wires. 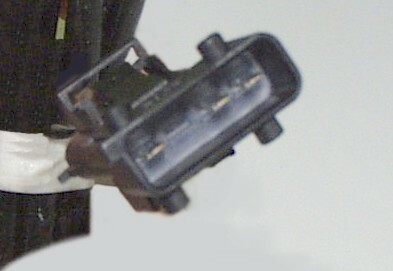 If ordering for a series II 900, check the one fitted to the car. 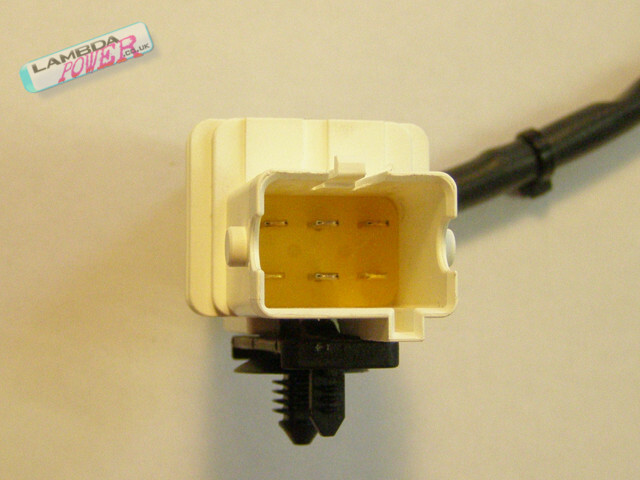 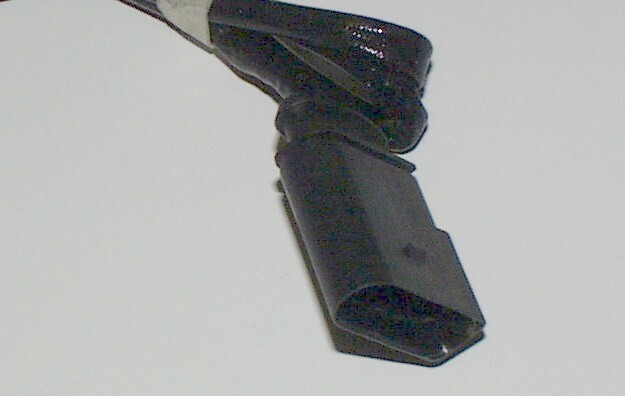 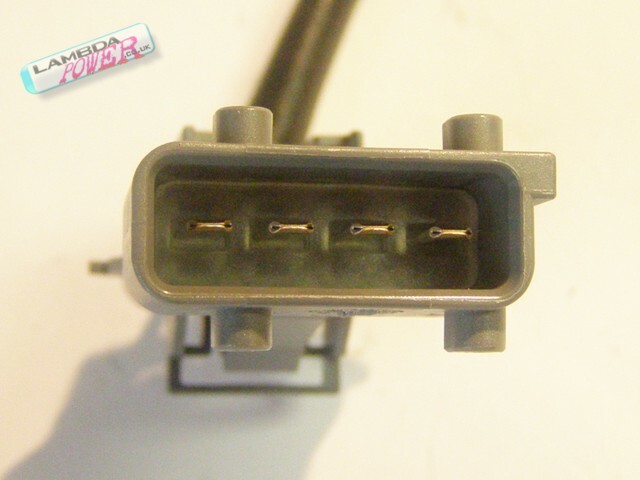 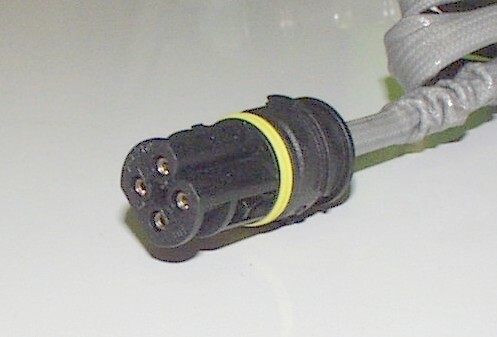 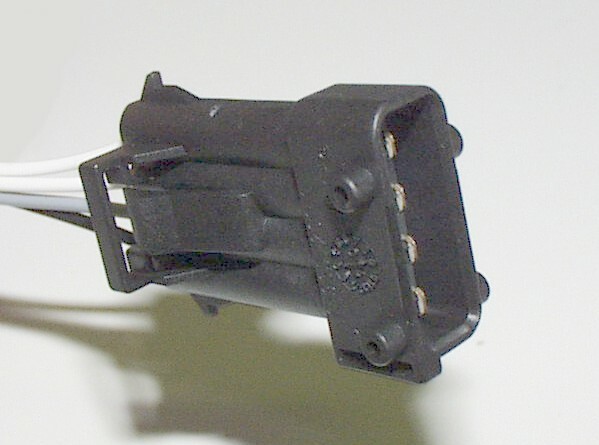 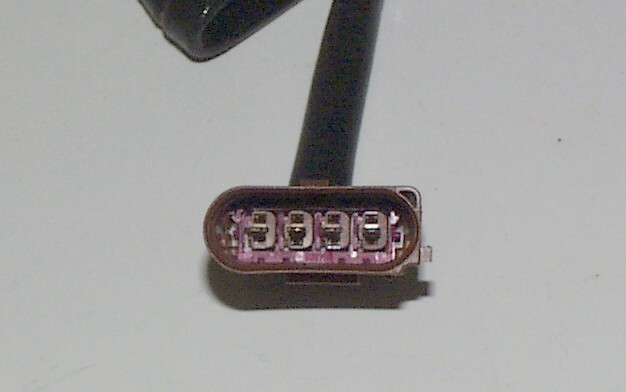 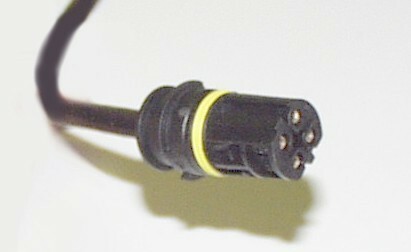 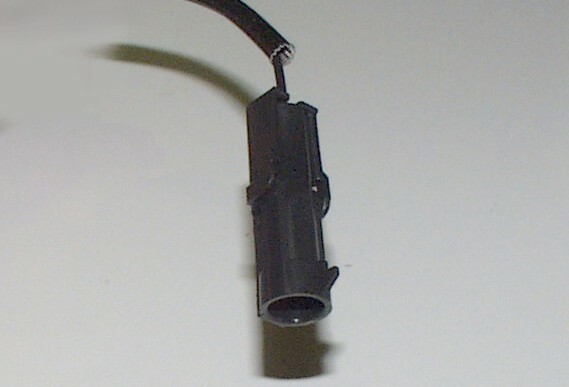 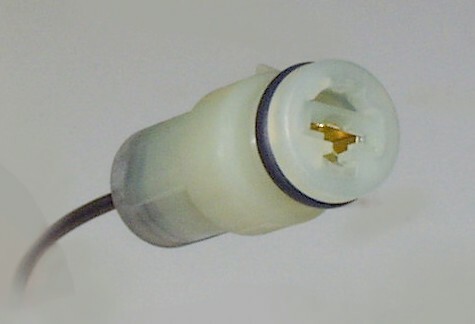 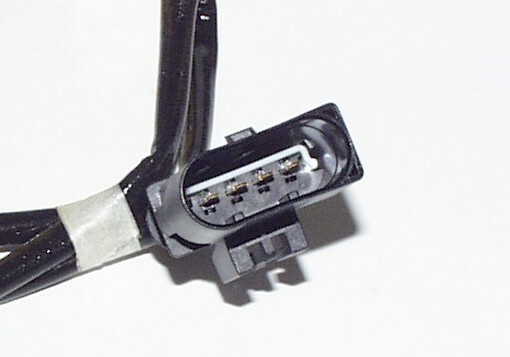 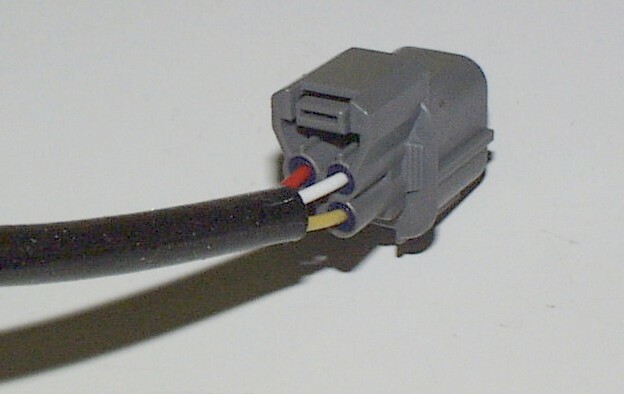 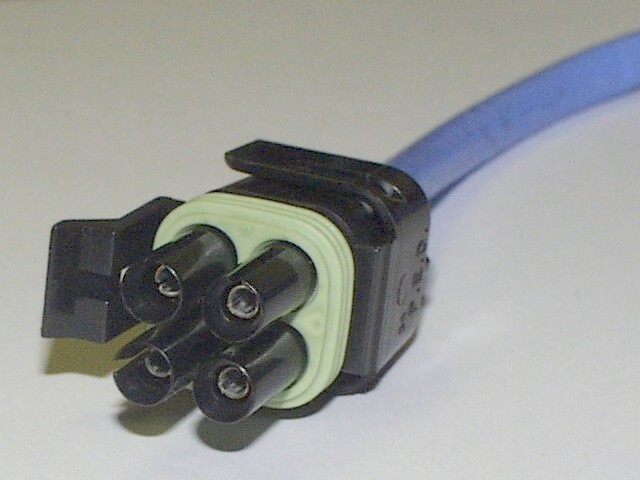 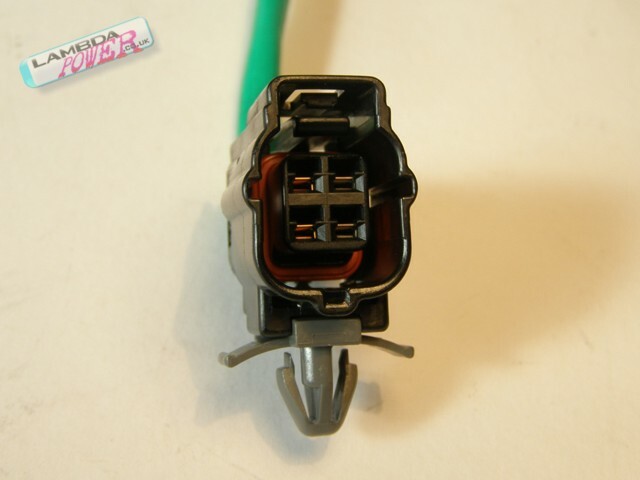 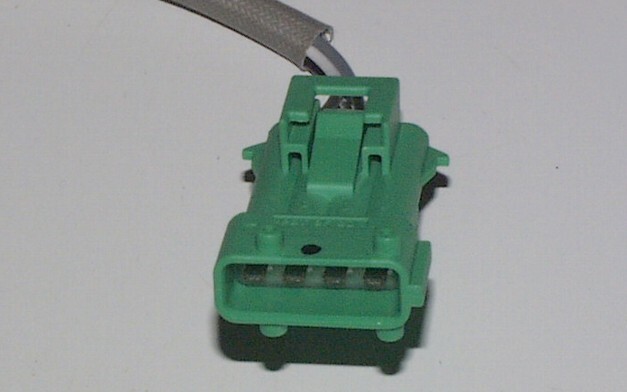 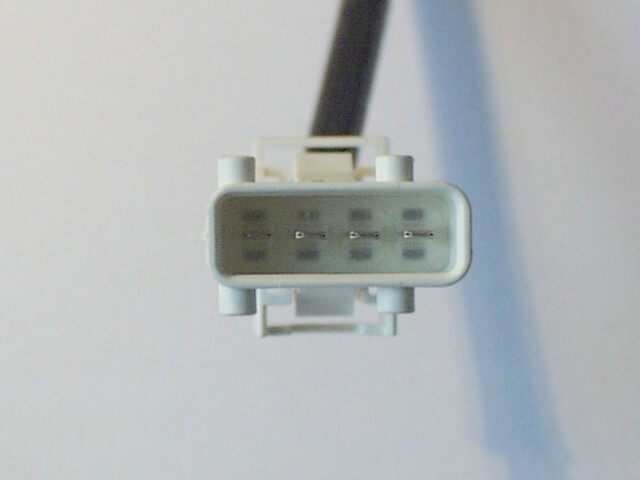 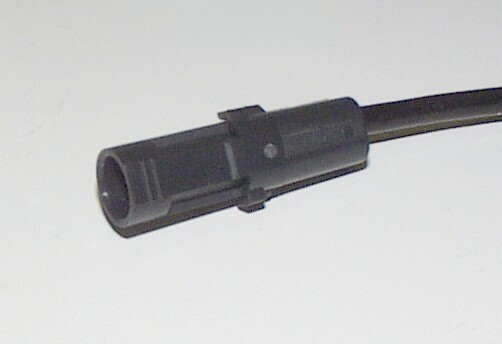 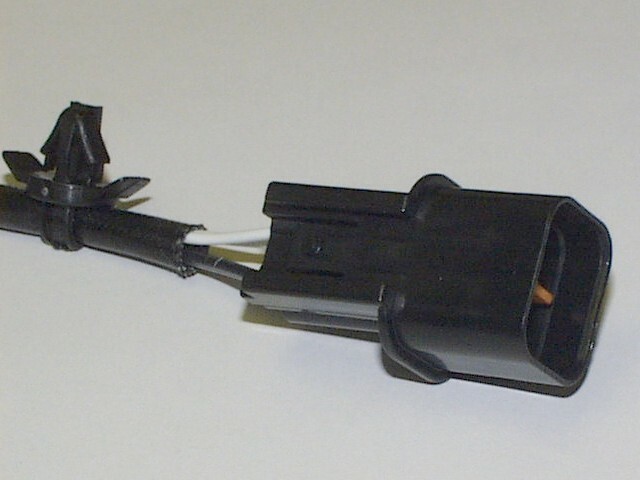 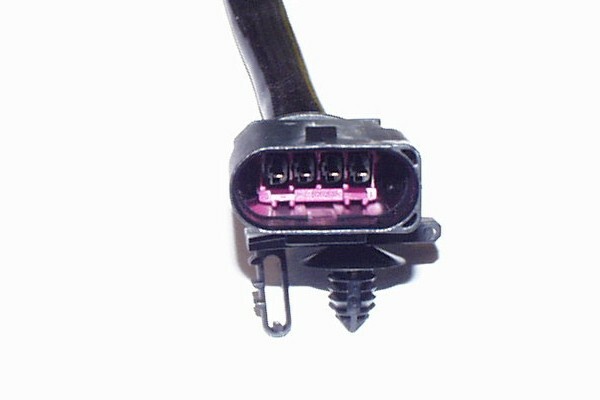 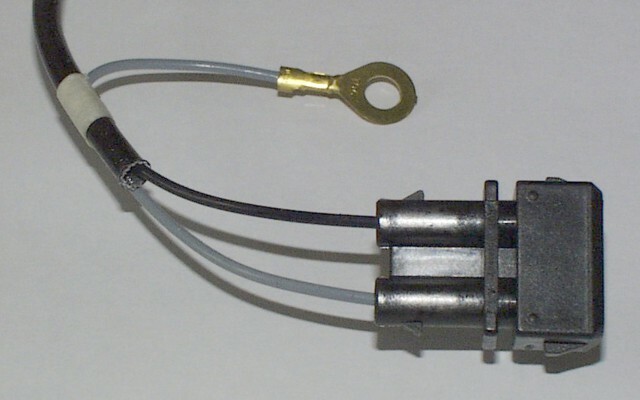 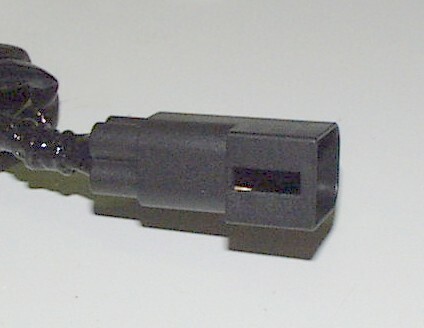 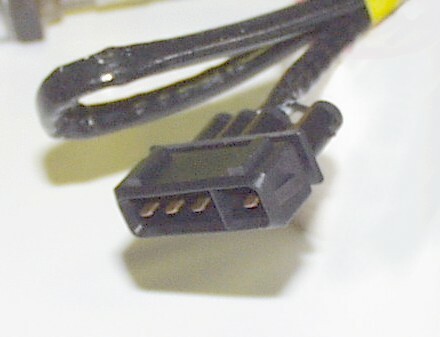 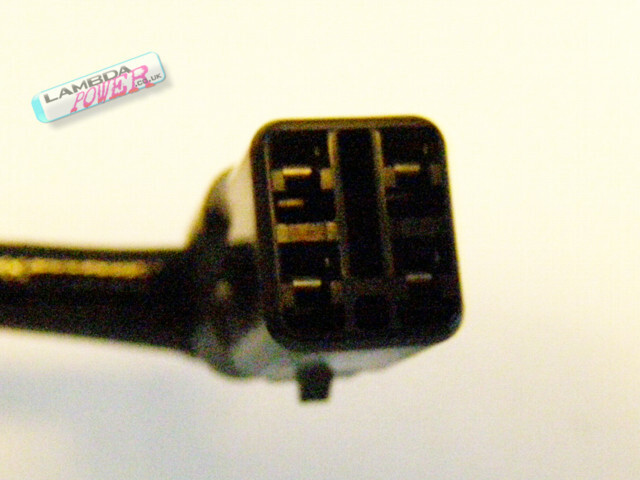 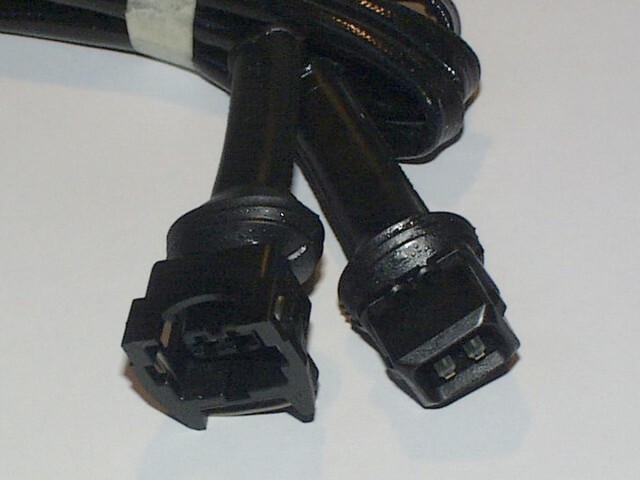 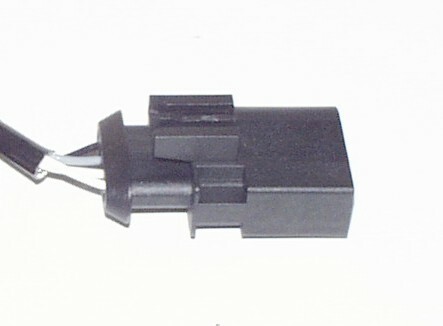 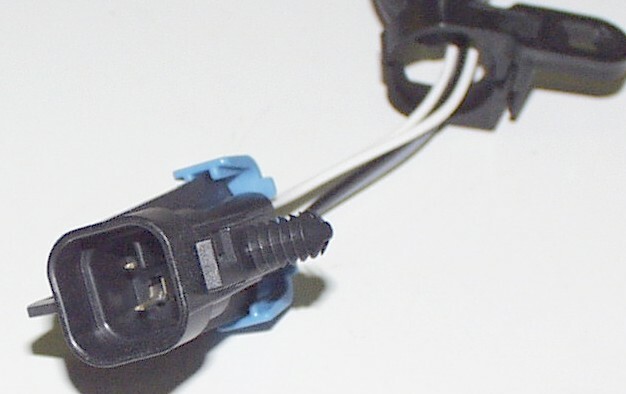 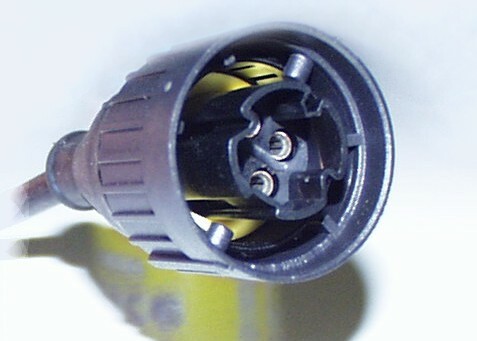 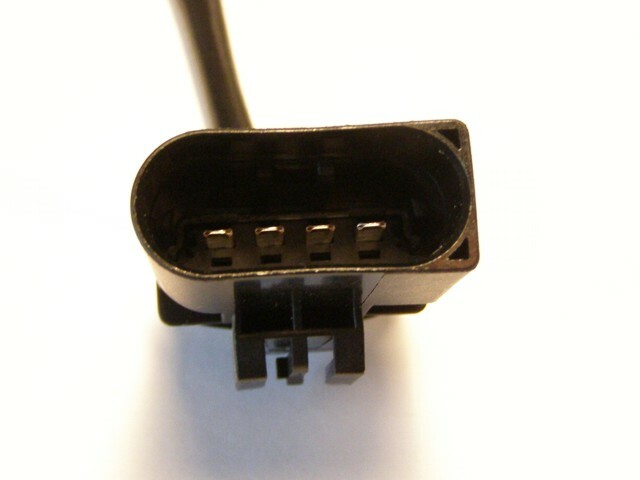 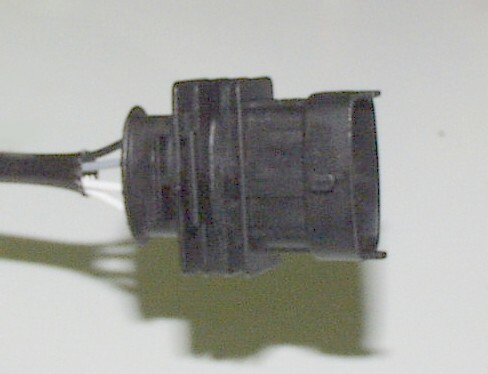 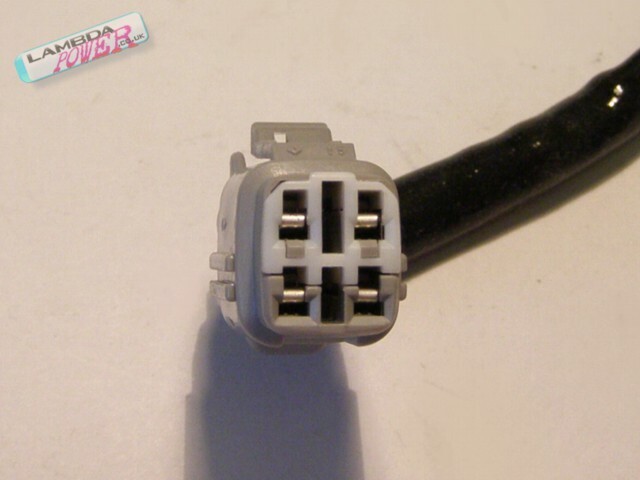 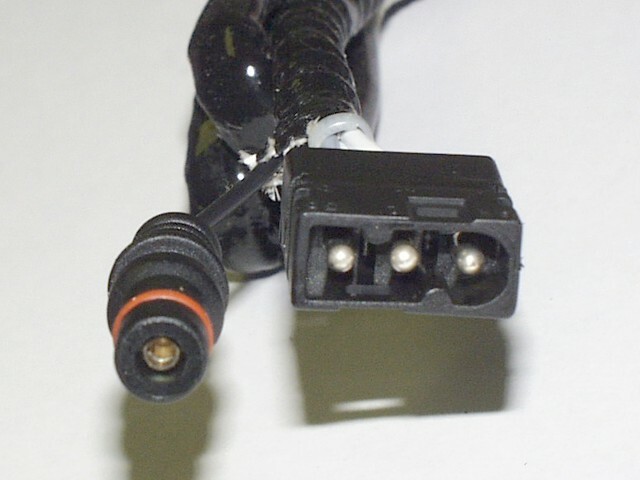 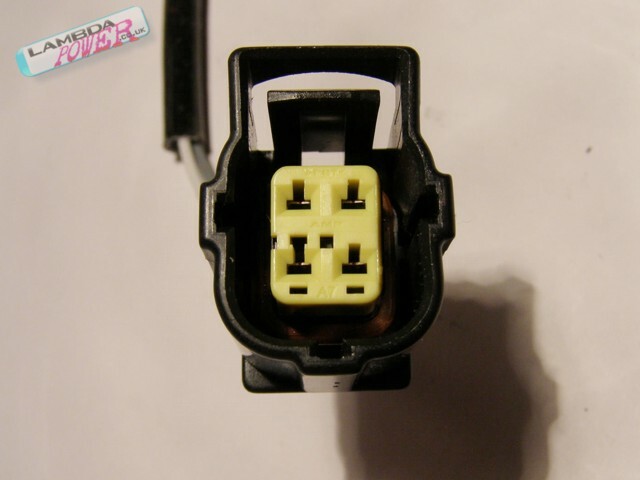 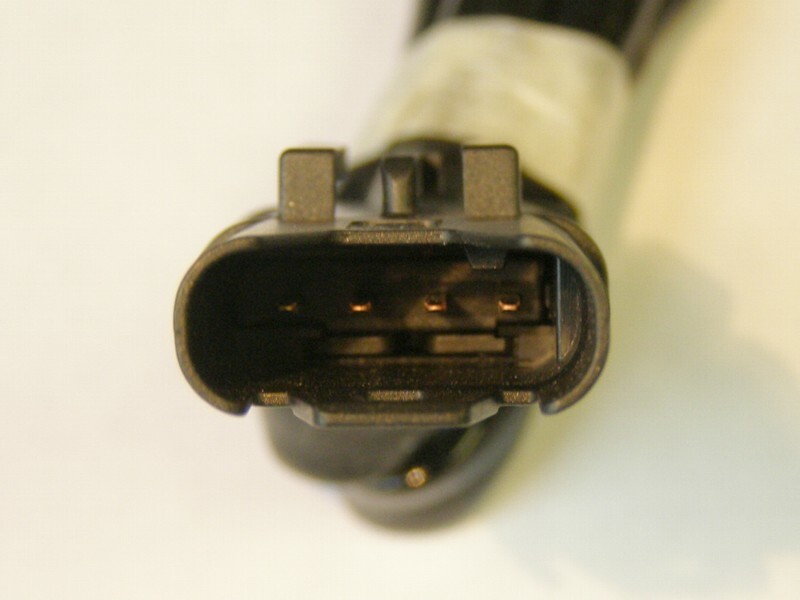 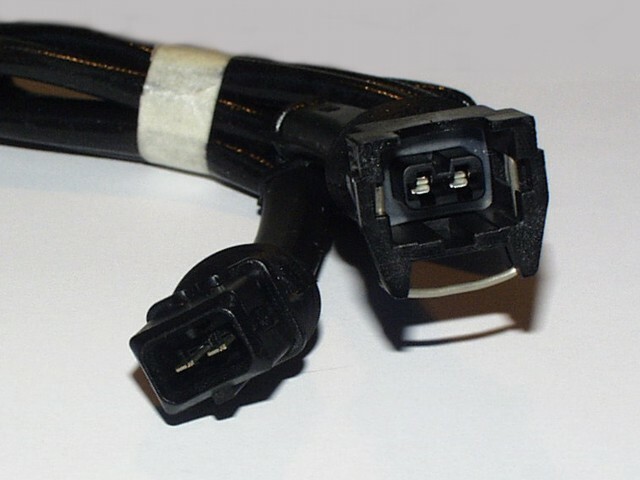 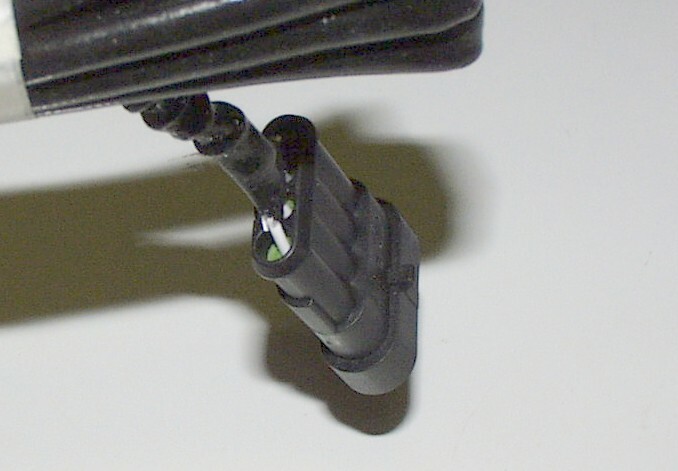 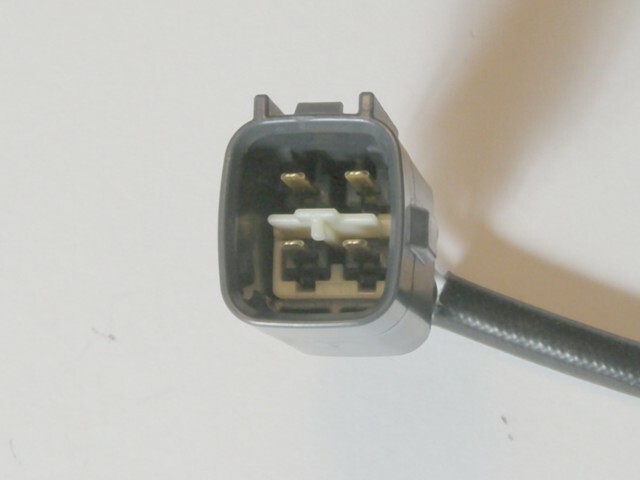 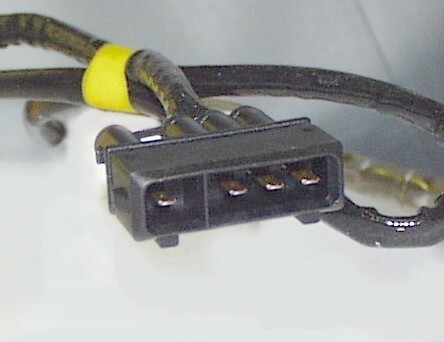 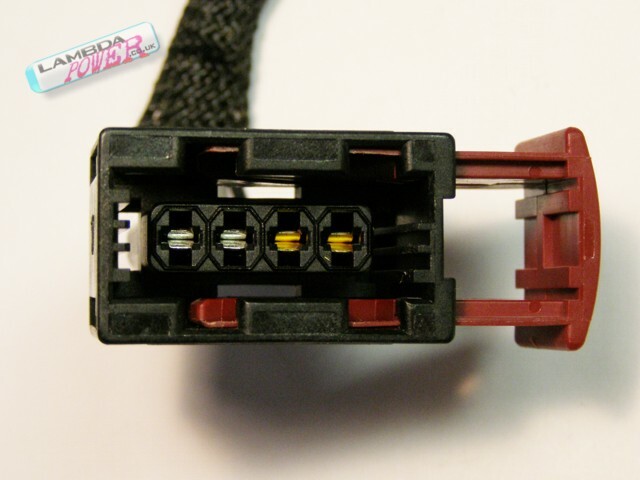 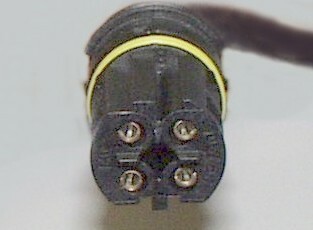 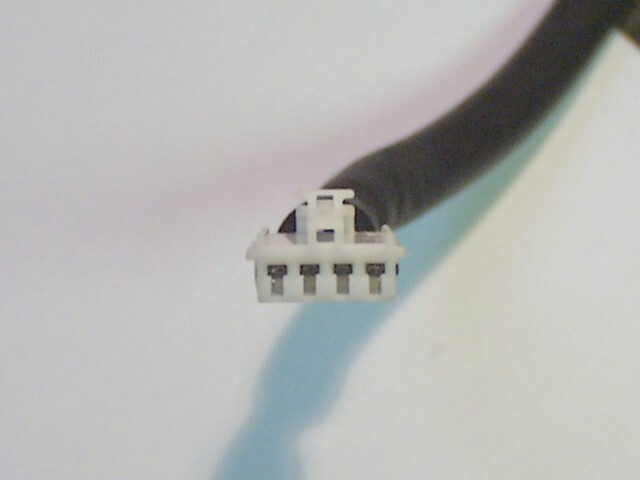 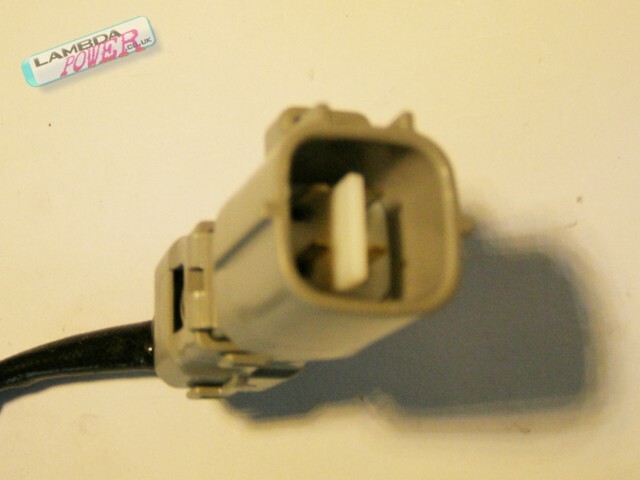 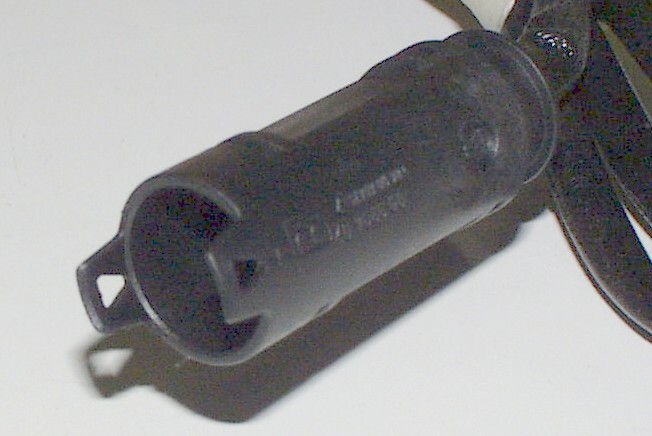 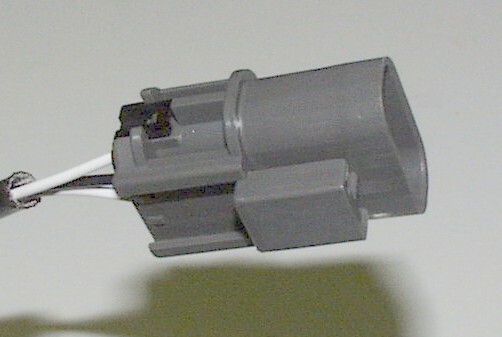 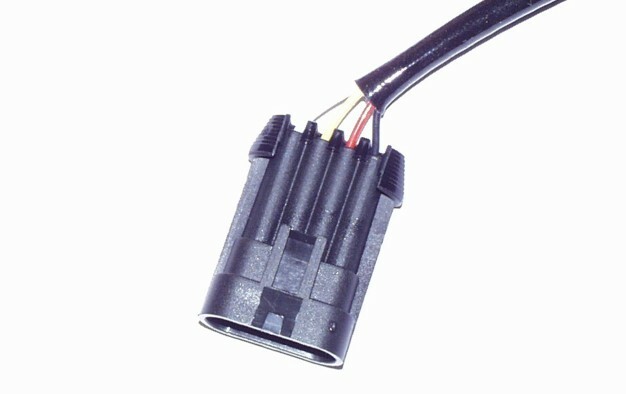 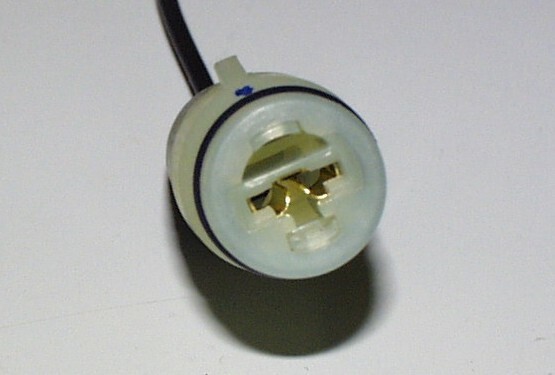 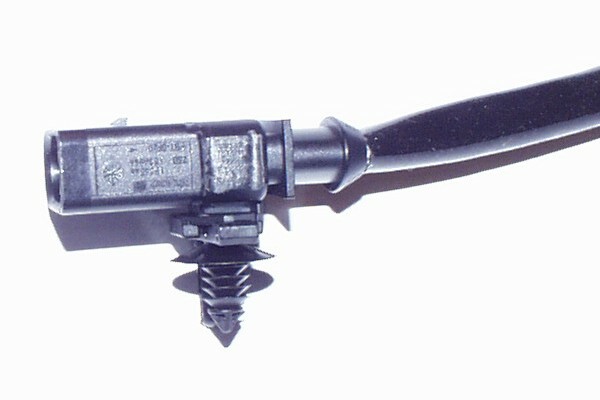 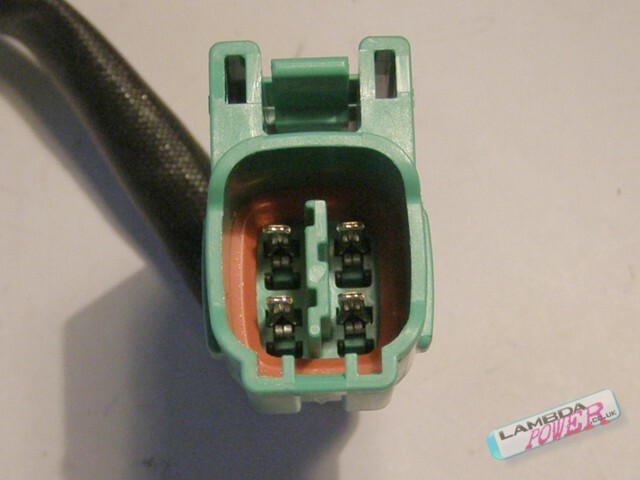 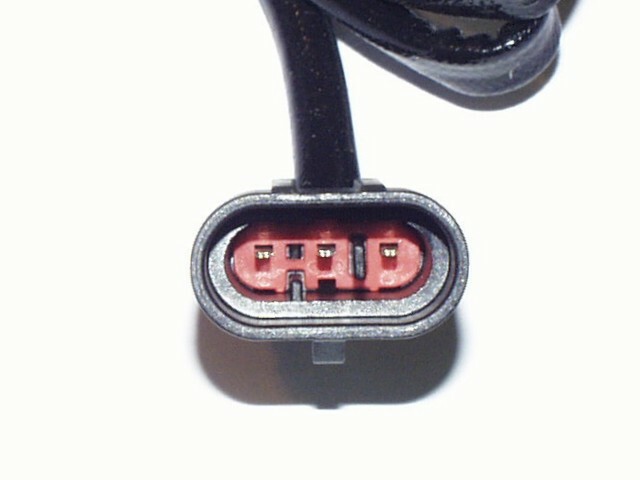 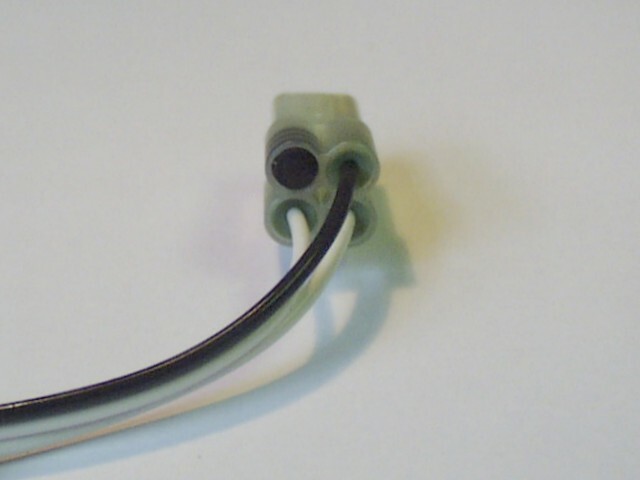 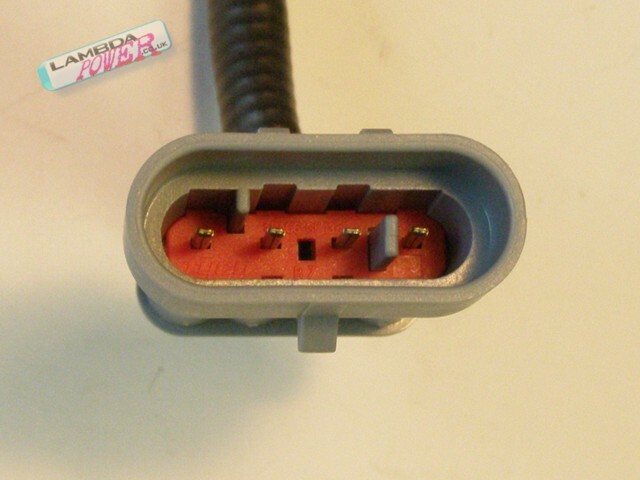 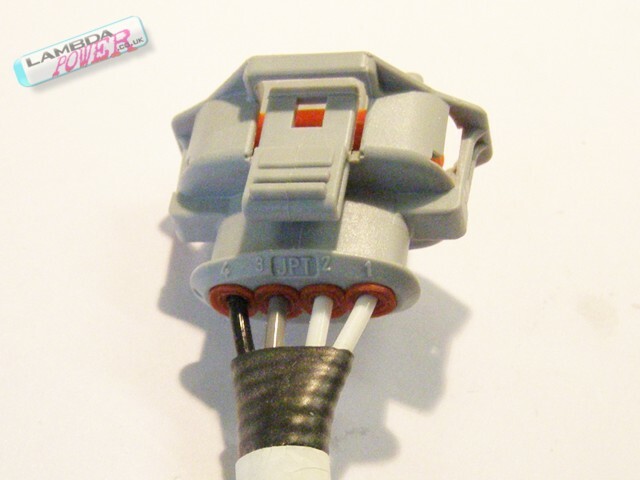 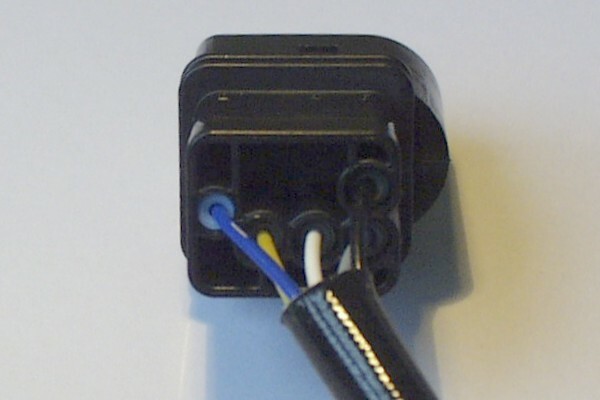 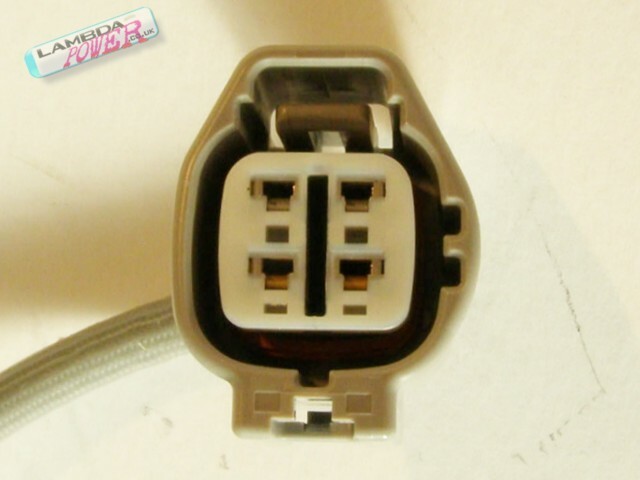 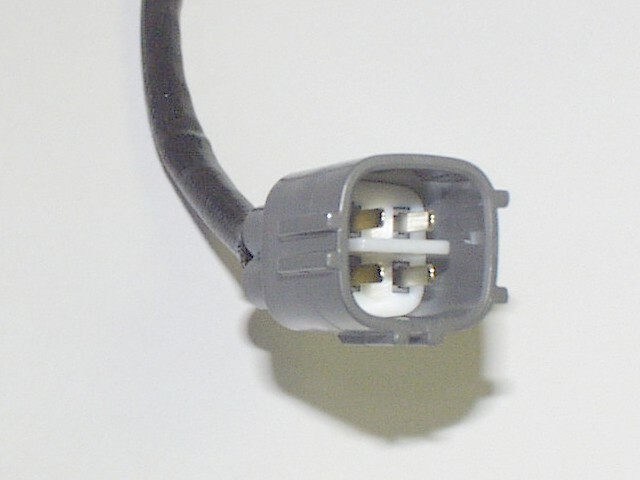 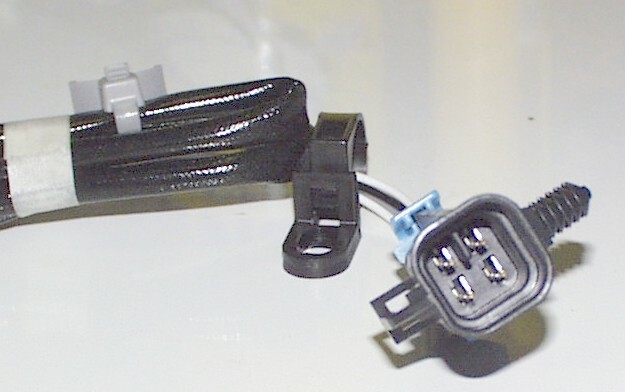 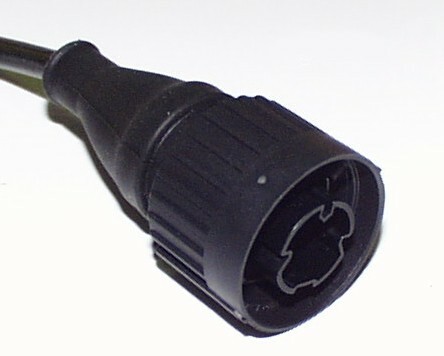 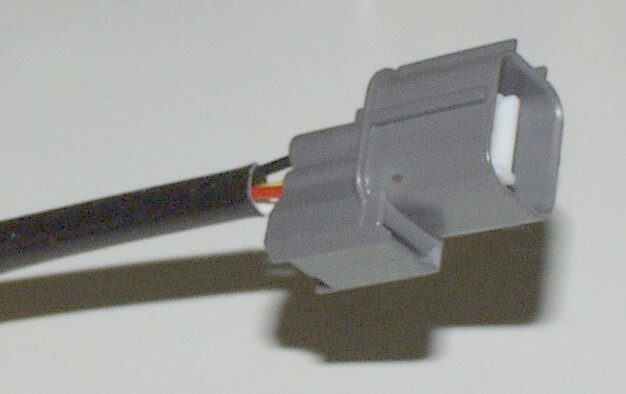 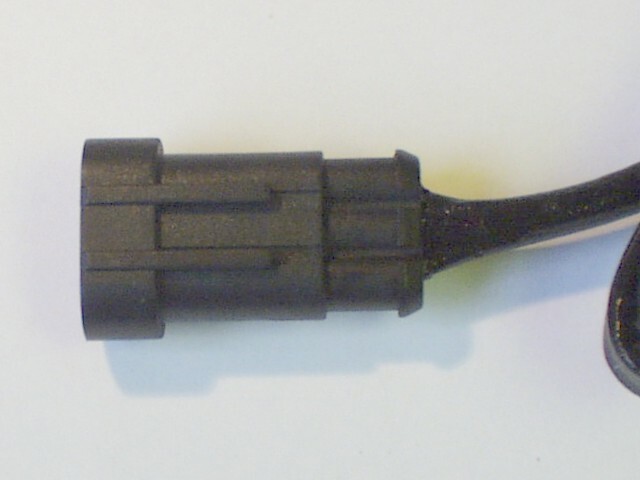 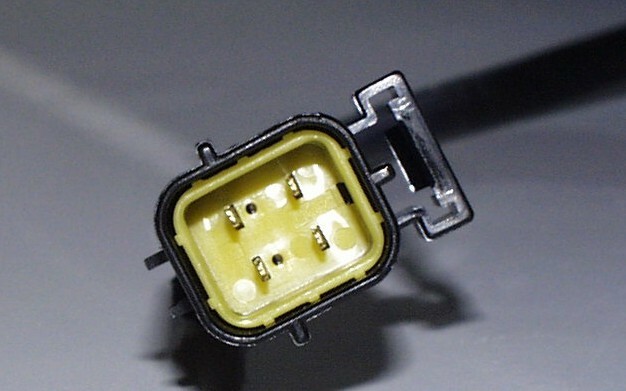 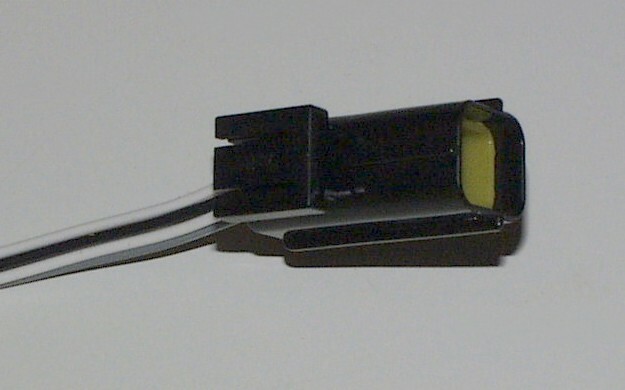 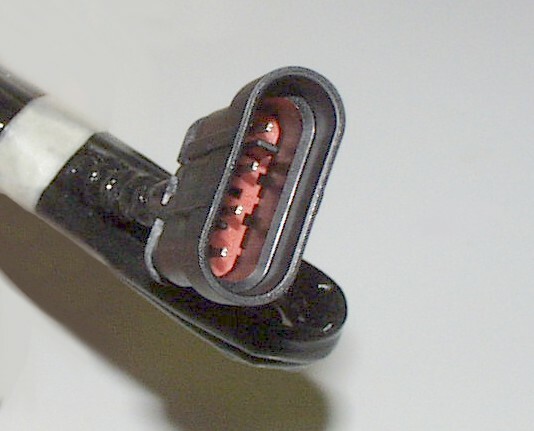 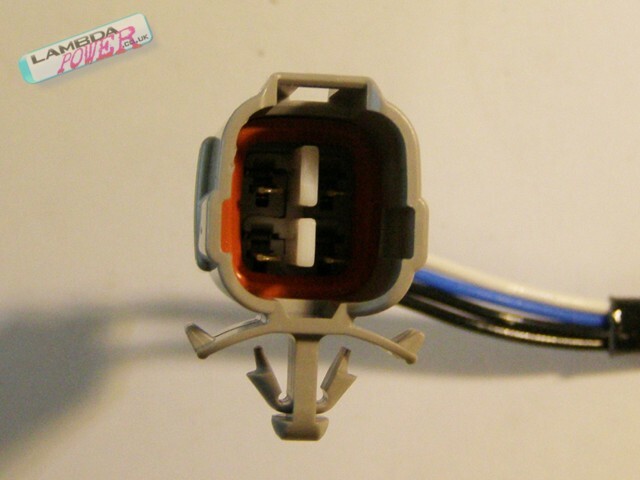 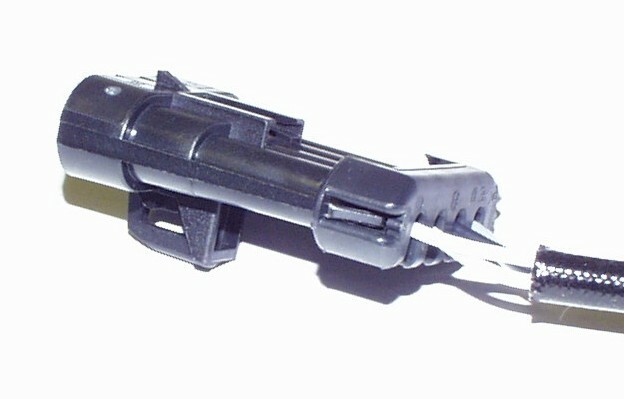 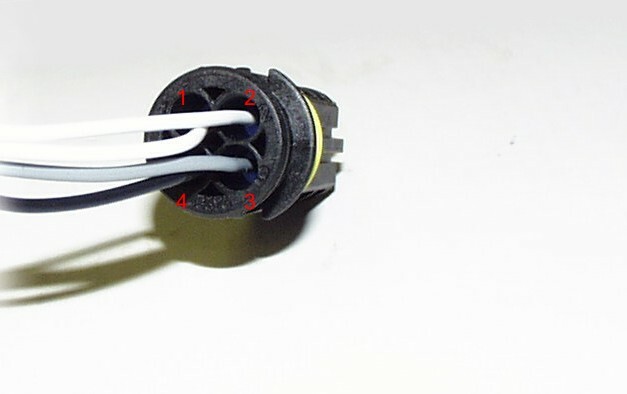 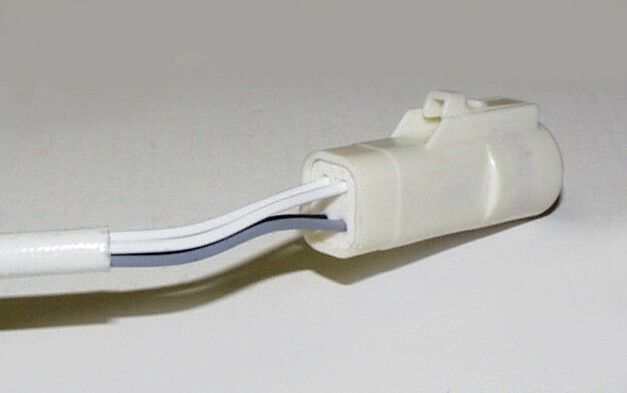 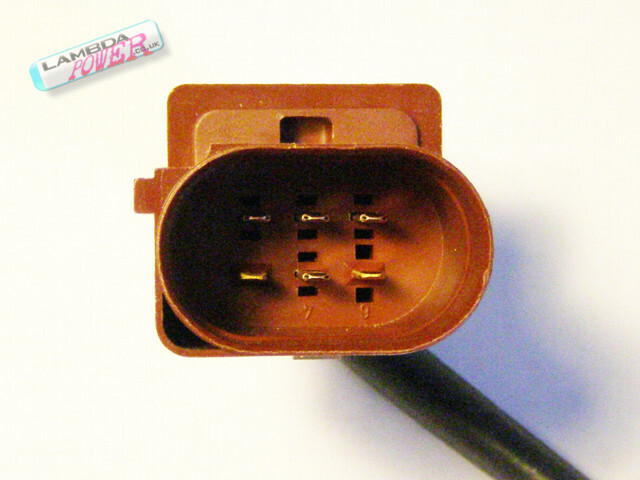 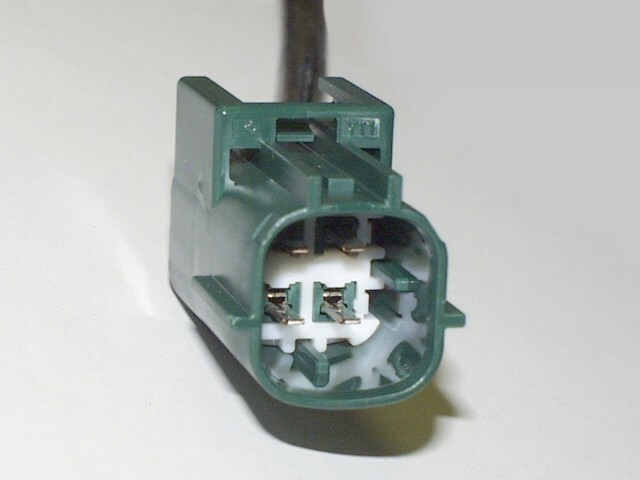 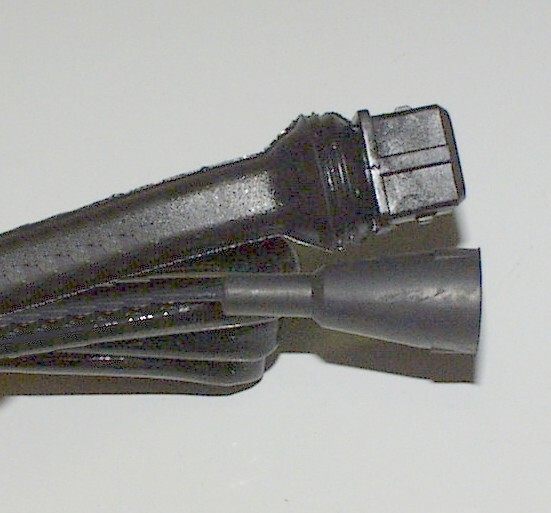 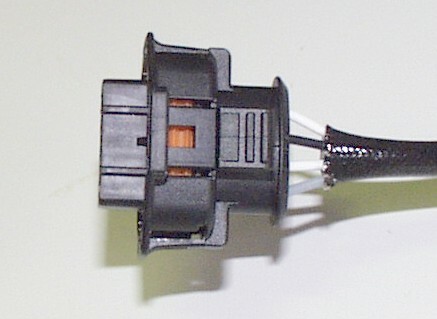 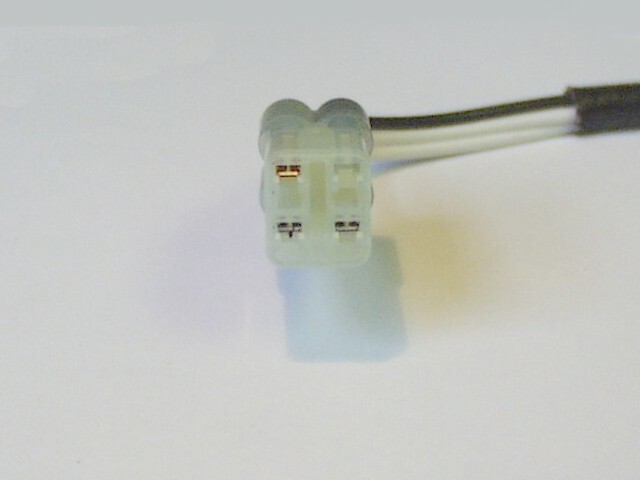 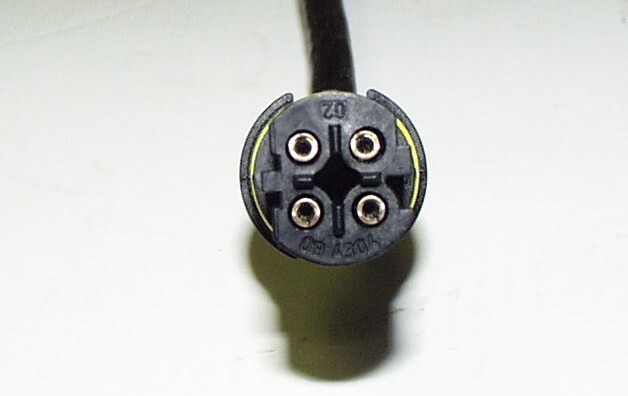 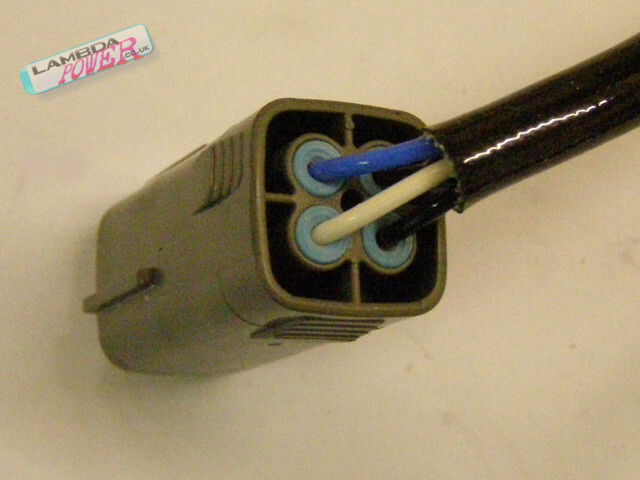 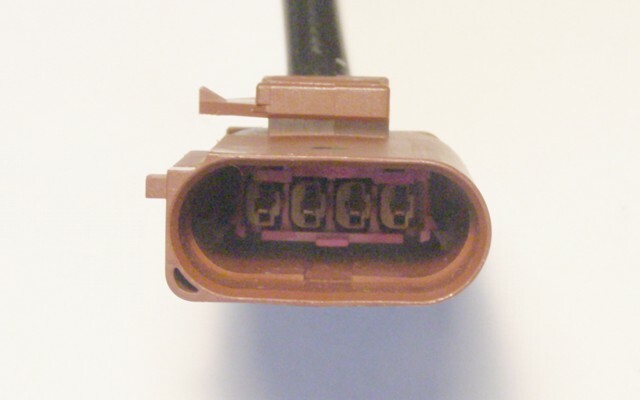 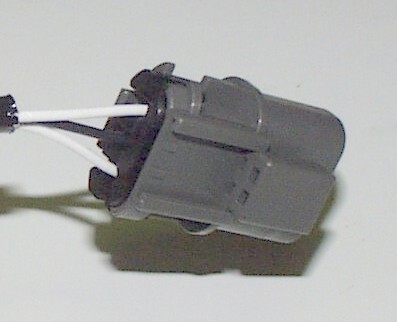 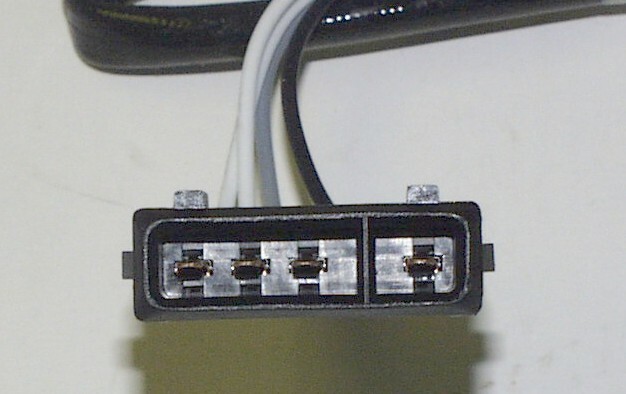 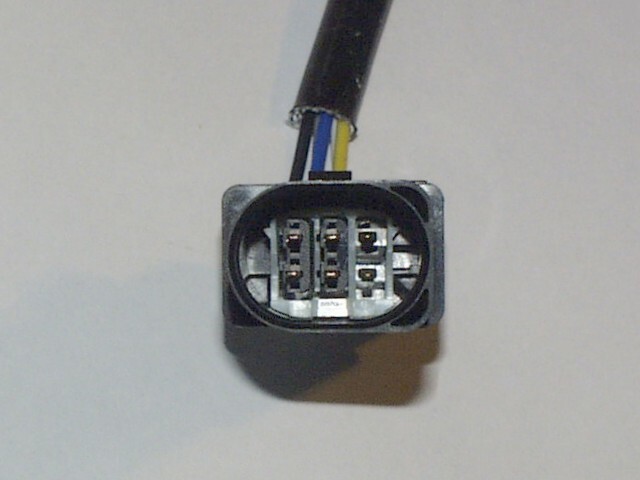 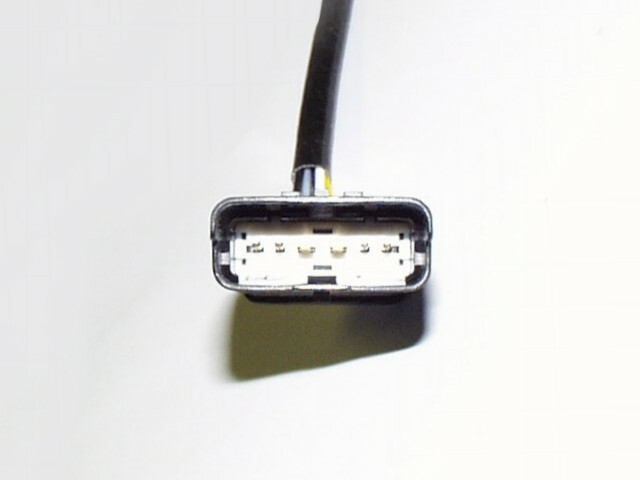 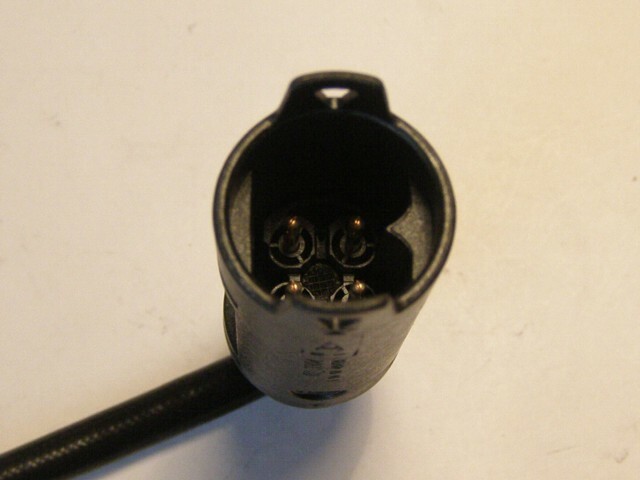 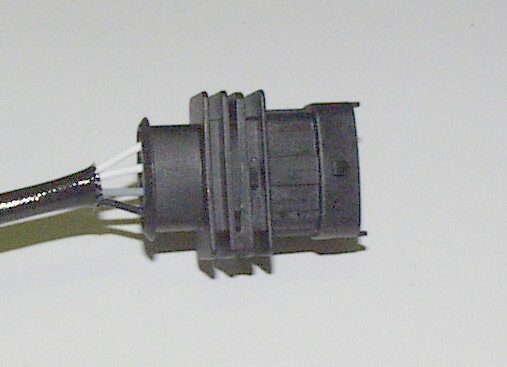 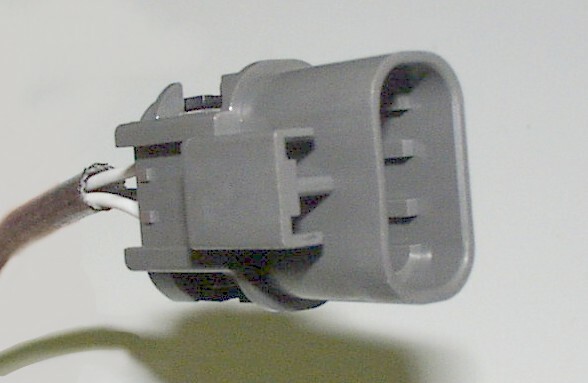 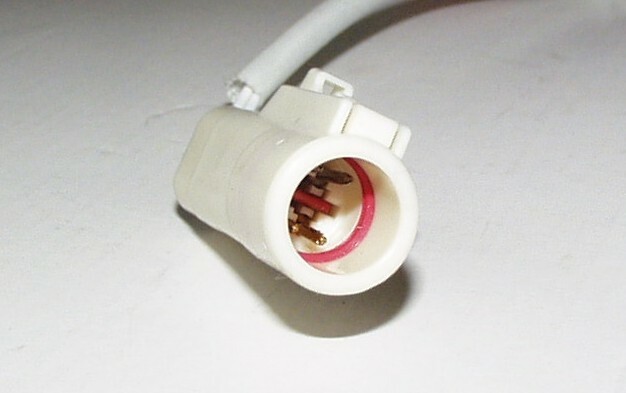 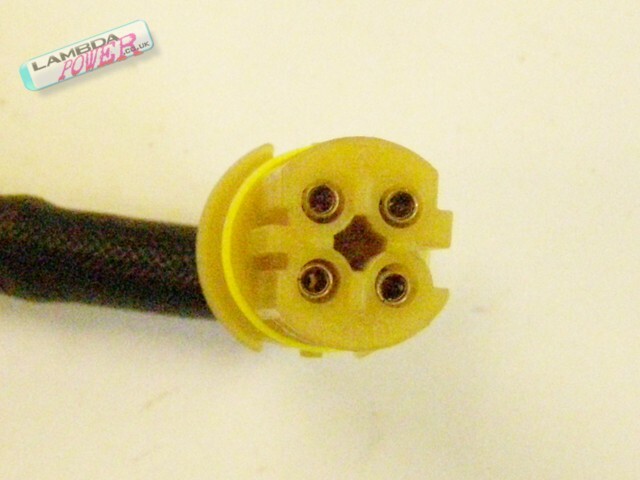 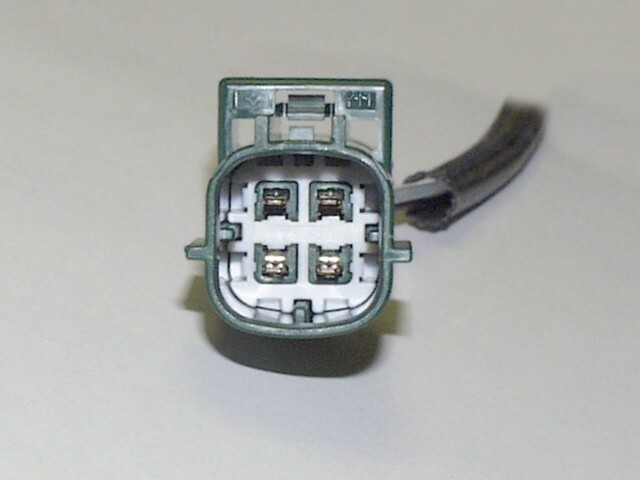 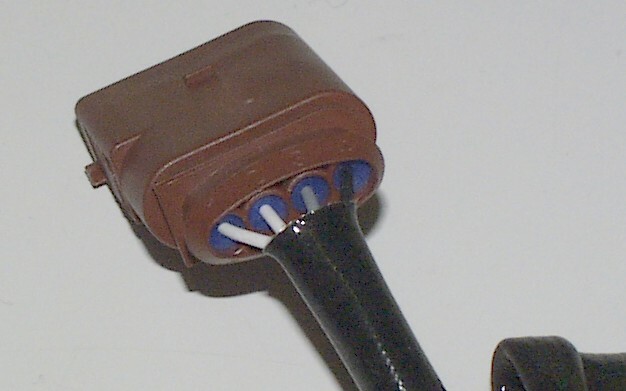 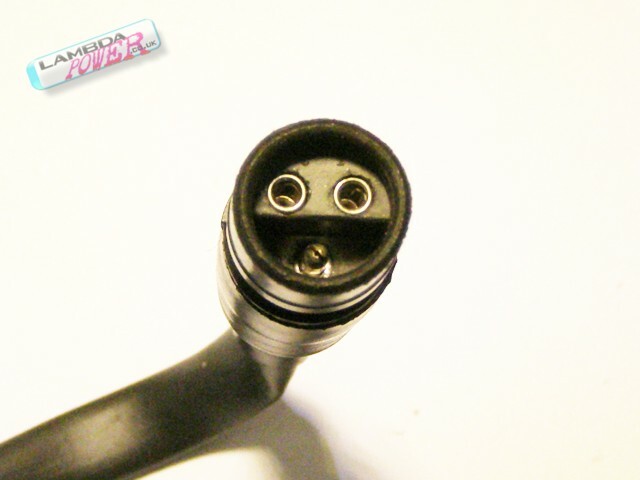 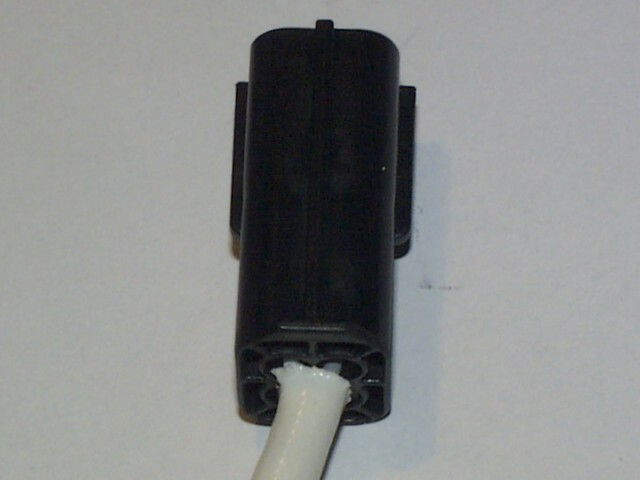 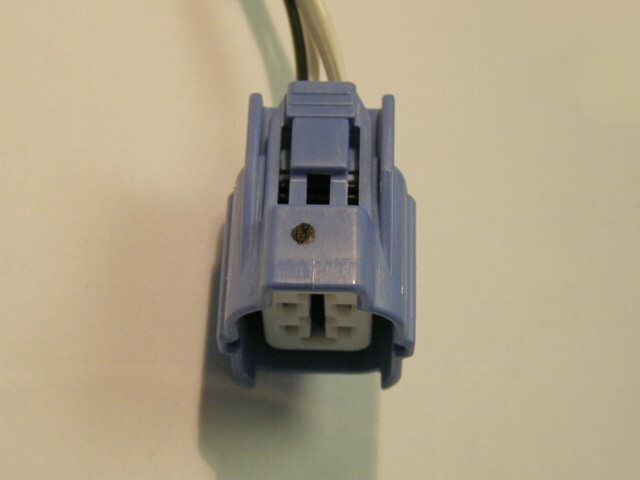 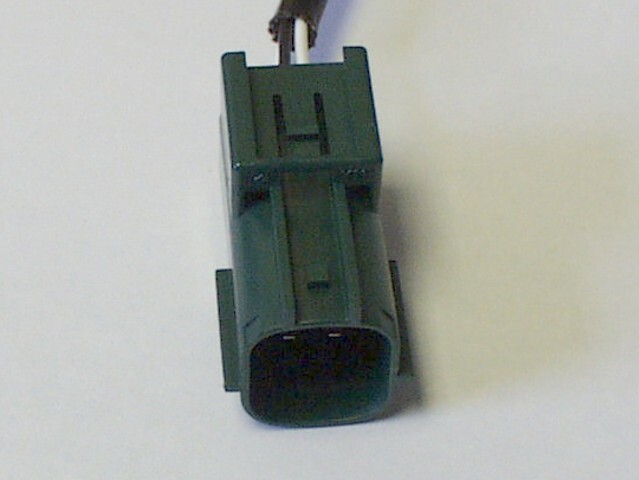 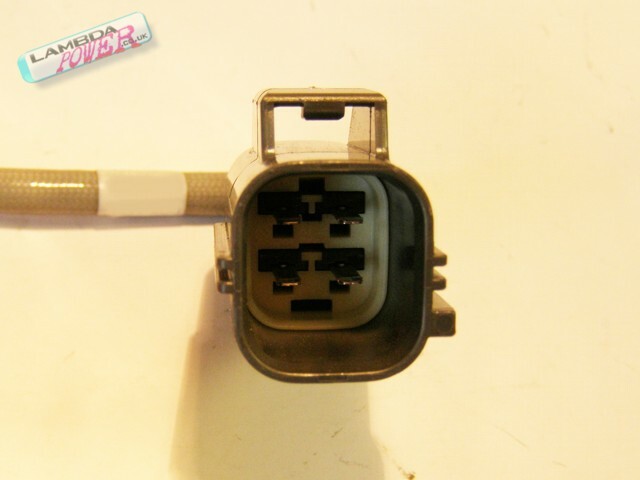 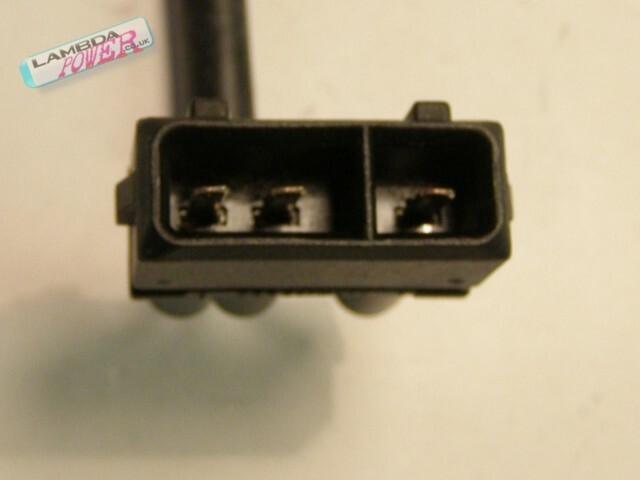 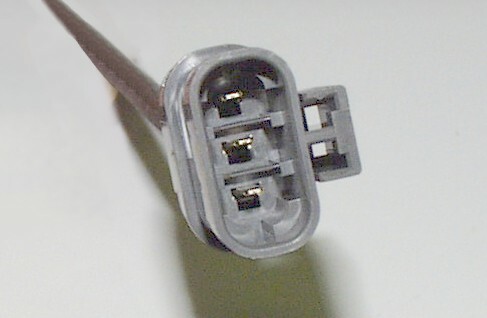 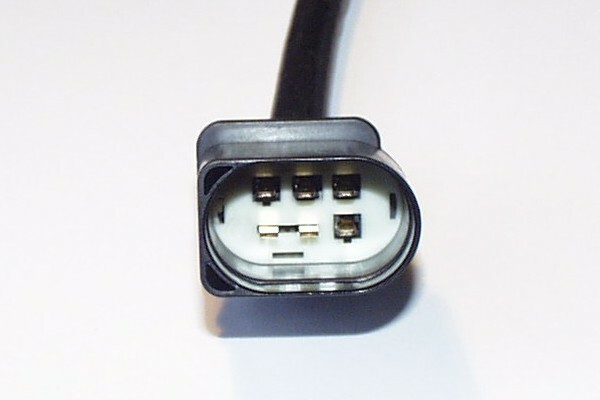 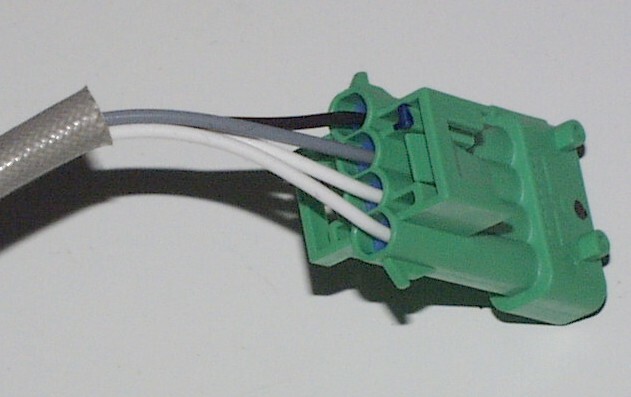 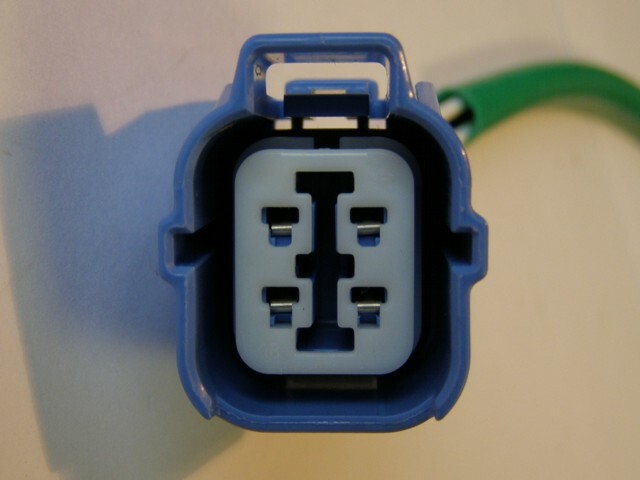 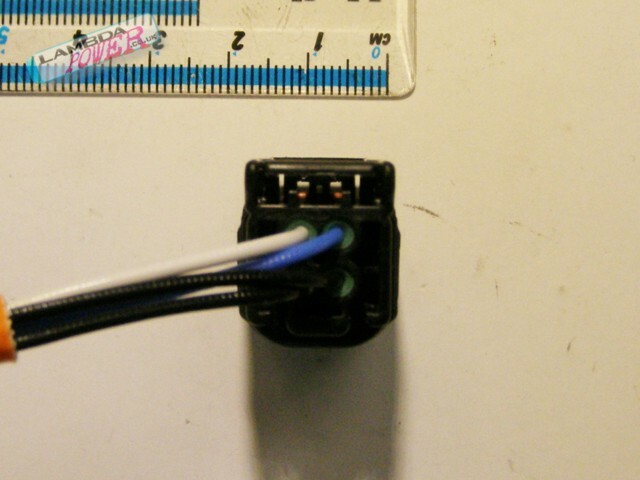 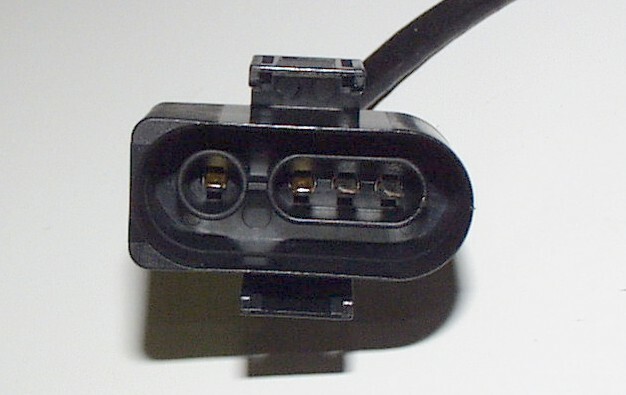 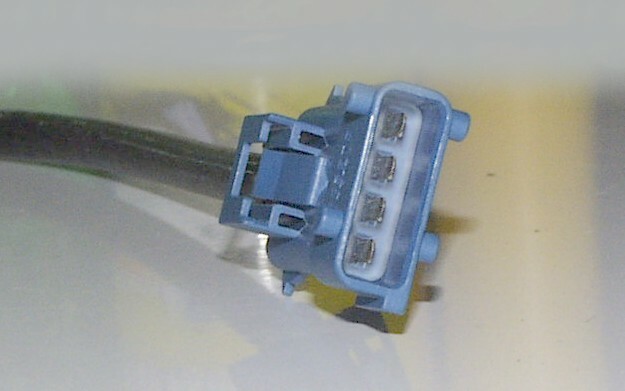 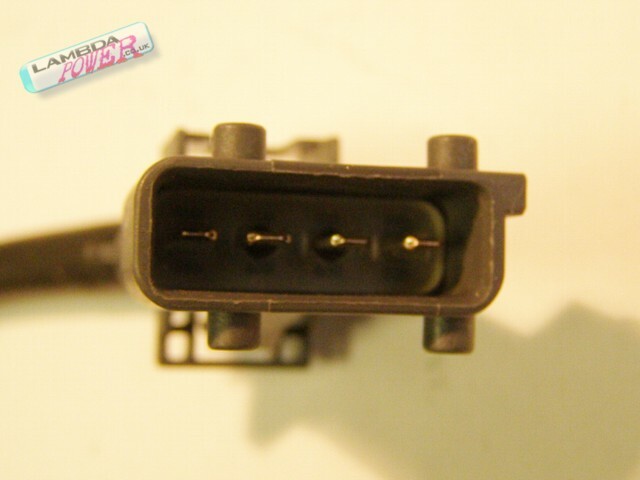 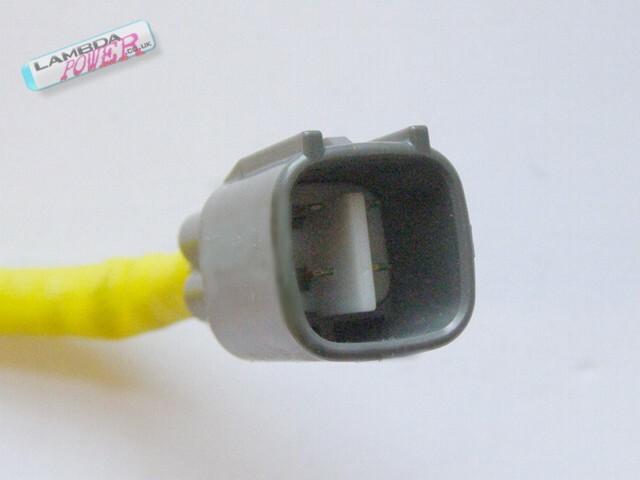 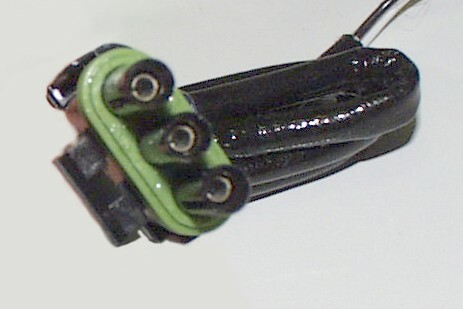 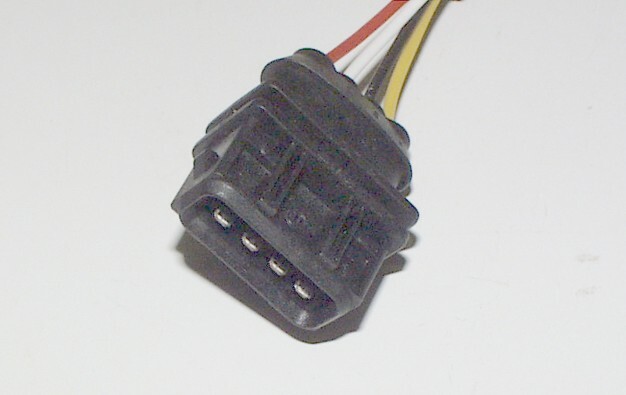 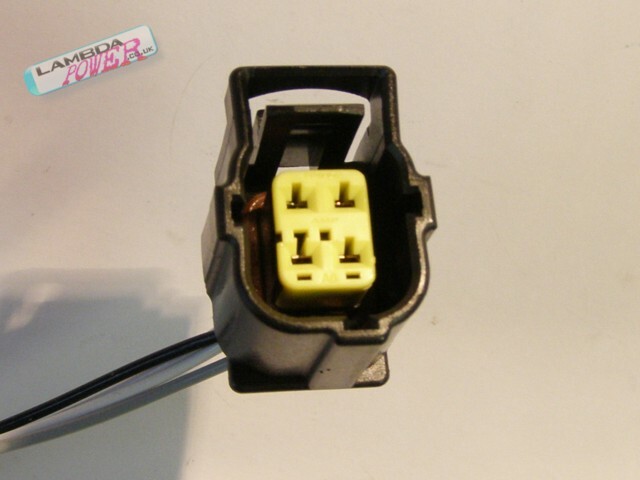 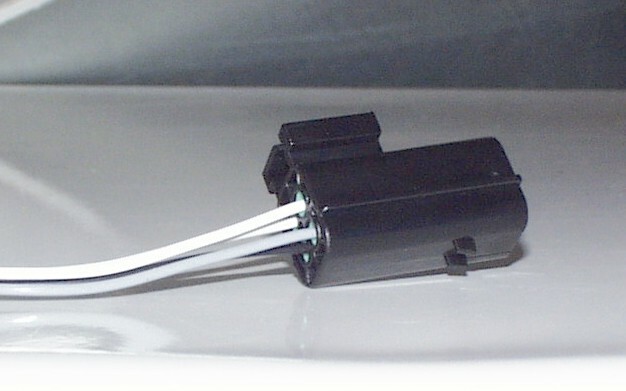 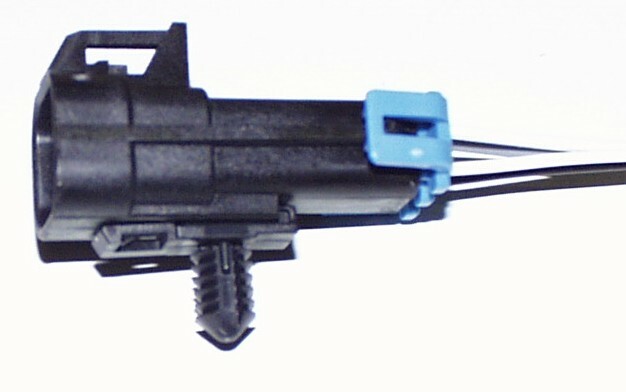 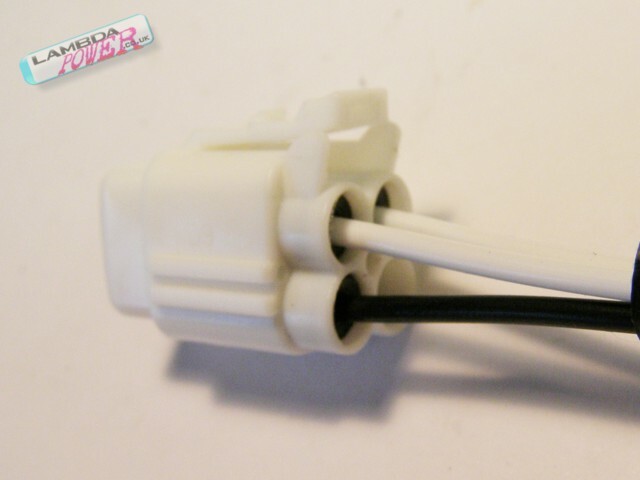 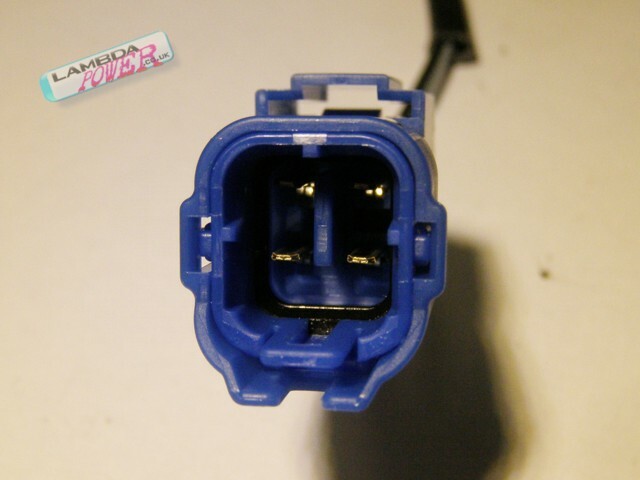 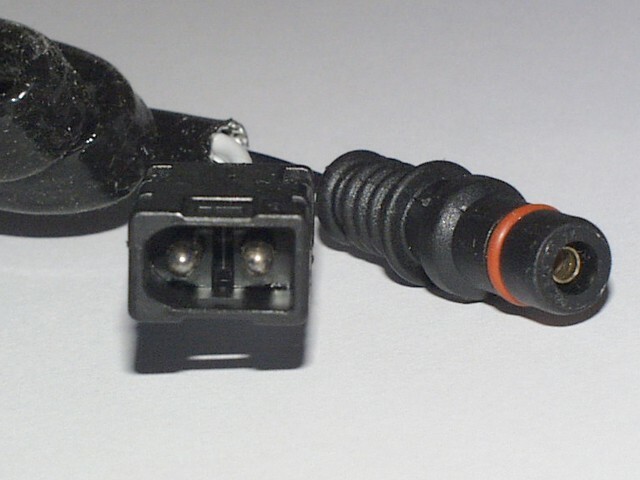 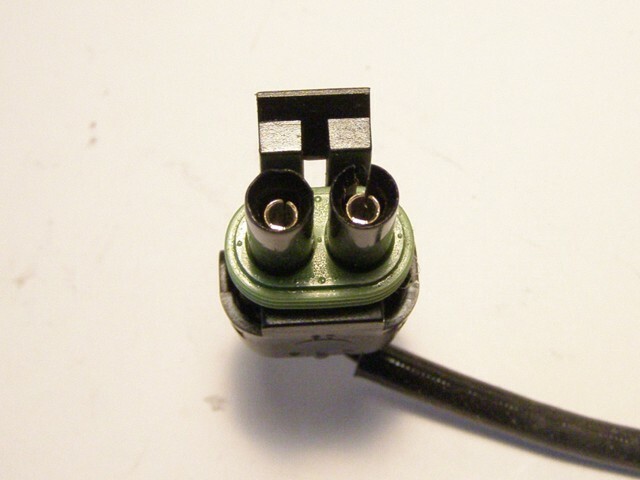 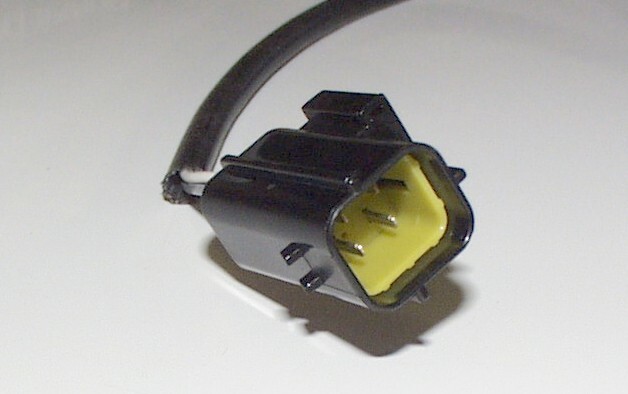 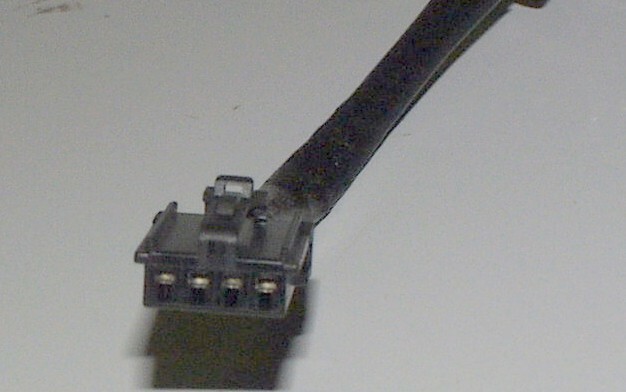 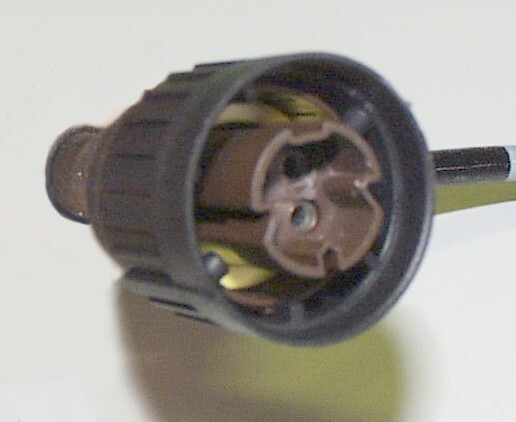 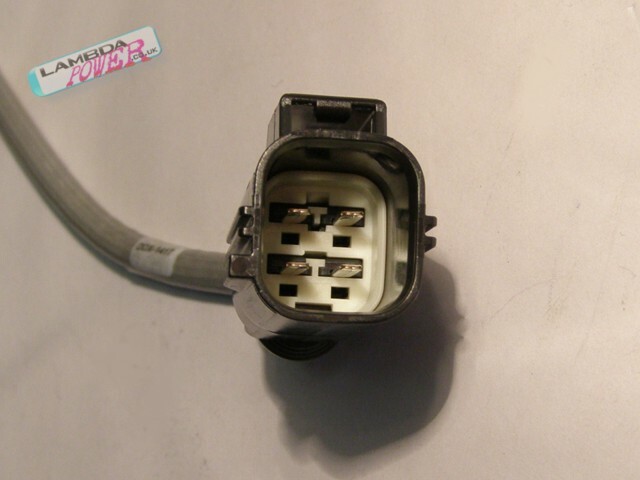 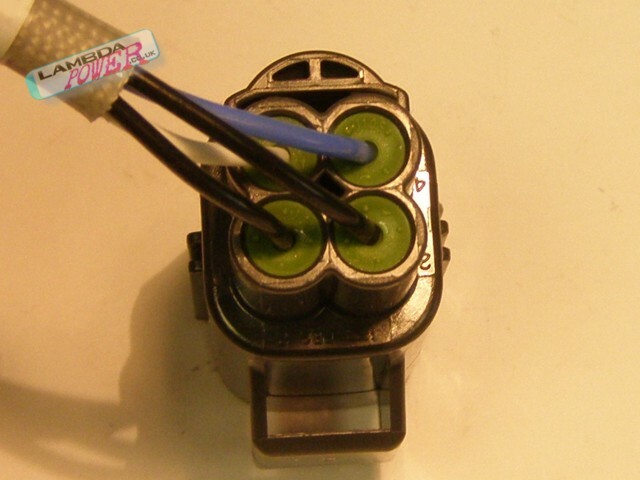 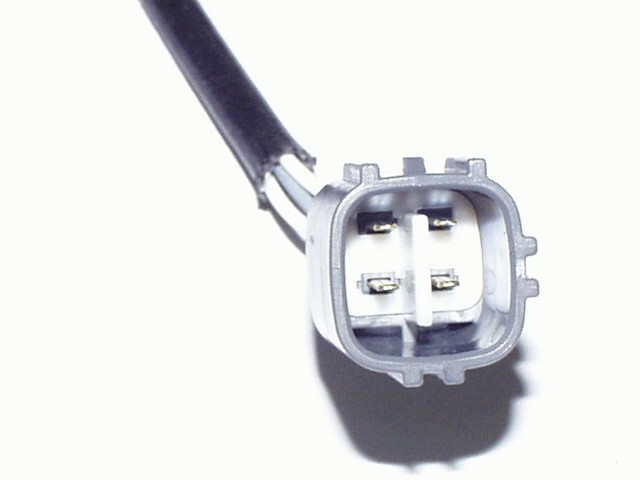 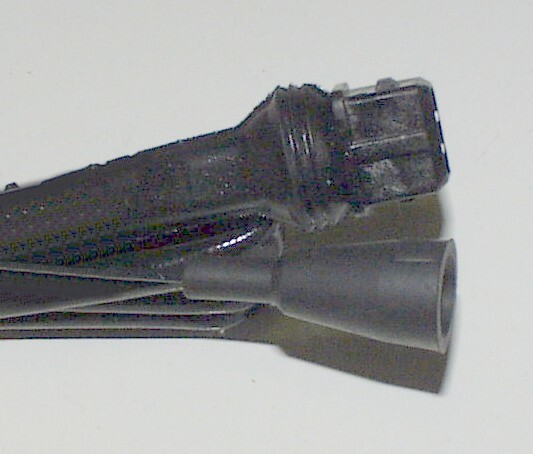 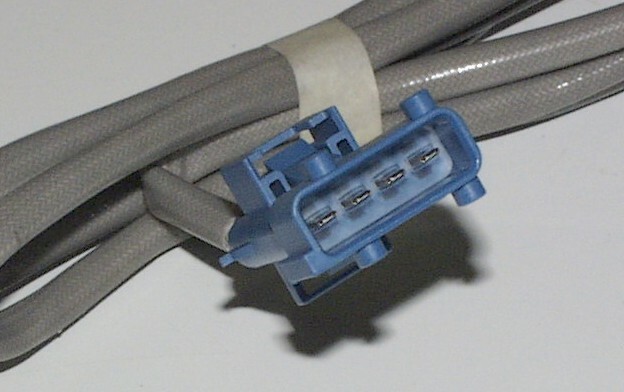 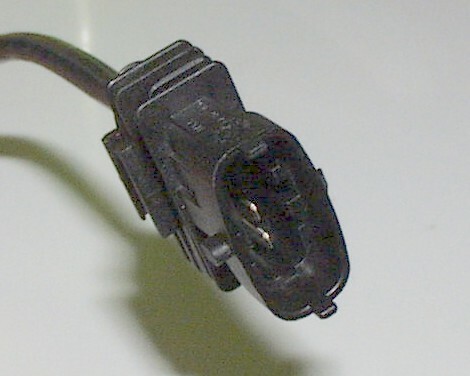 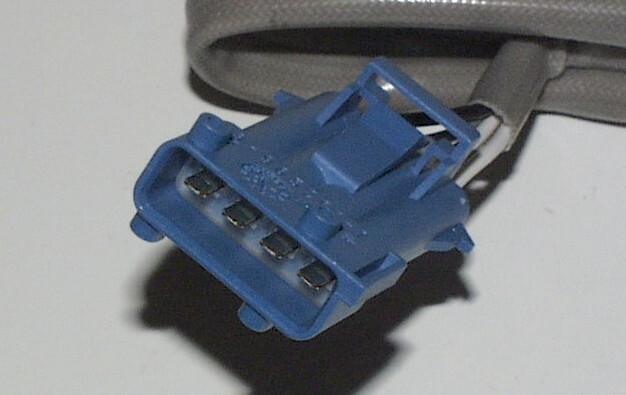 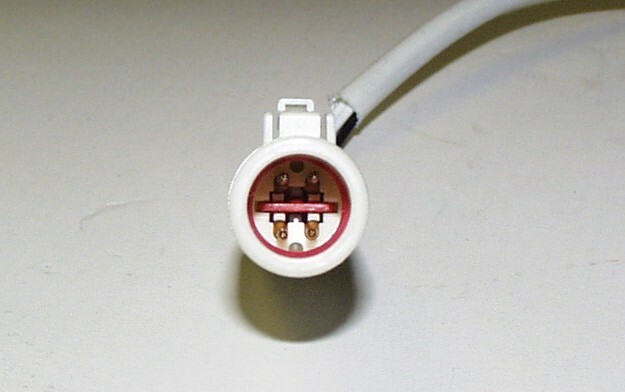 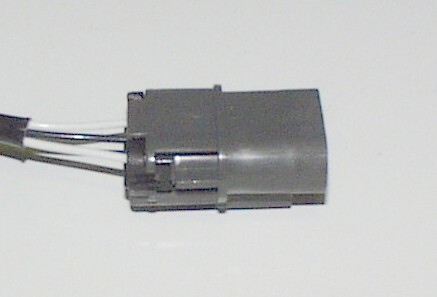 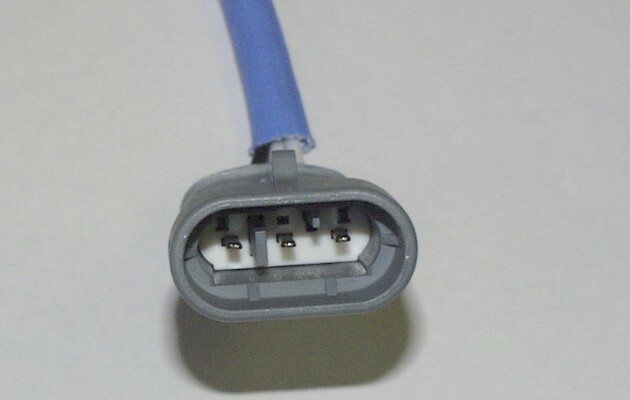 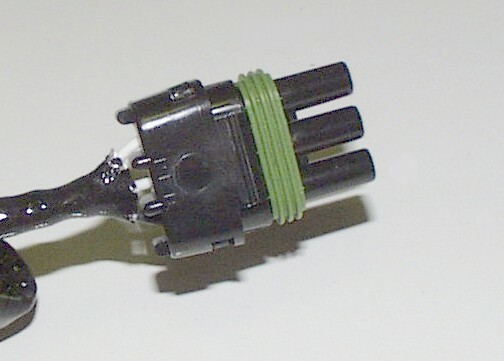 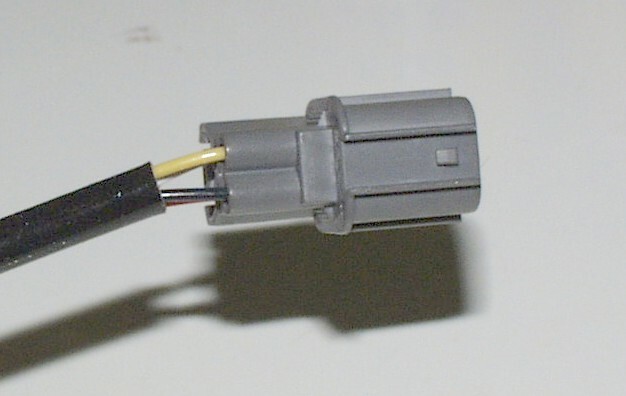 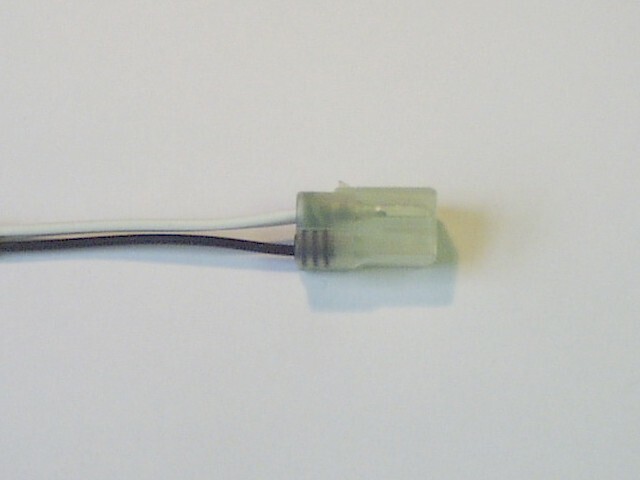 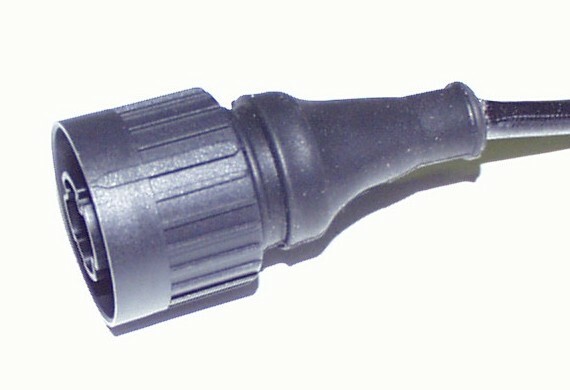 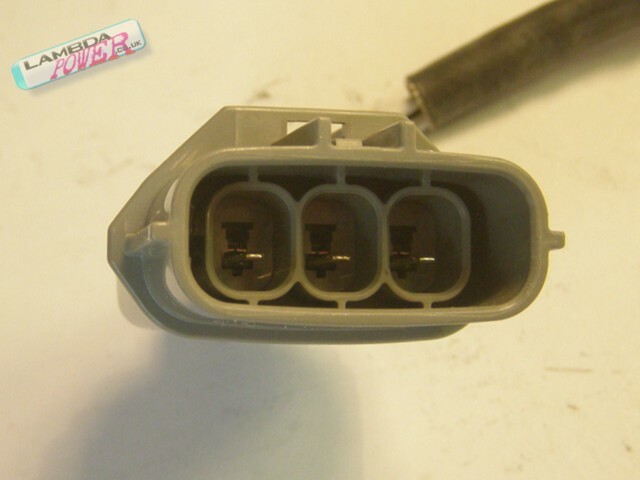 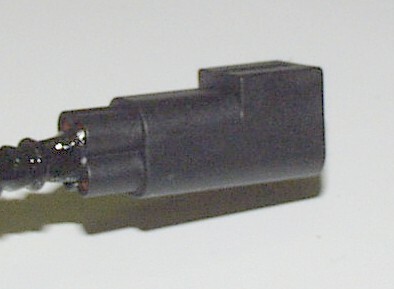 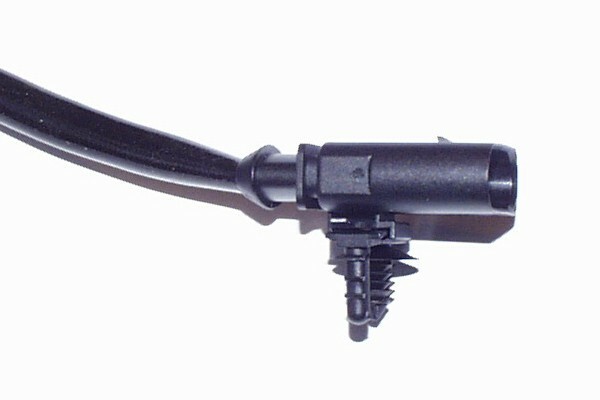 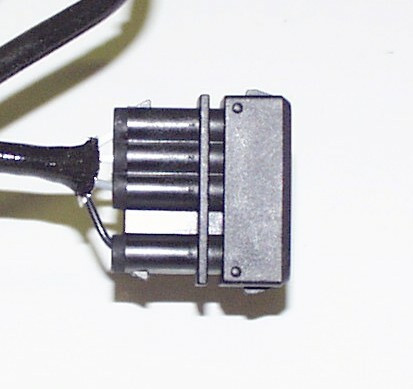 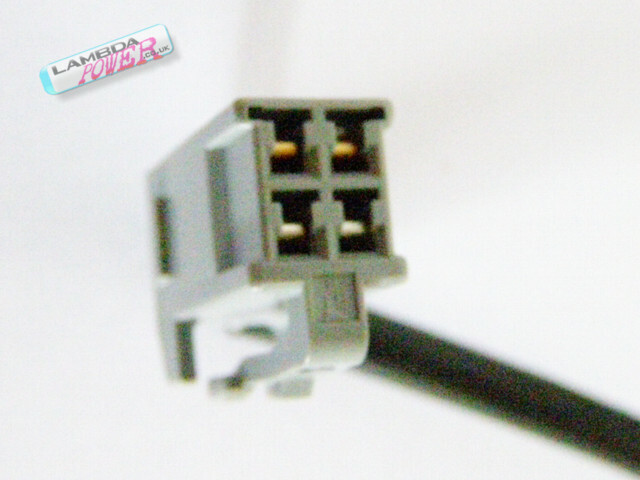 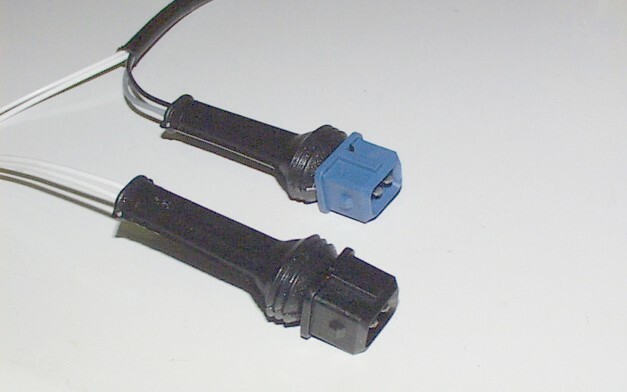 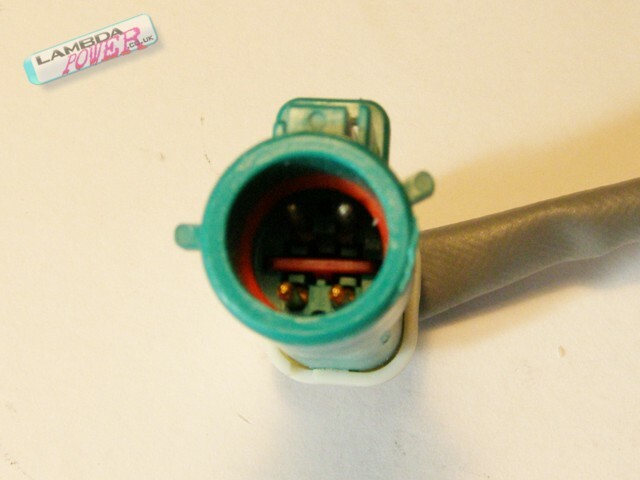 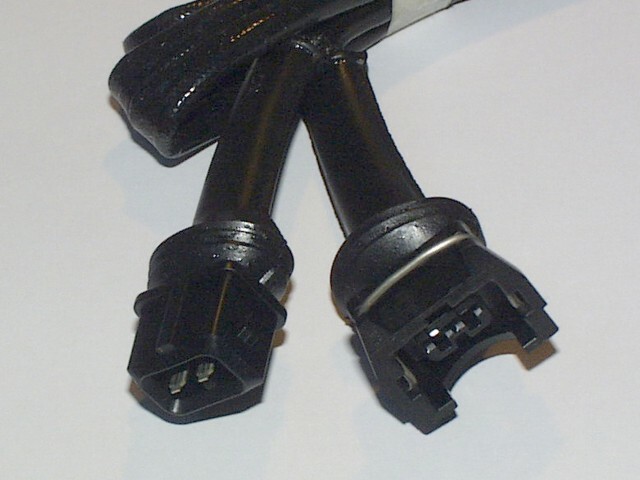 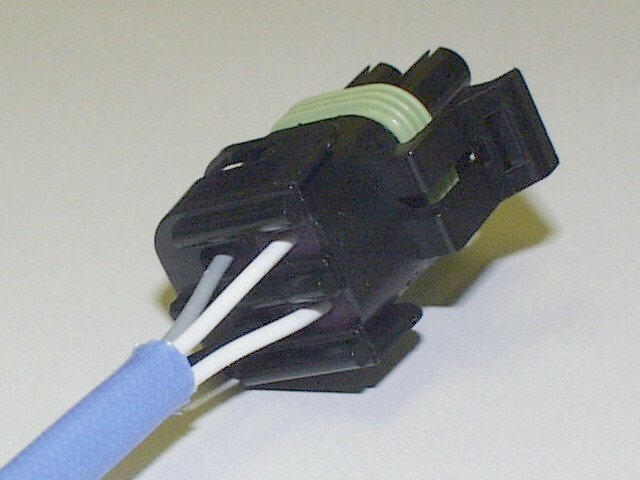 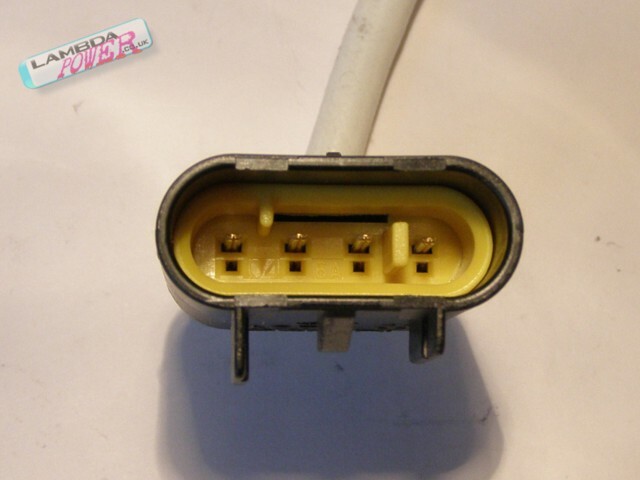 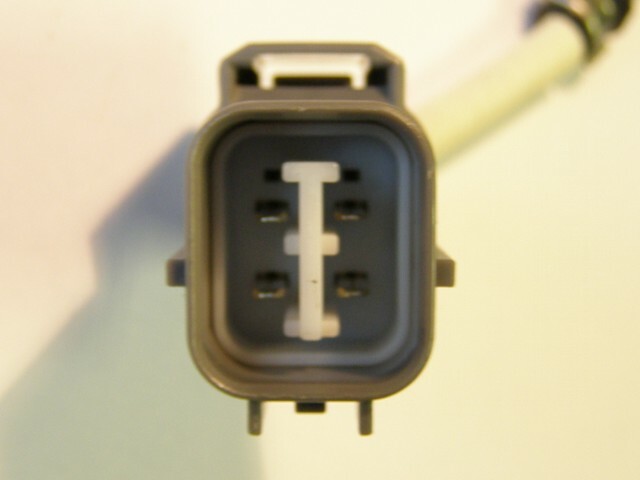 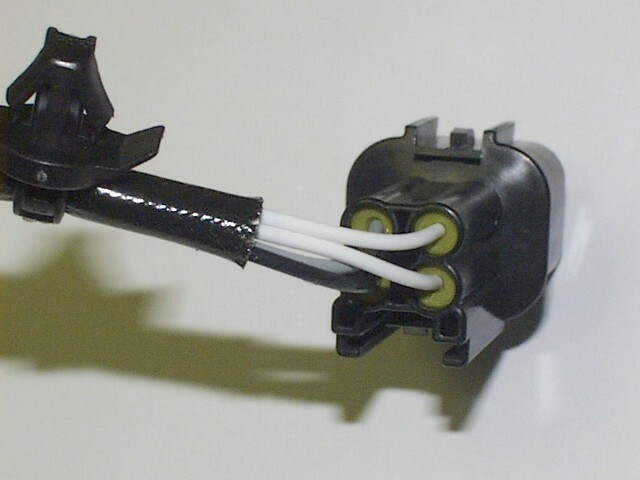 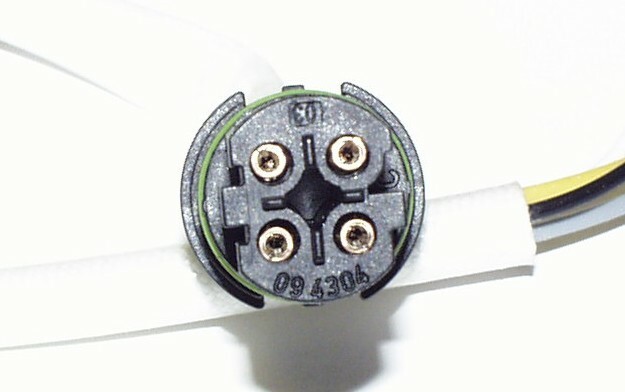 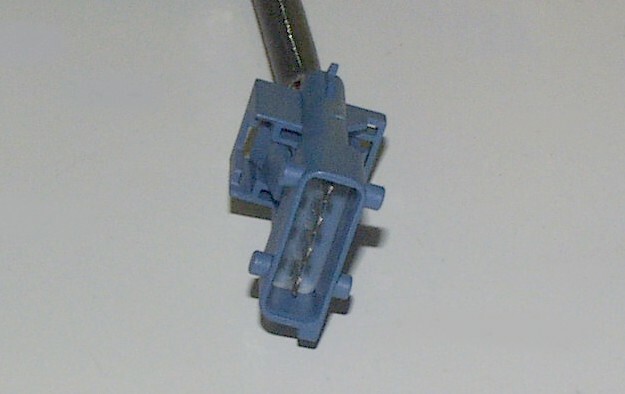 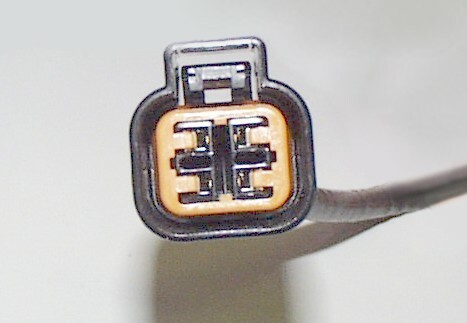 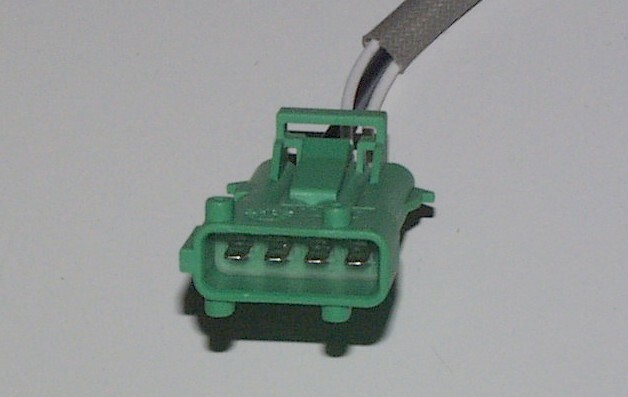 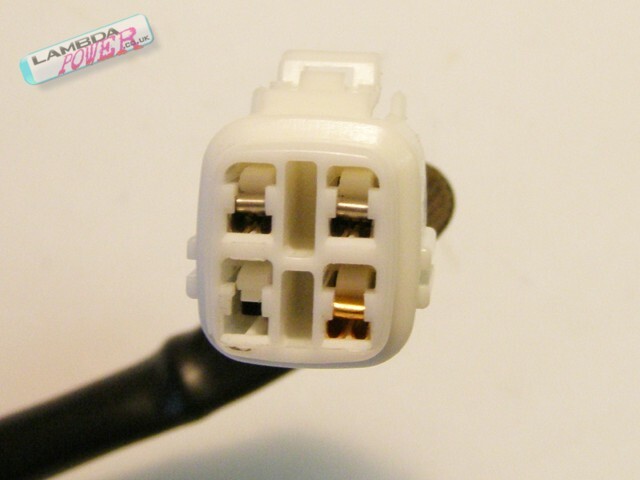 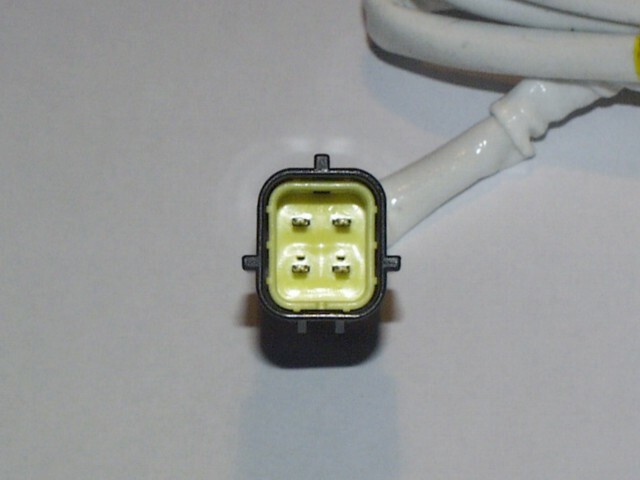 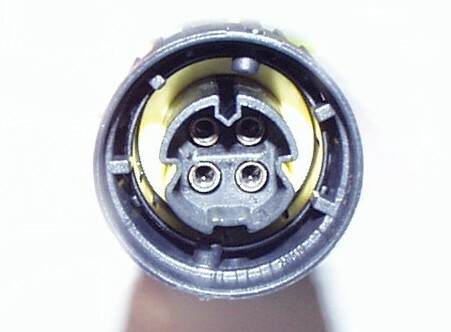 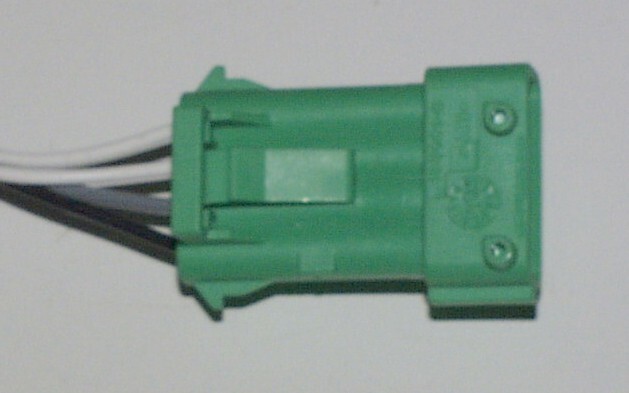 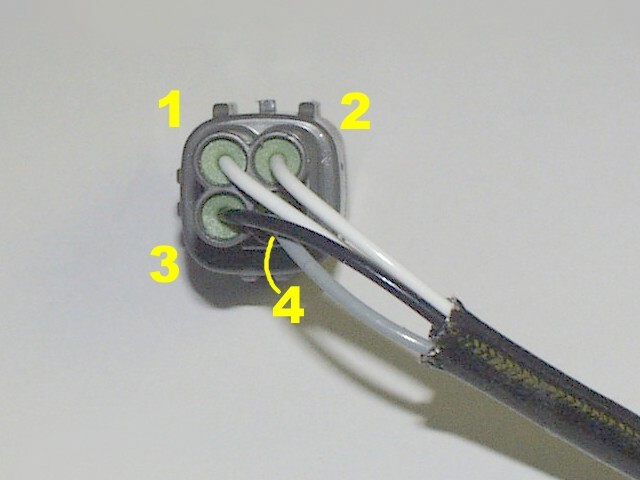 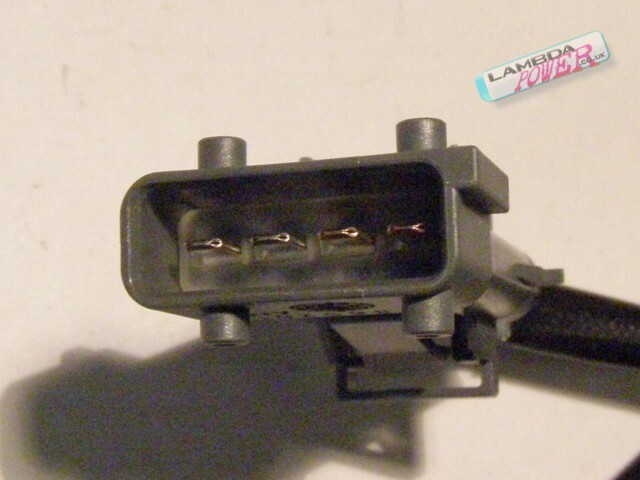 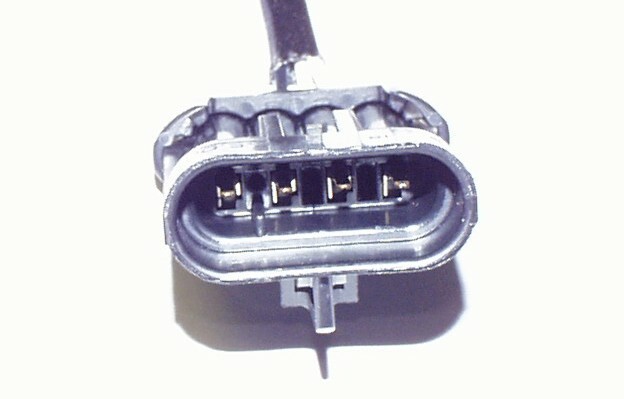 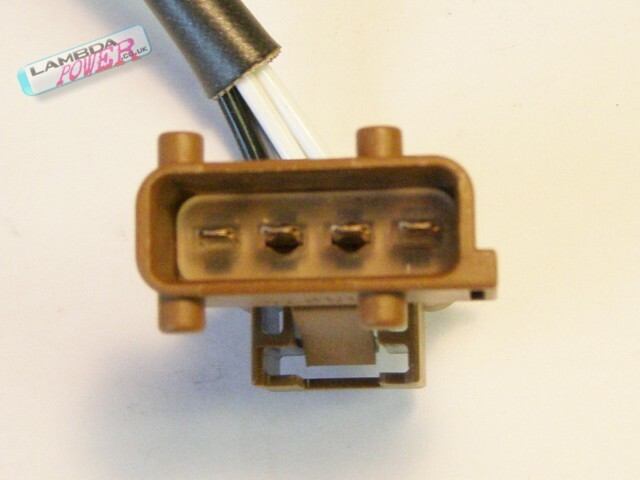 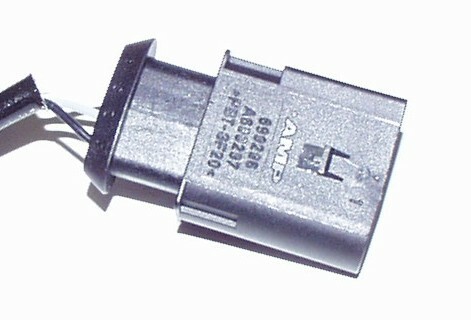 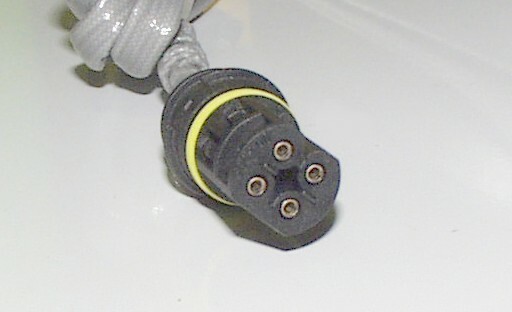 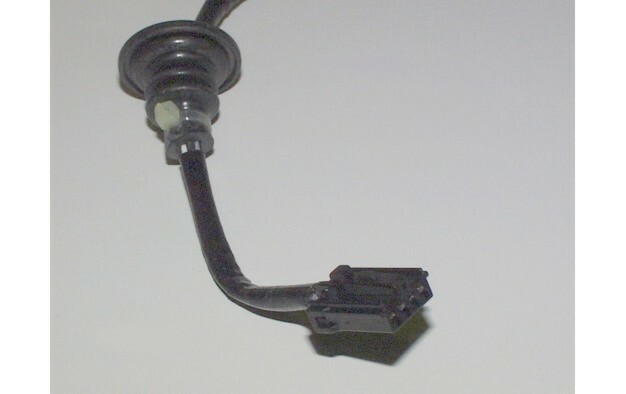 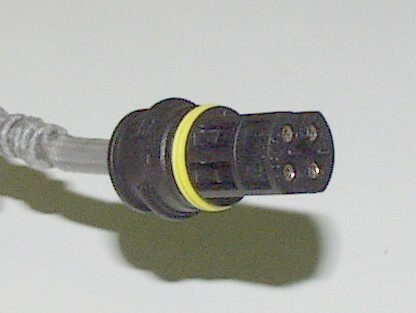 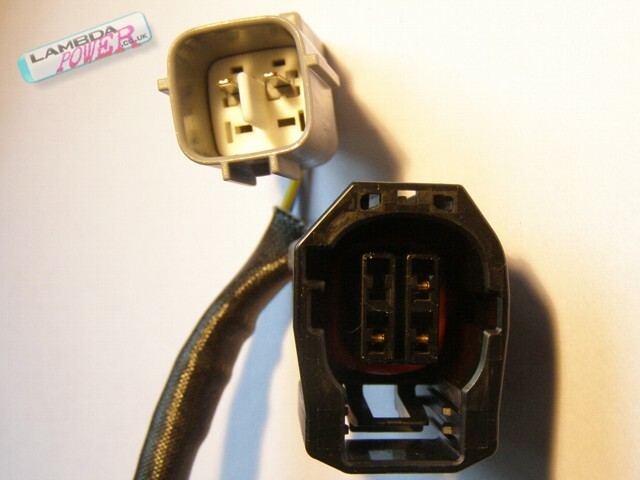 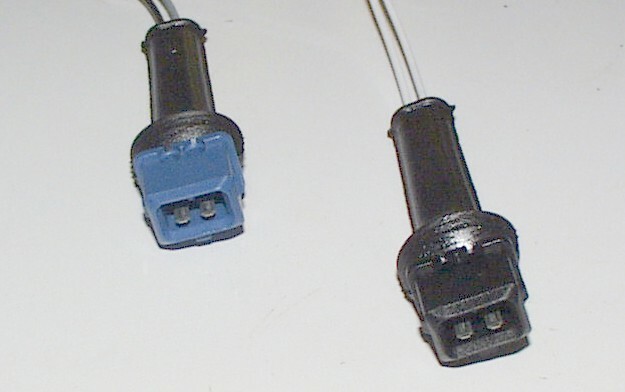 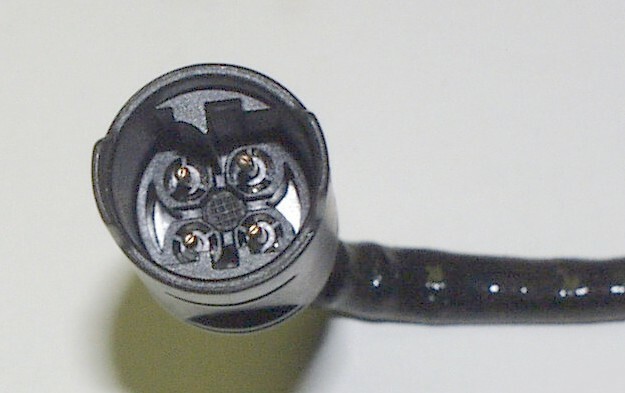 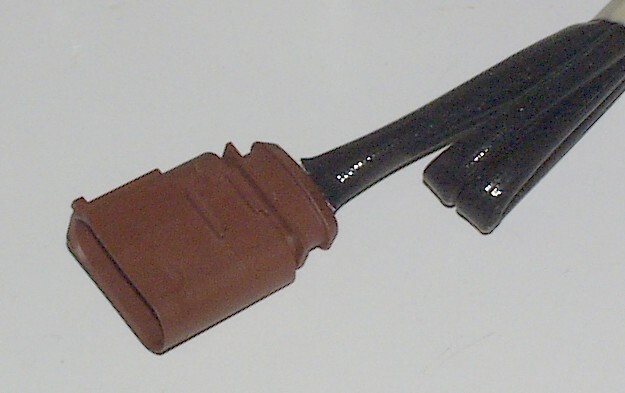 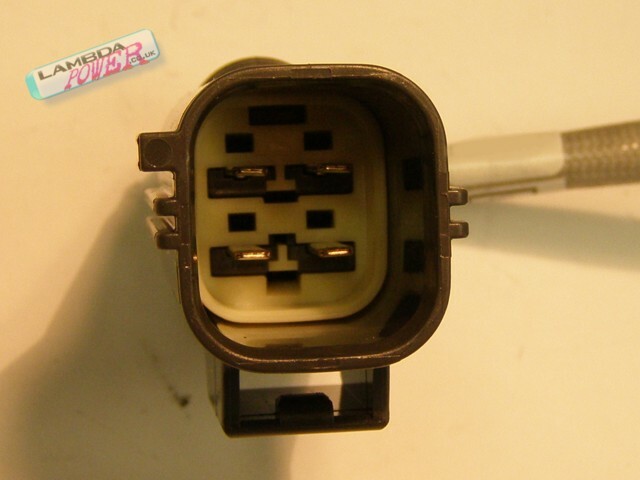 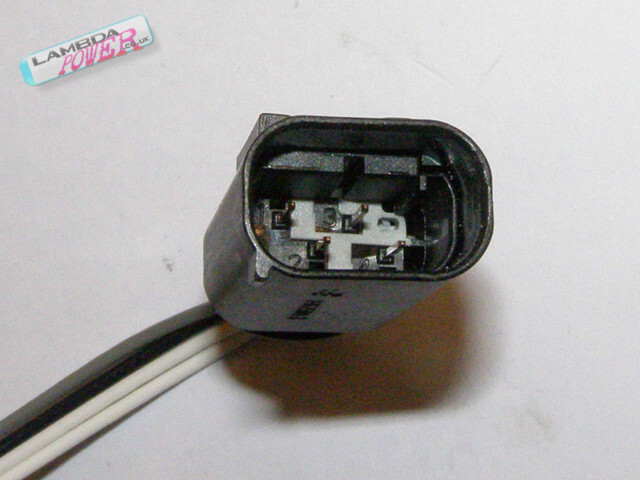 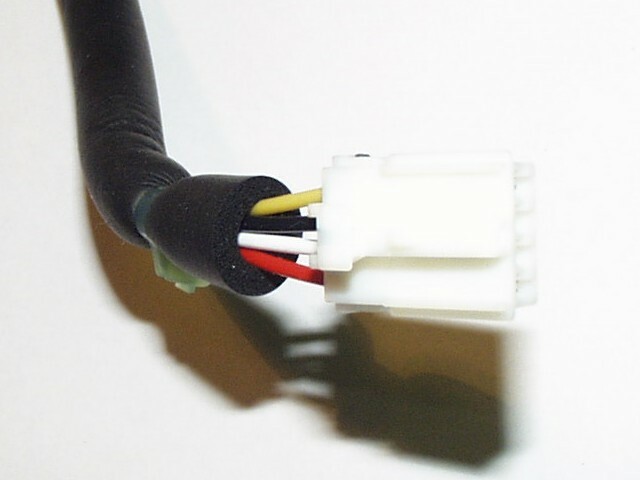 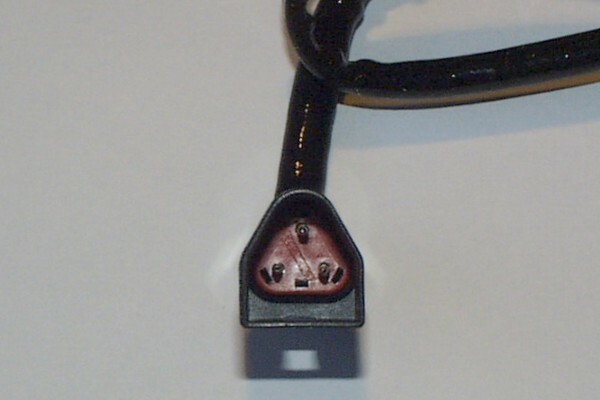 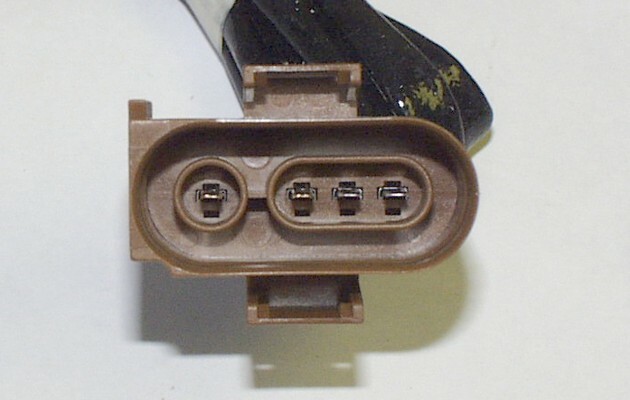 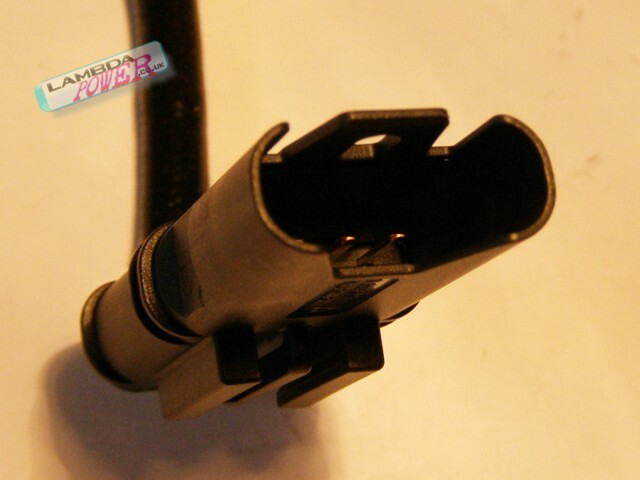 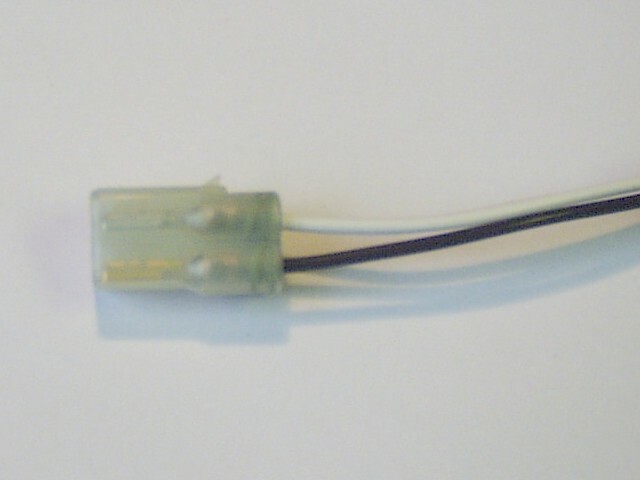 It is often a four-wire type using a very similar connector. 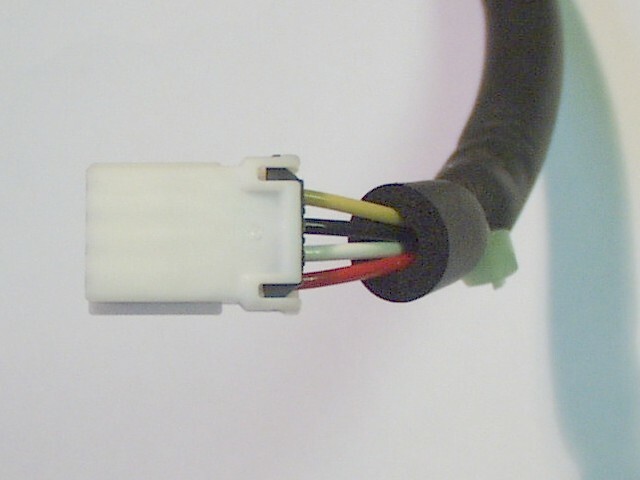 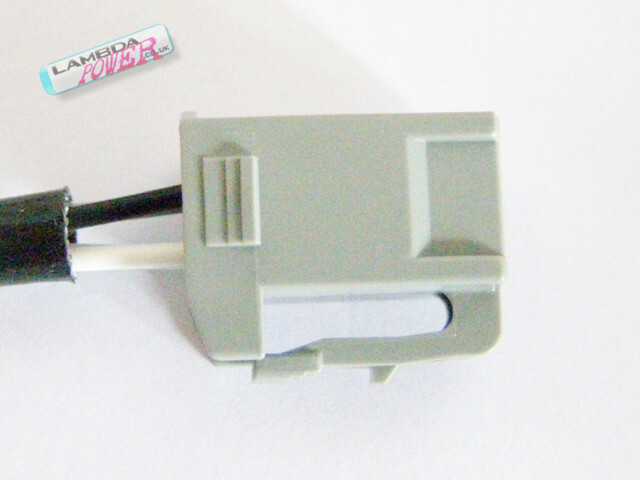 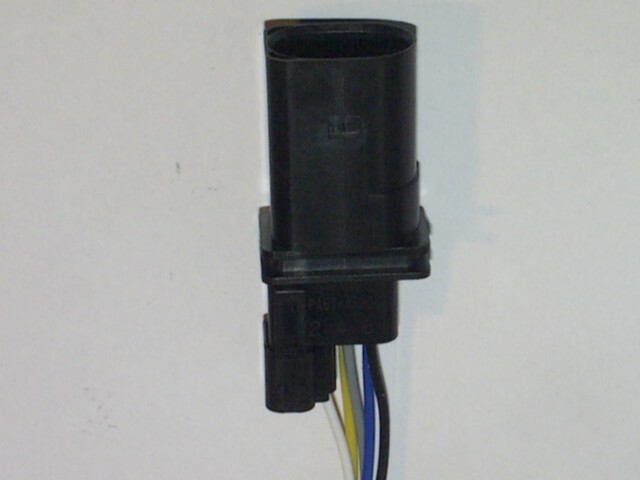 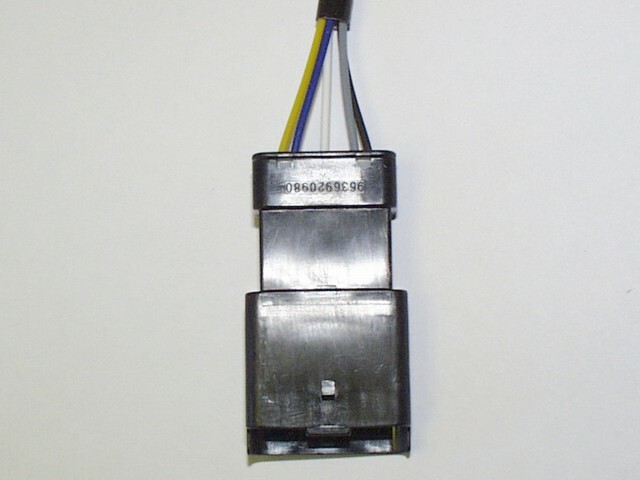 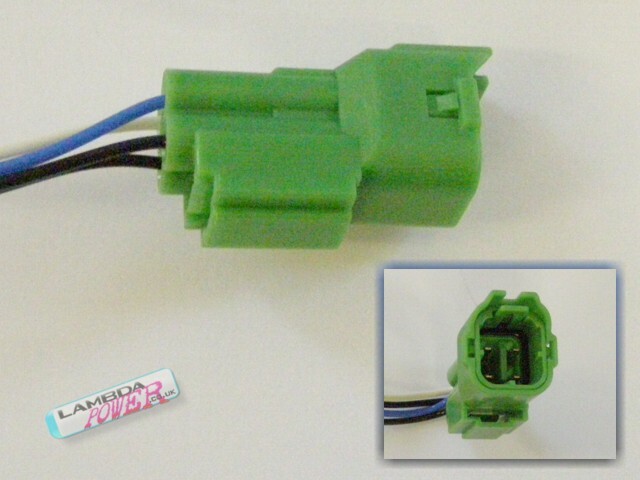 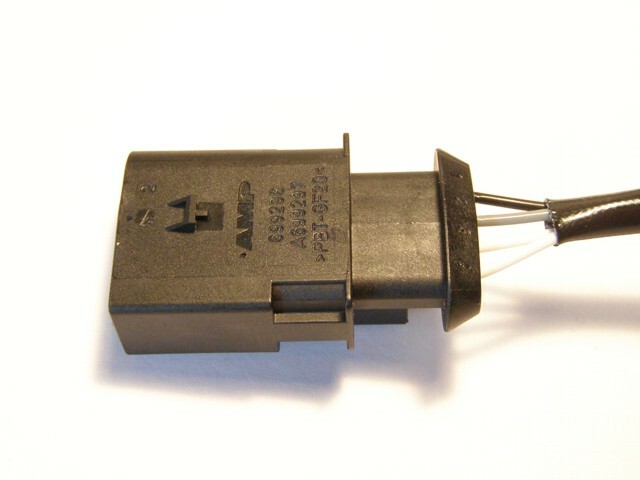 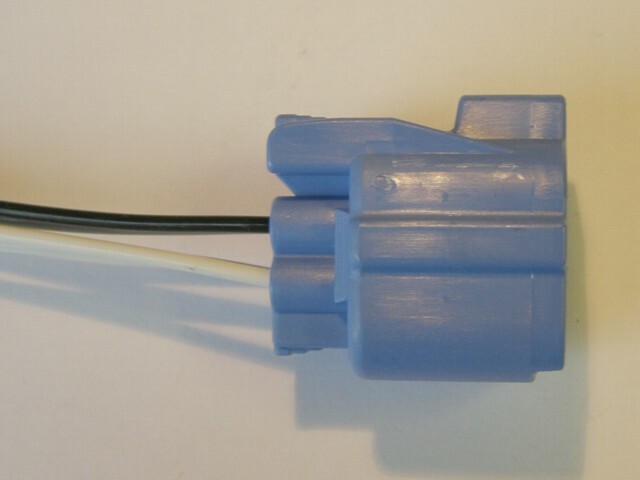 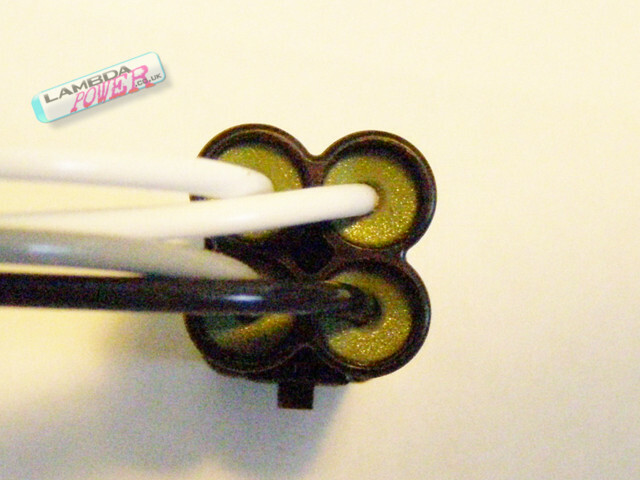 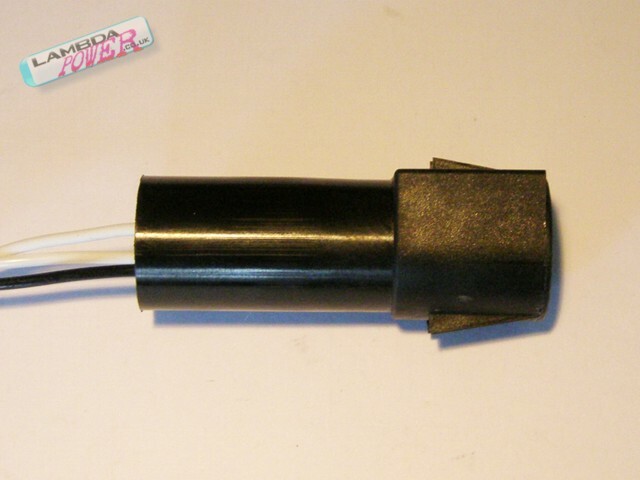 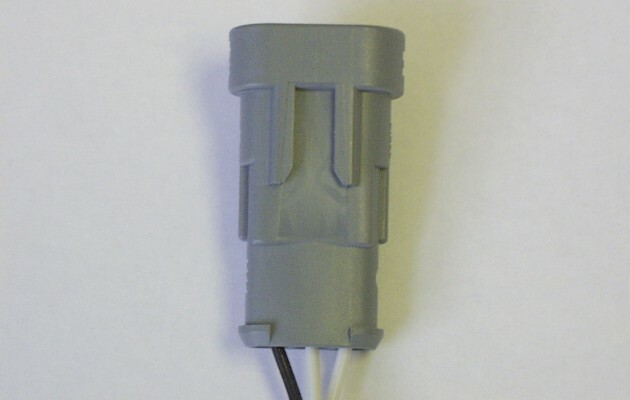 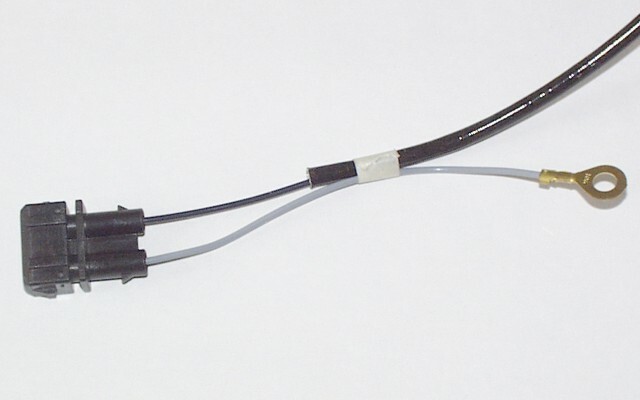 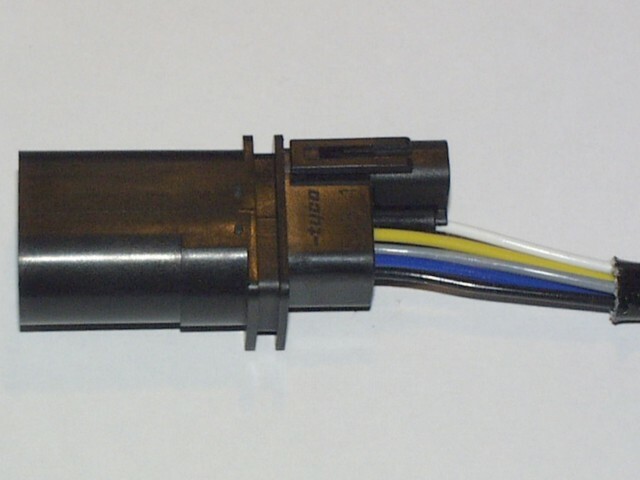 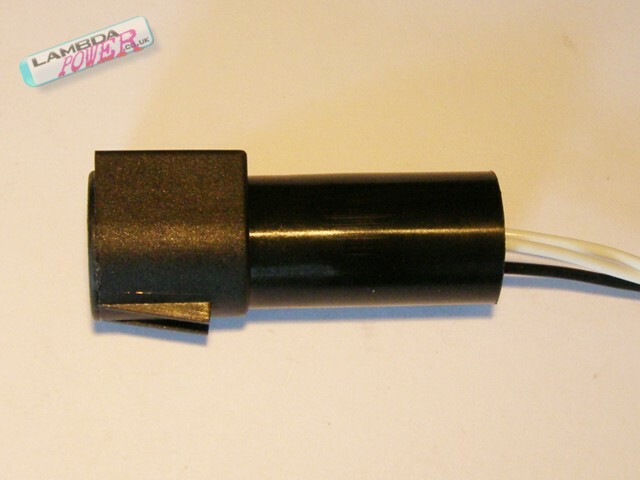 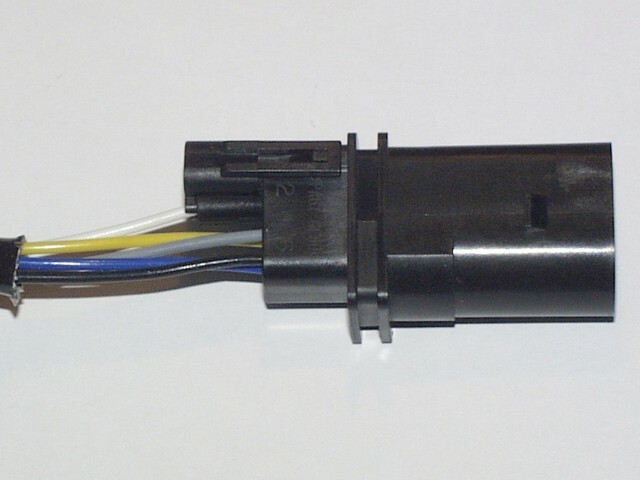 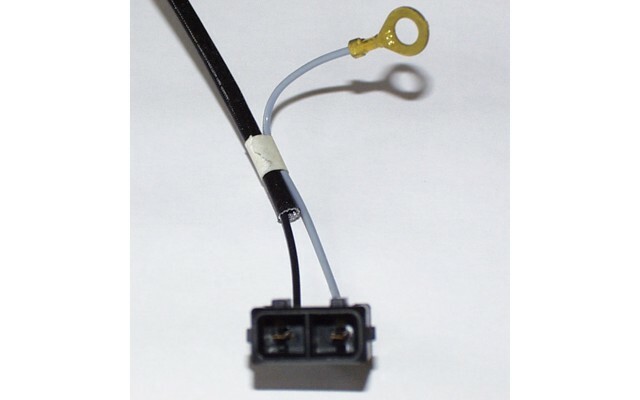 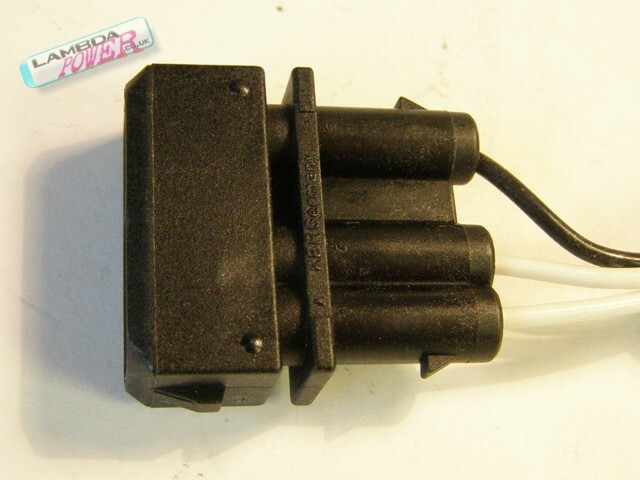 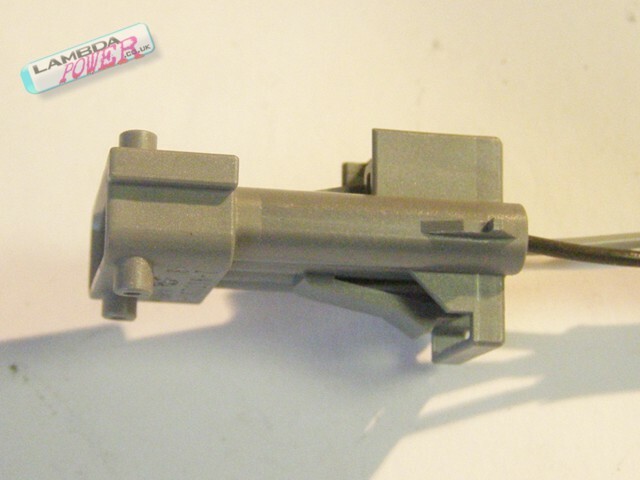 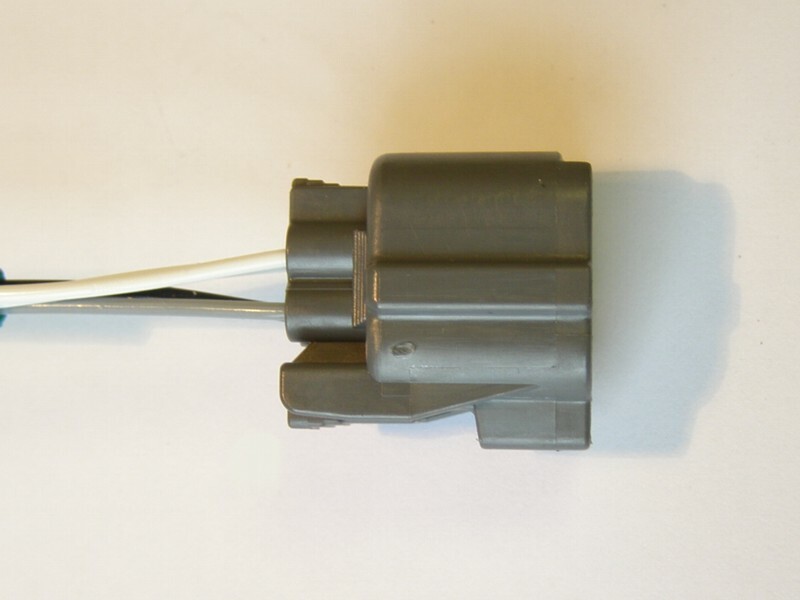 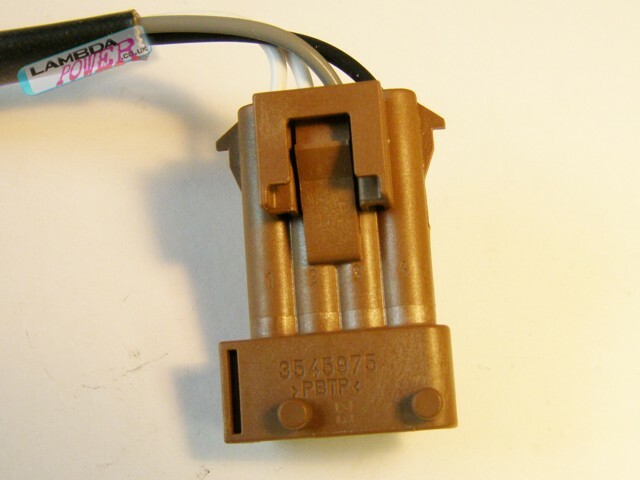 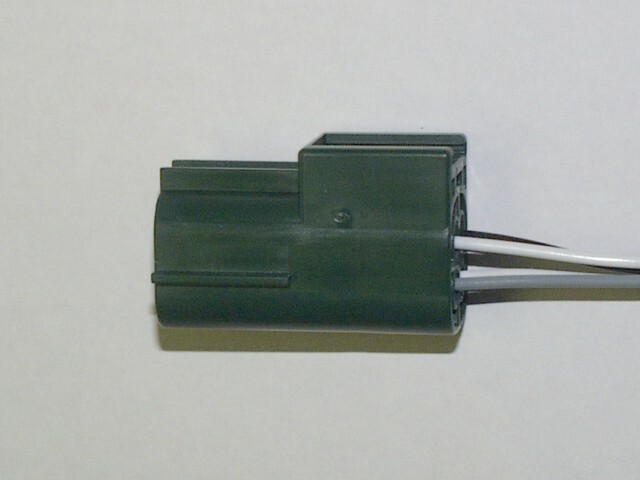 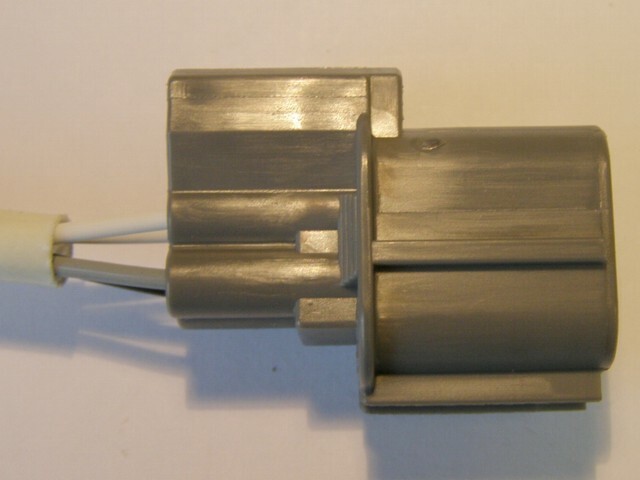 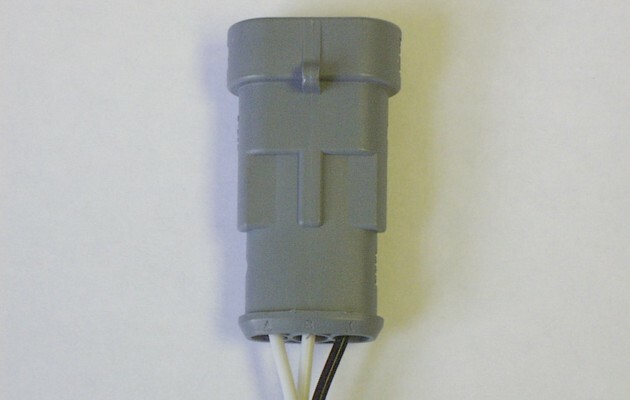 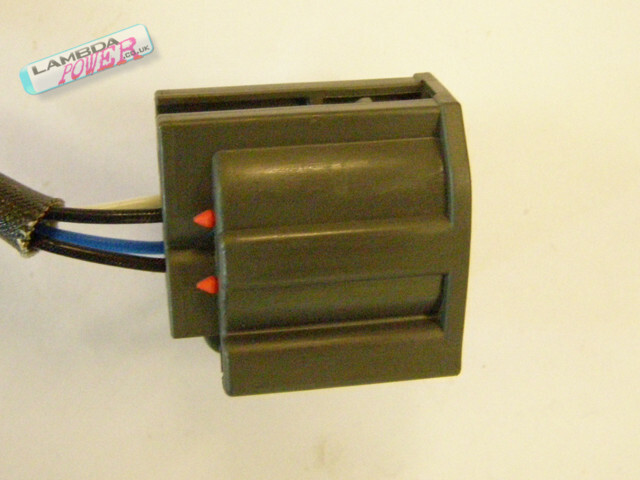 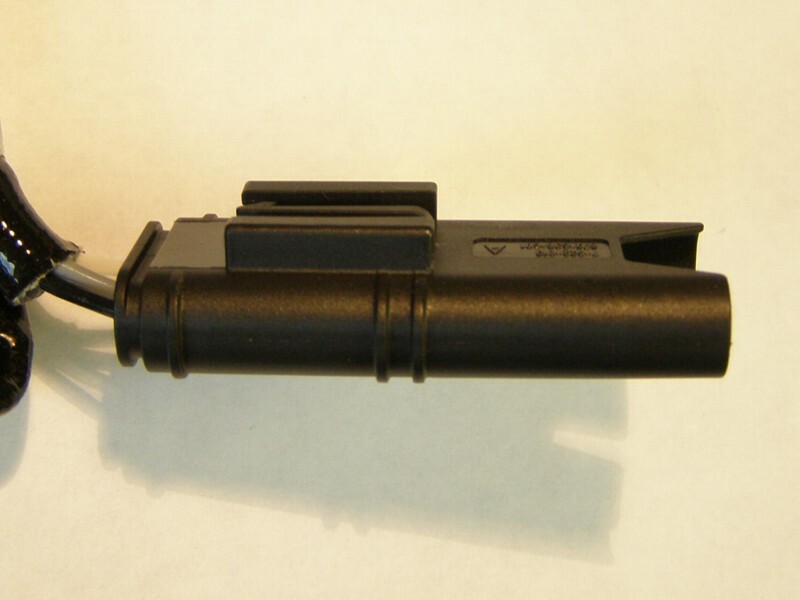 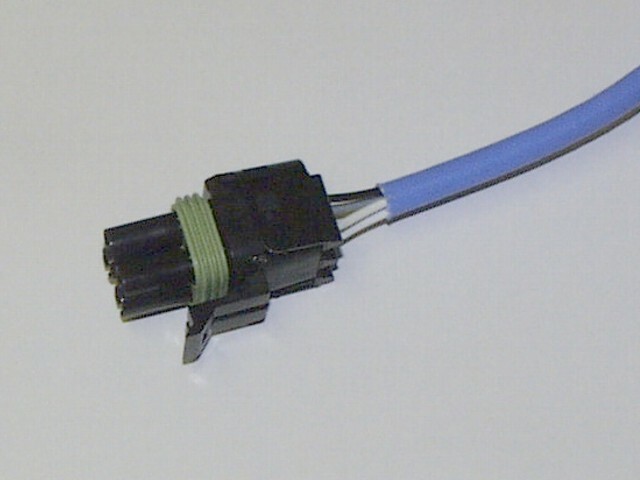 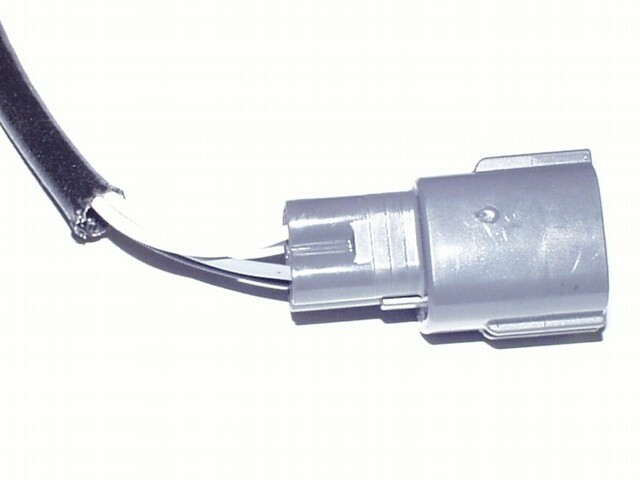 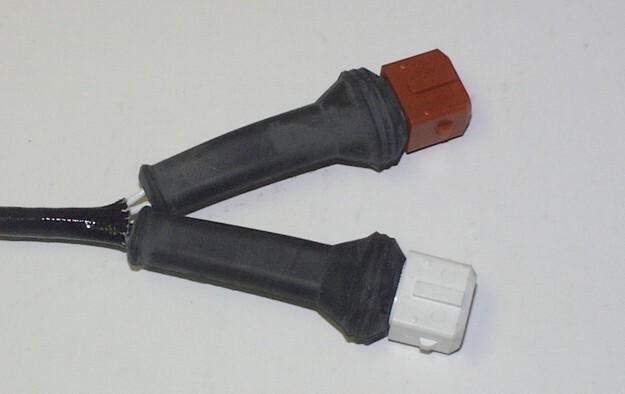 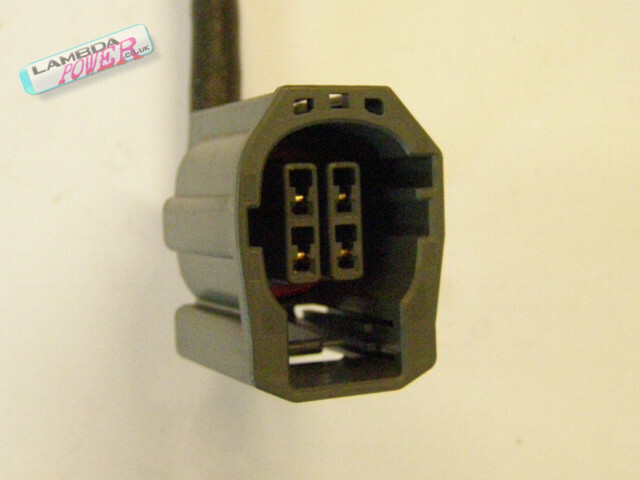 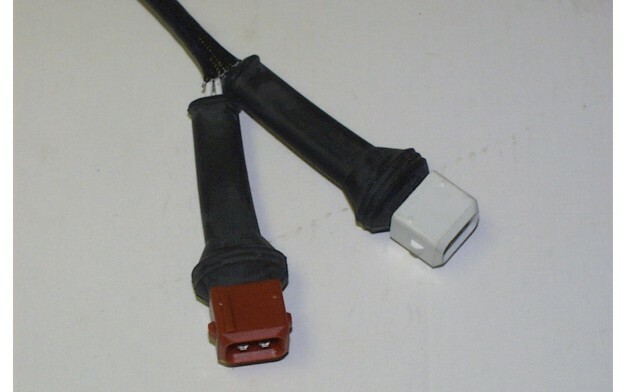 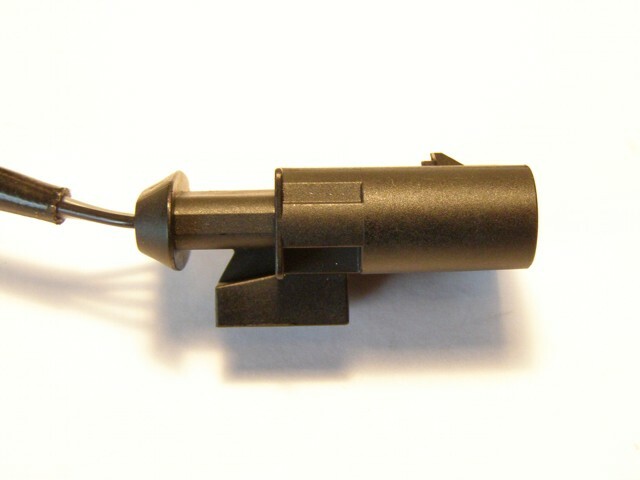 We can supply an alternative four wire sensor for you. 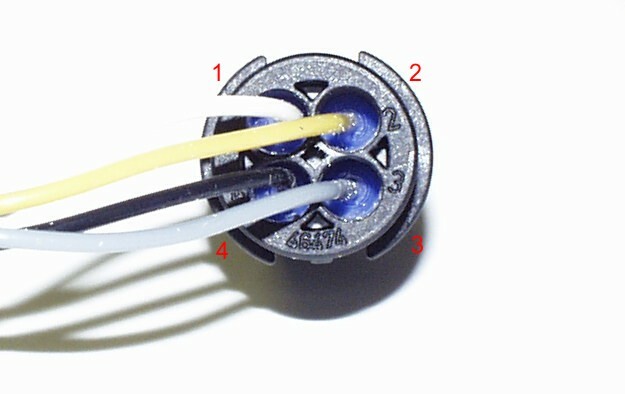 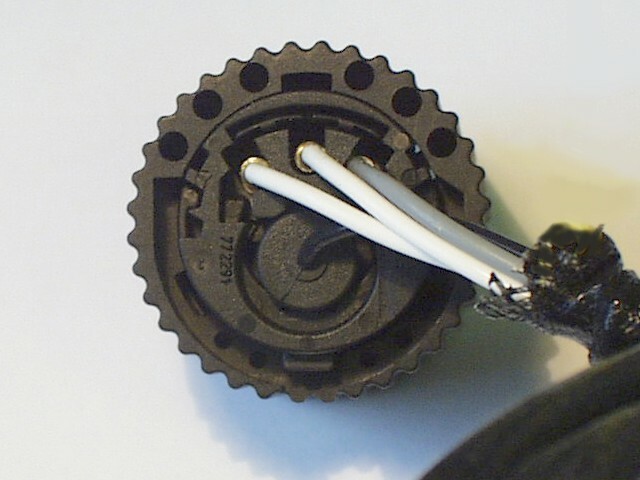 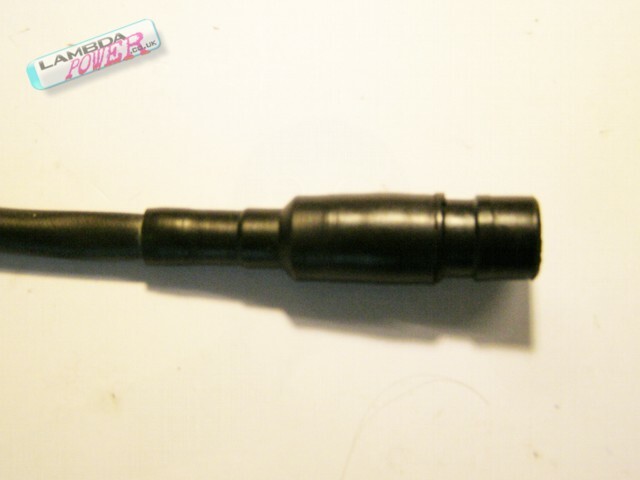 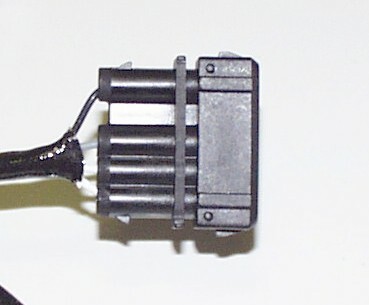 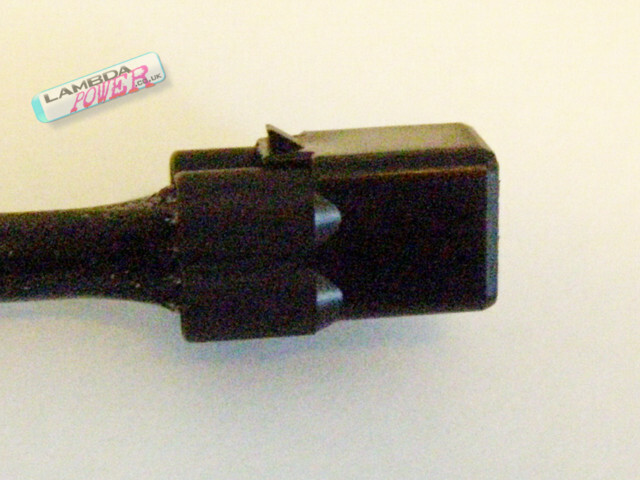 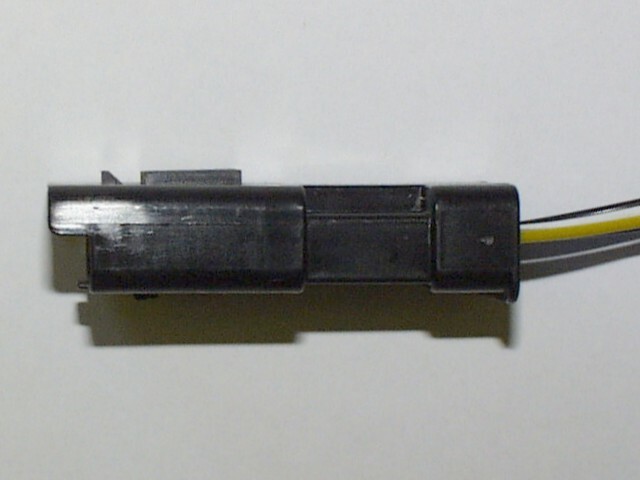 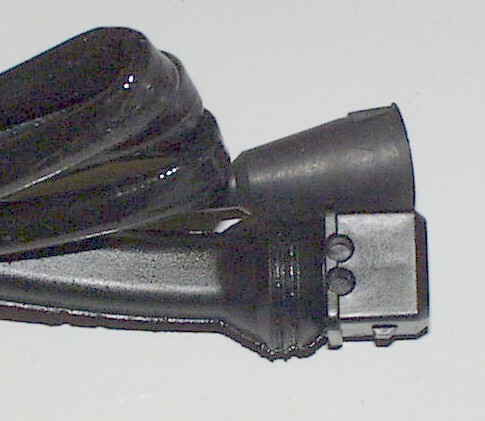 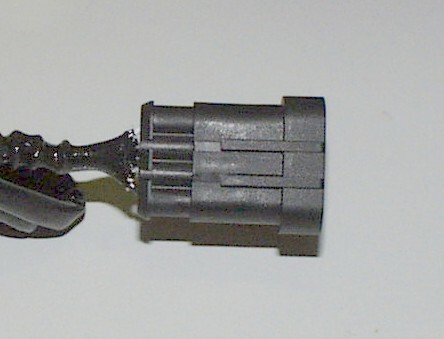 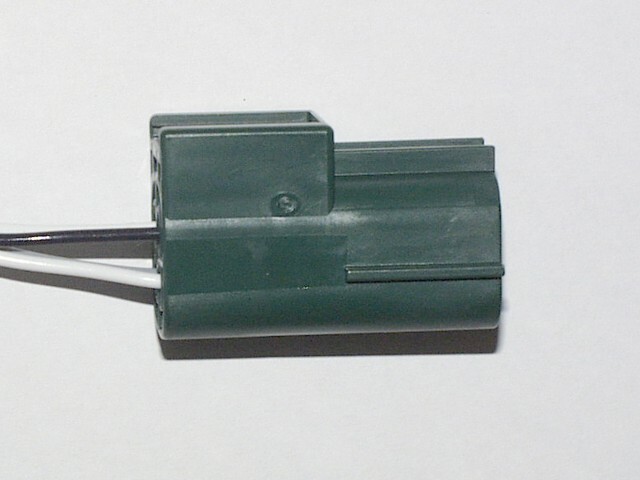 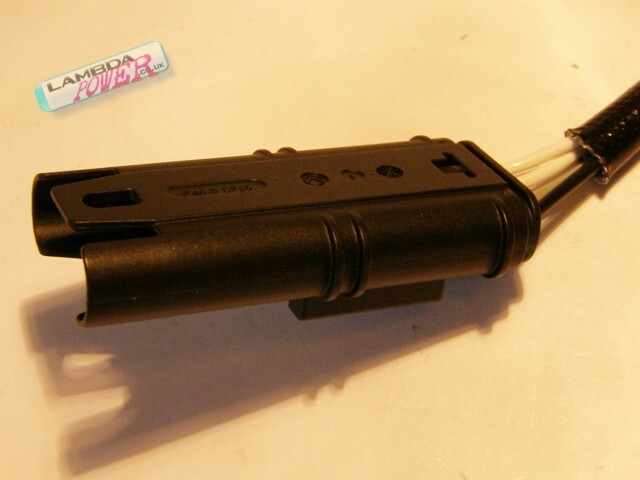 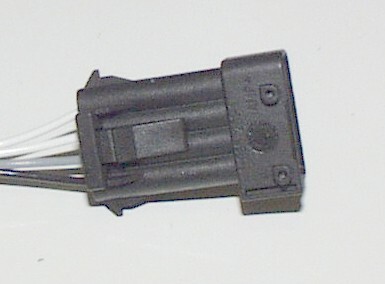 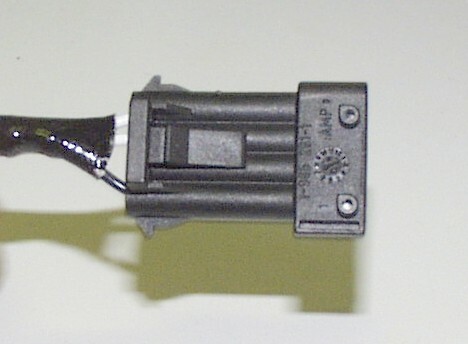 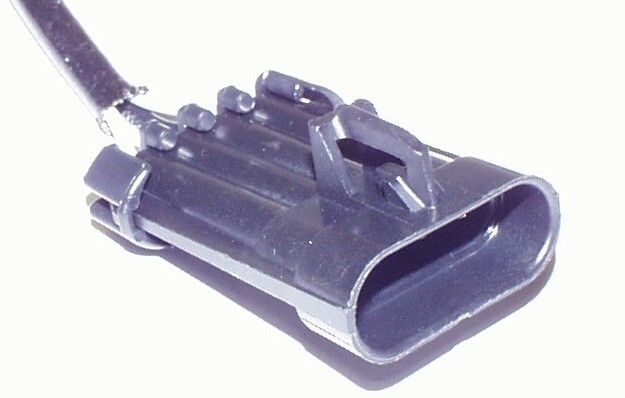 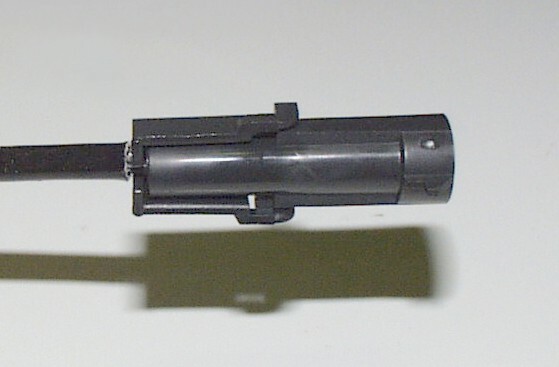 Identical to Type 49, including colour which is Black, wiring config which is WHT-WHT-GREY-BLACK, only locating pins are completely round, rather than with one square corner as on the Type 49.